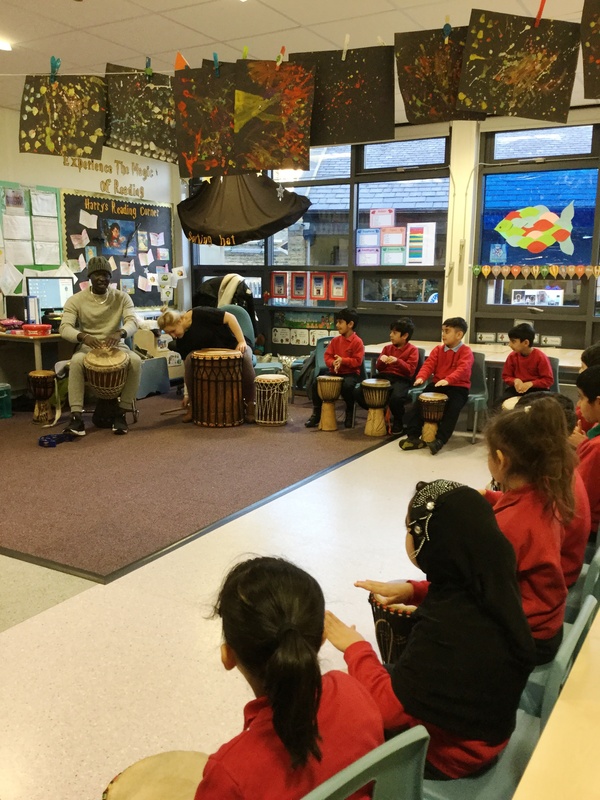 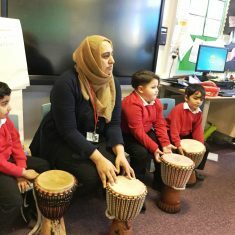 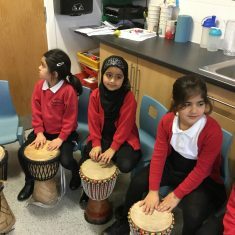 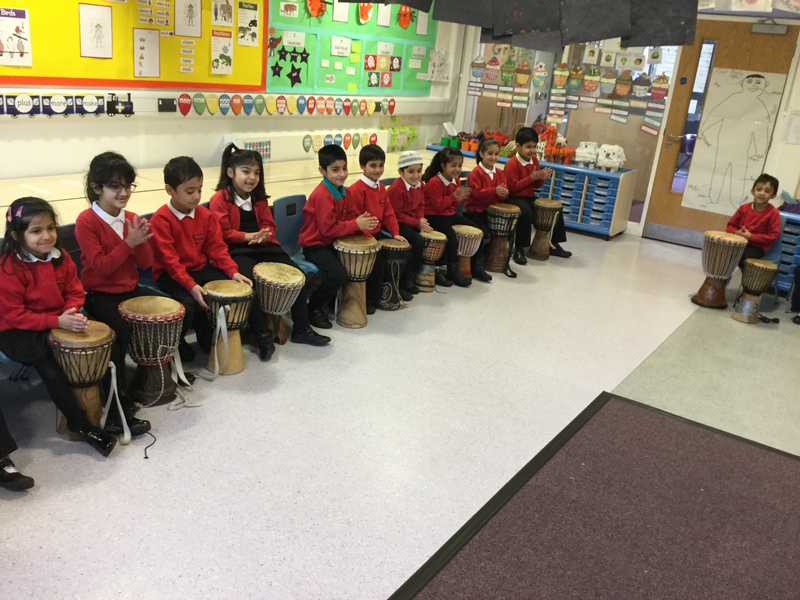 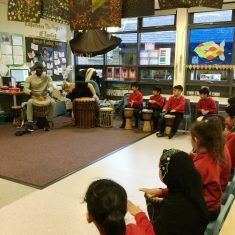 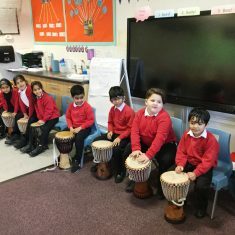 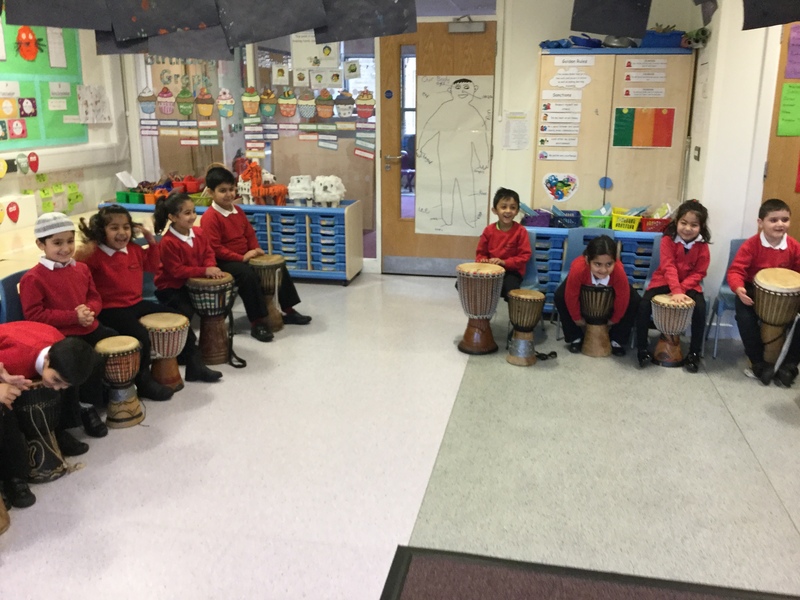 In Year 1, we had African drummers come in to school and show us how to play the Djembe drums. 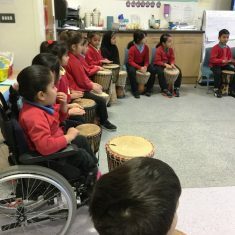 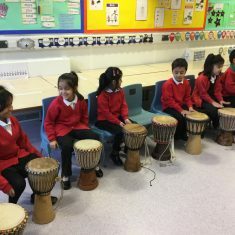 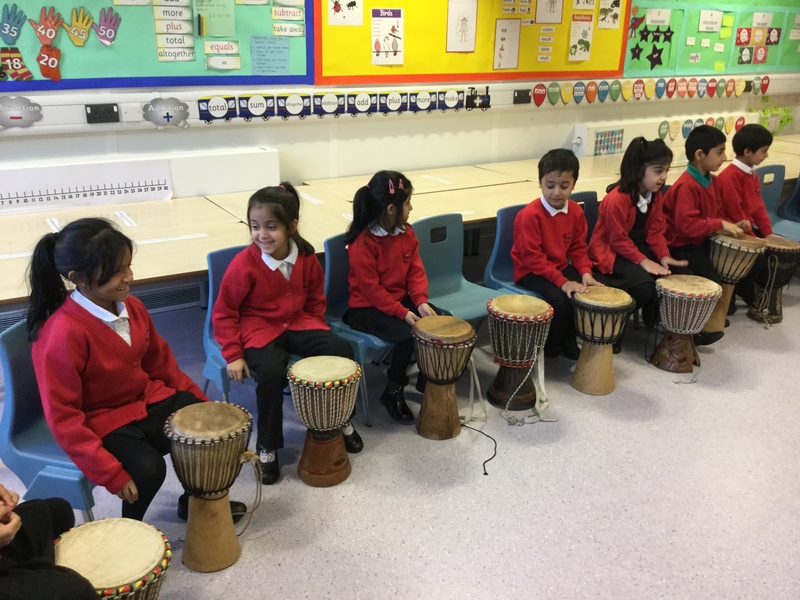 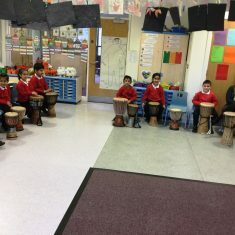 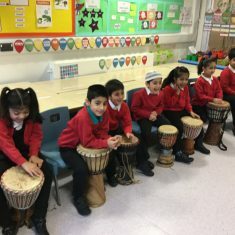 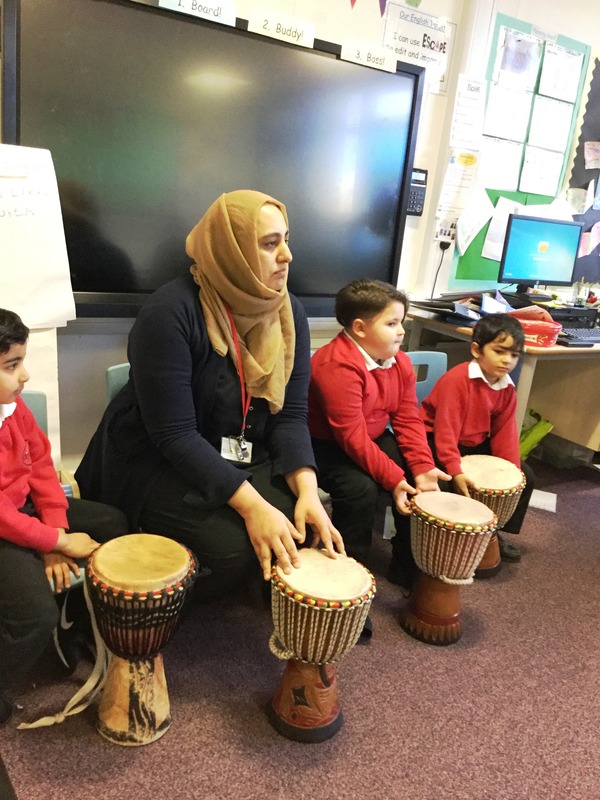 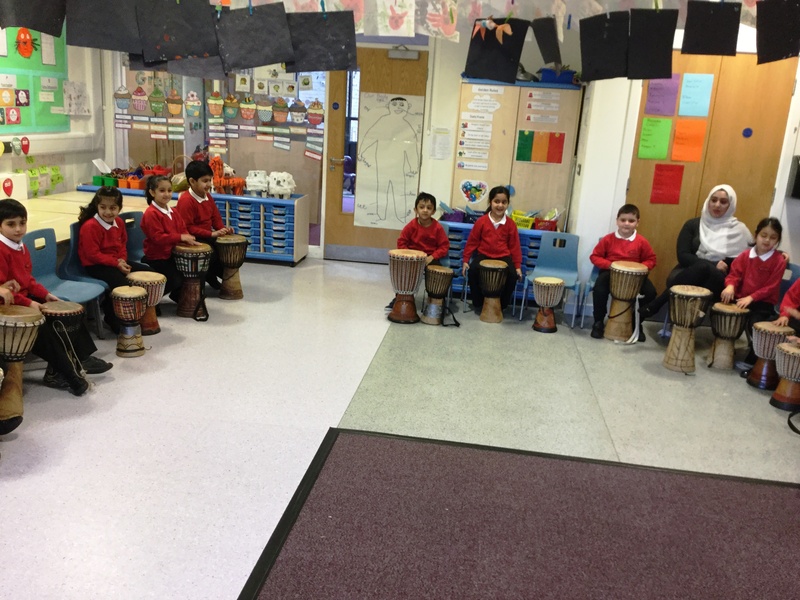 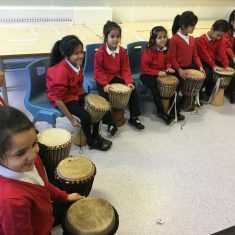 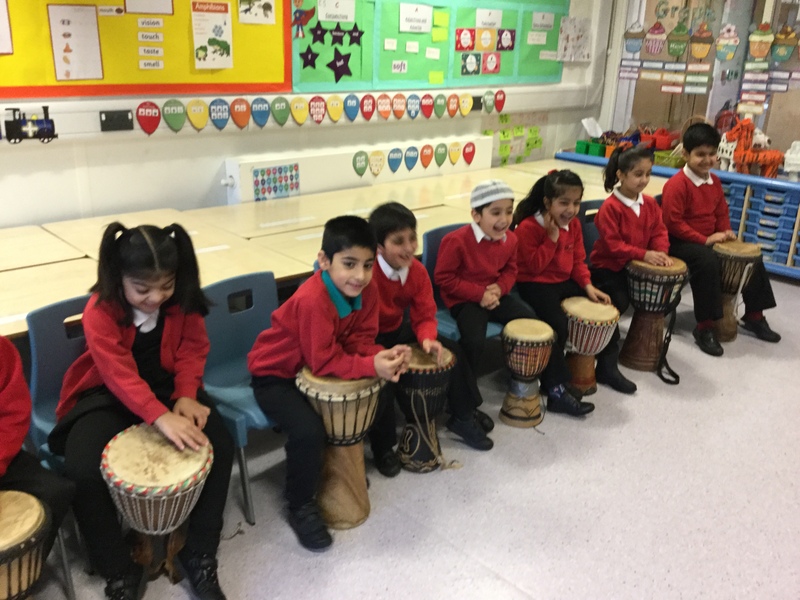 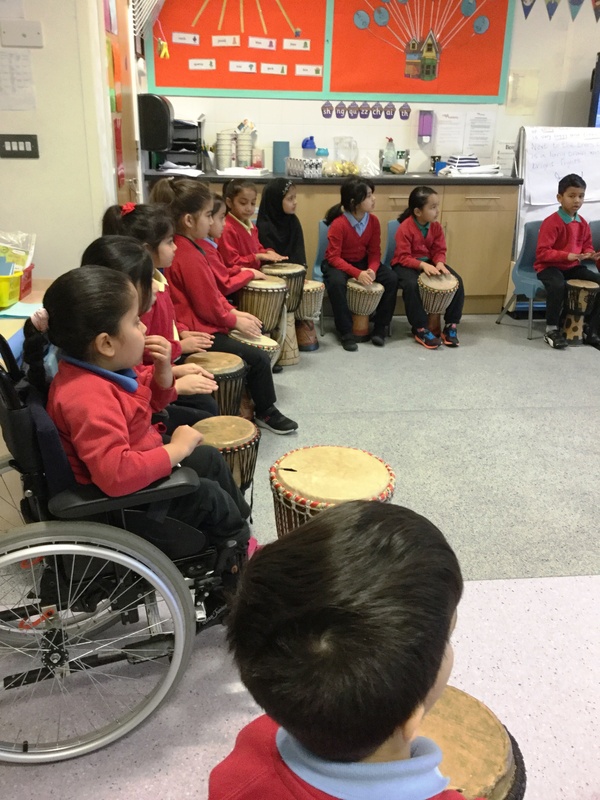 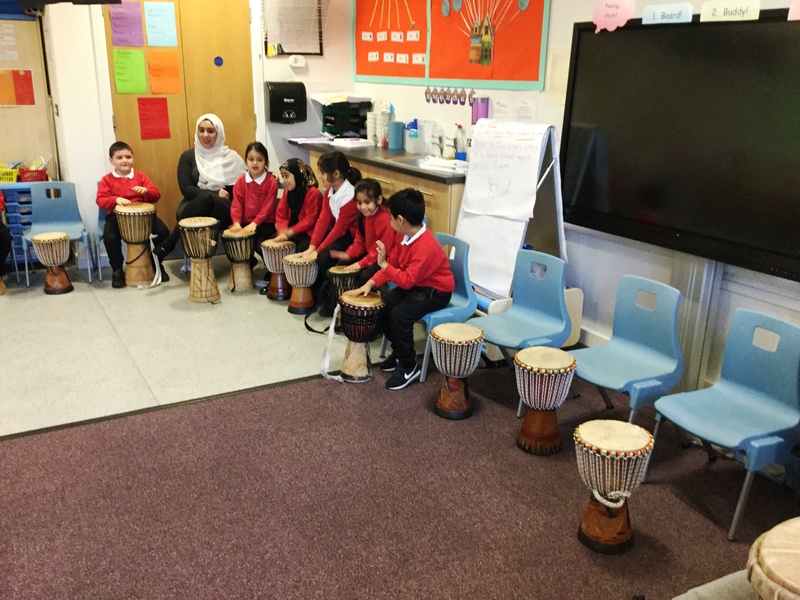 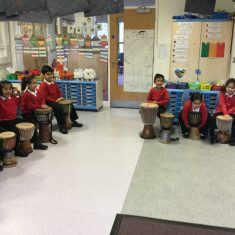 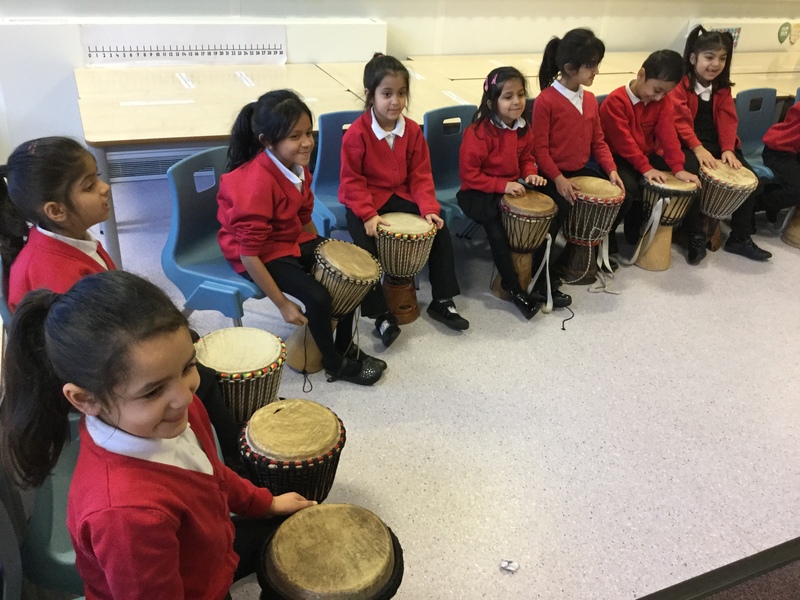 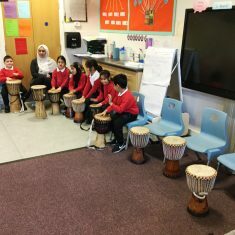 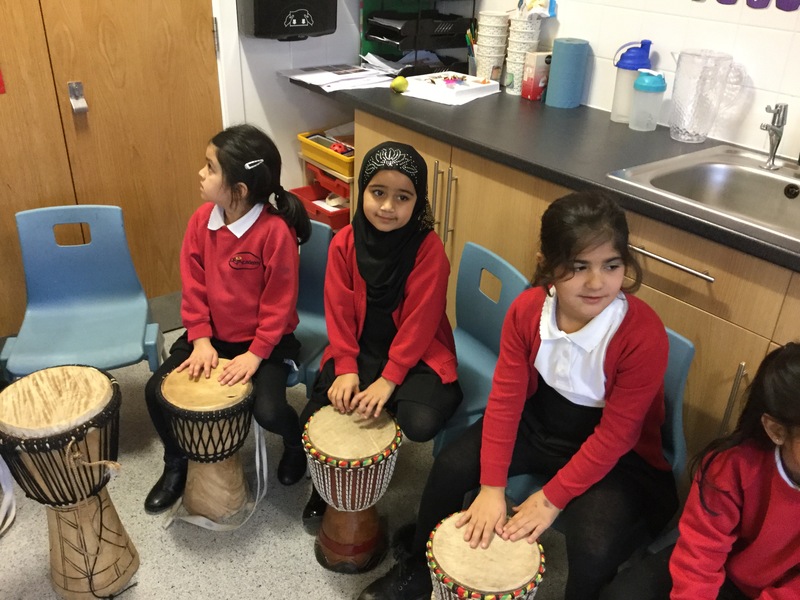 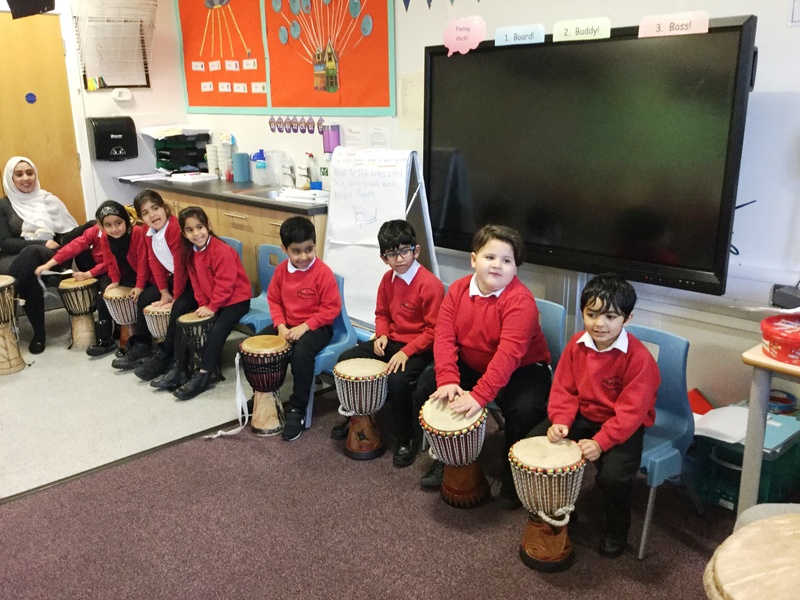 The children learnt how to listen to the pulse and tempo of the drums and then play the beat on their drums. 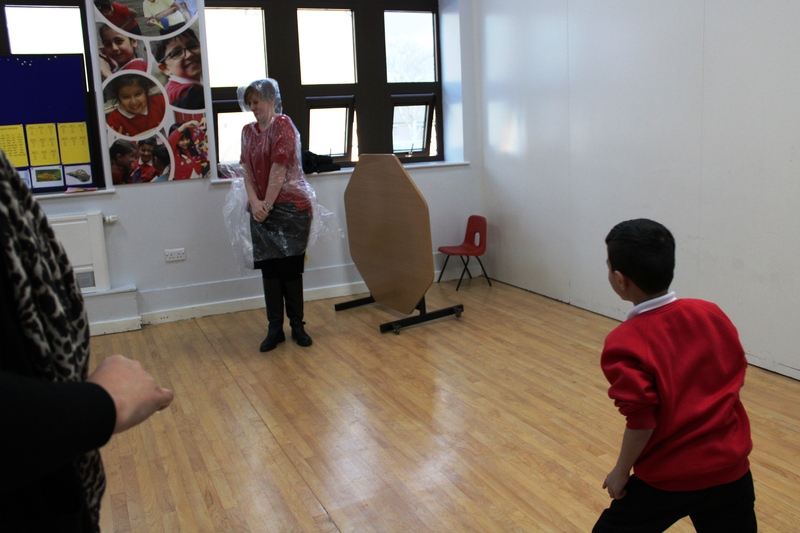 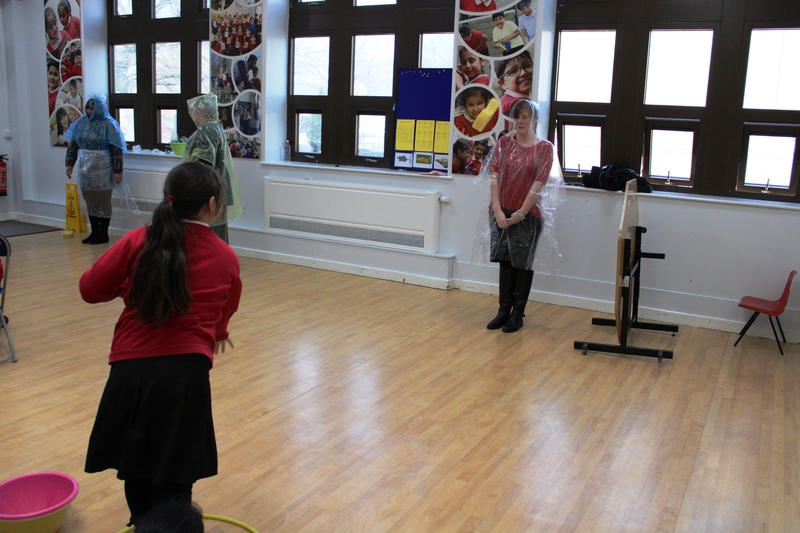 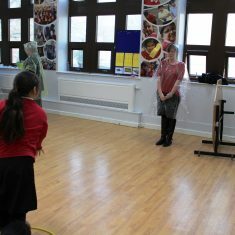 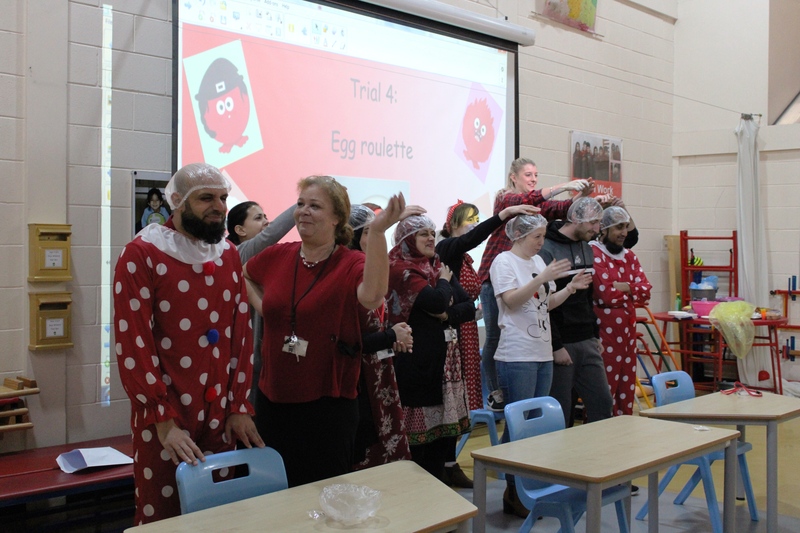 Even the teachers couldn’t resist and had a go. 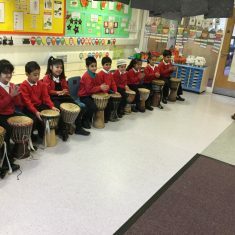 The children learnt African songs and dances. 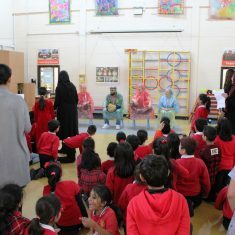 Everyone loved the workshop and we will be inviting the drummers back into school this year. 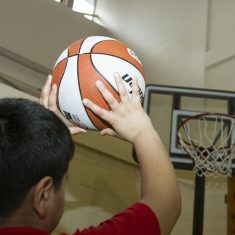 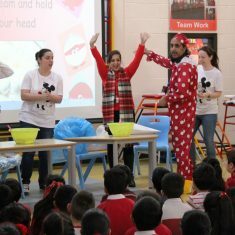 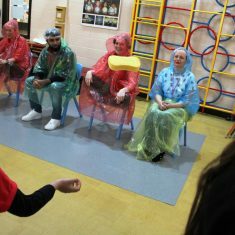 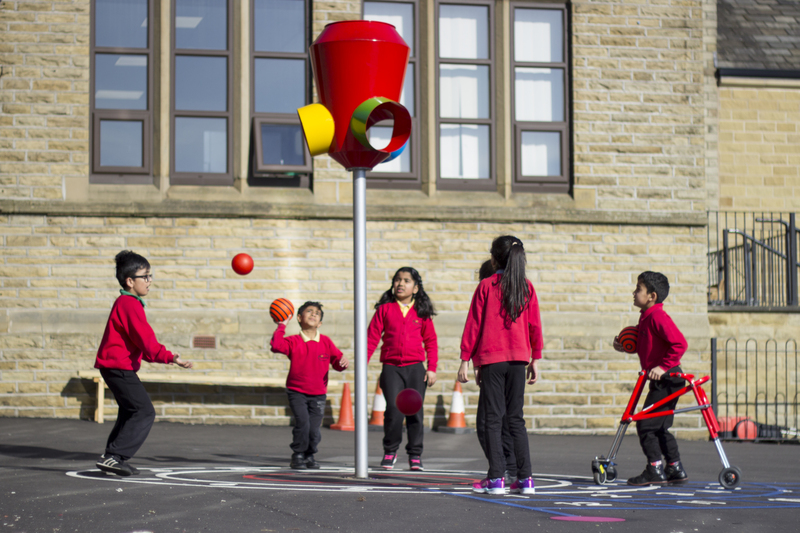 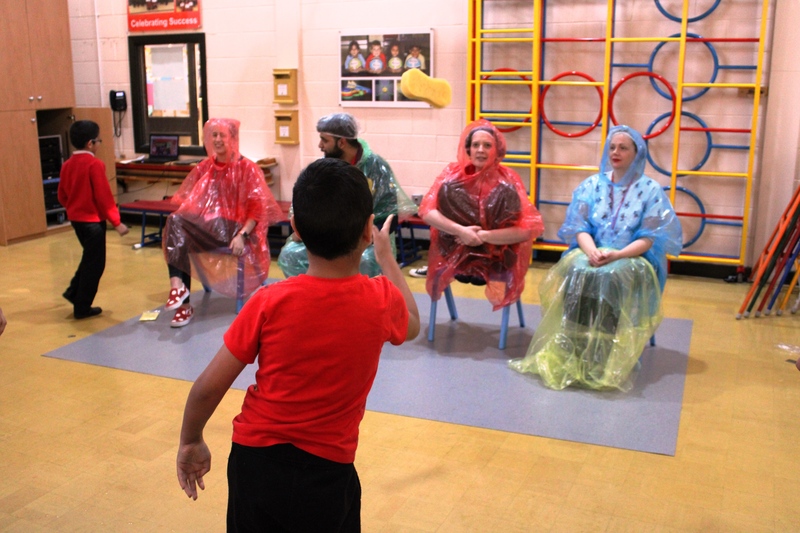 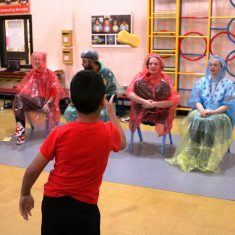 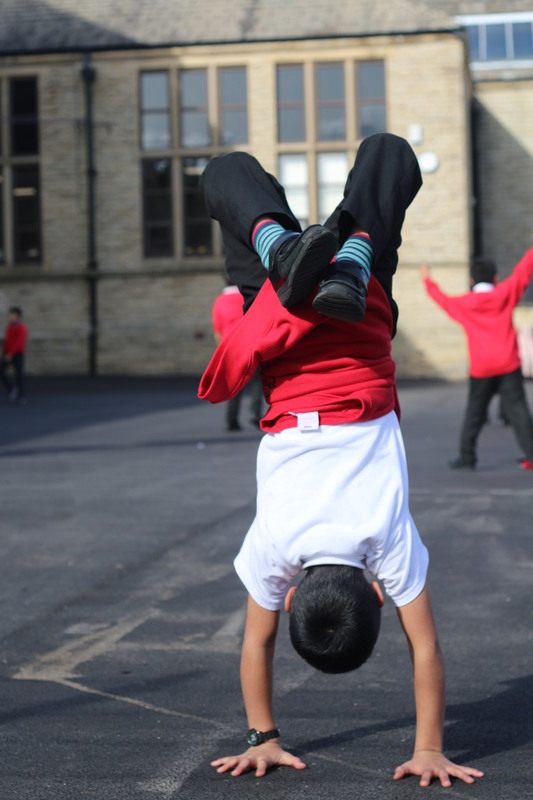 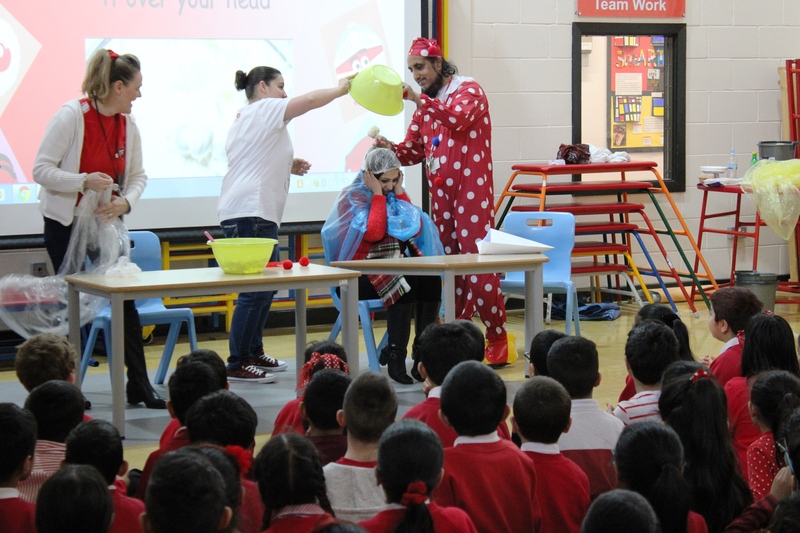 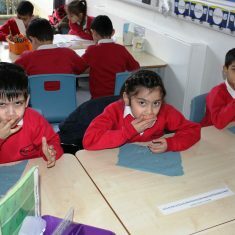 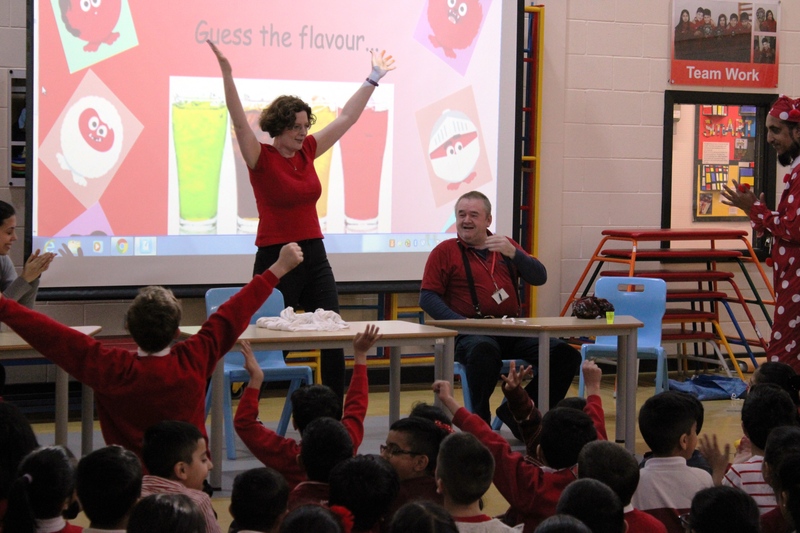 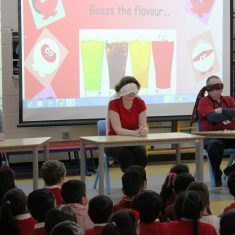 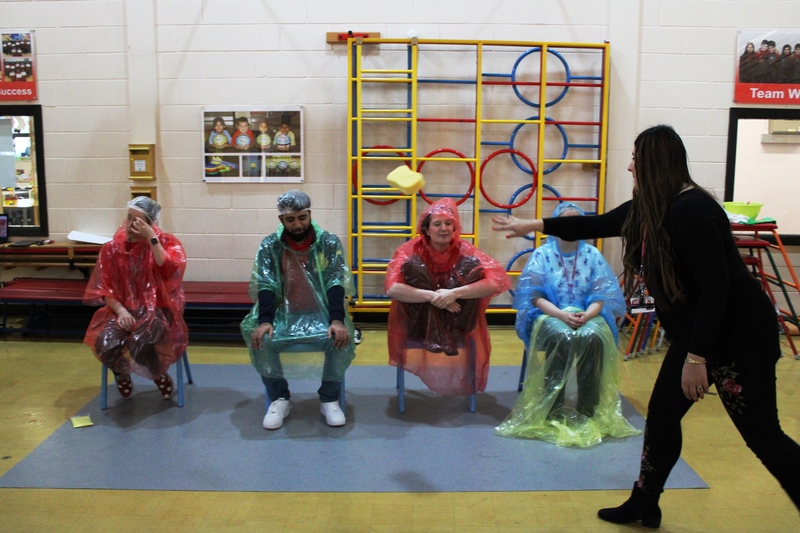 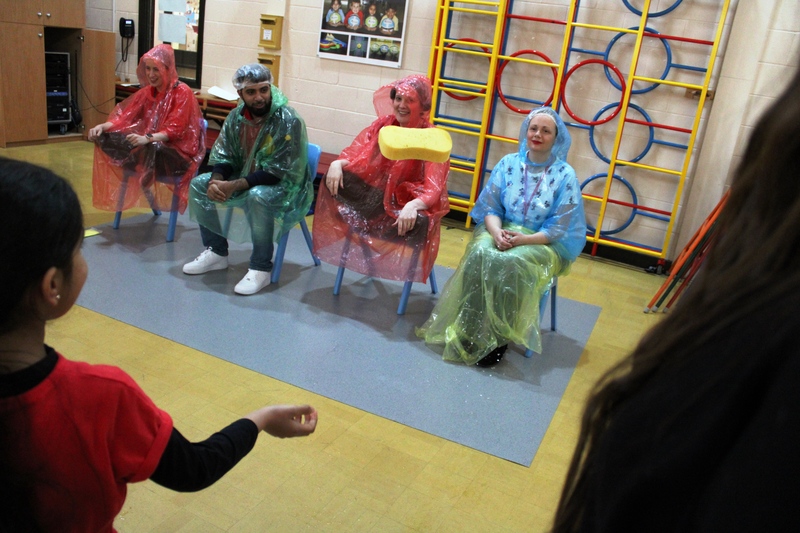 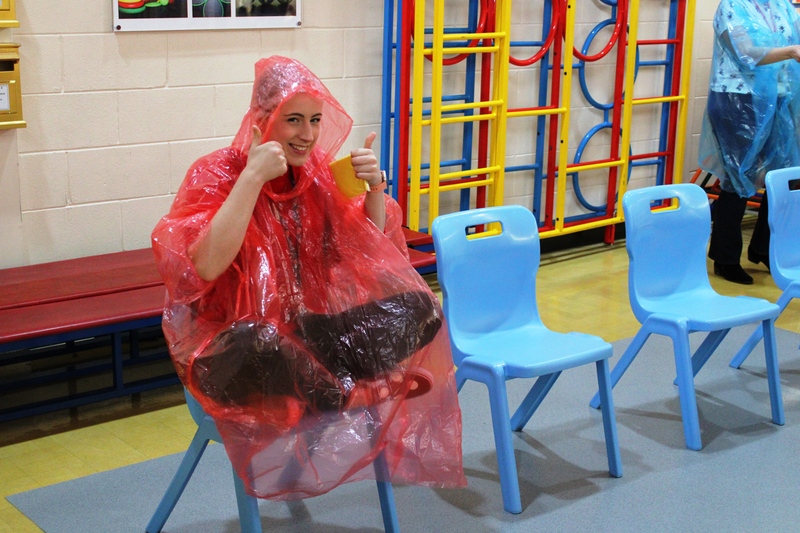 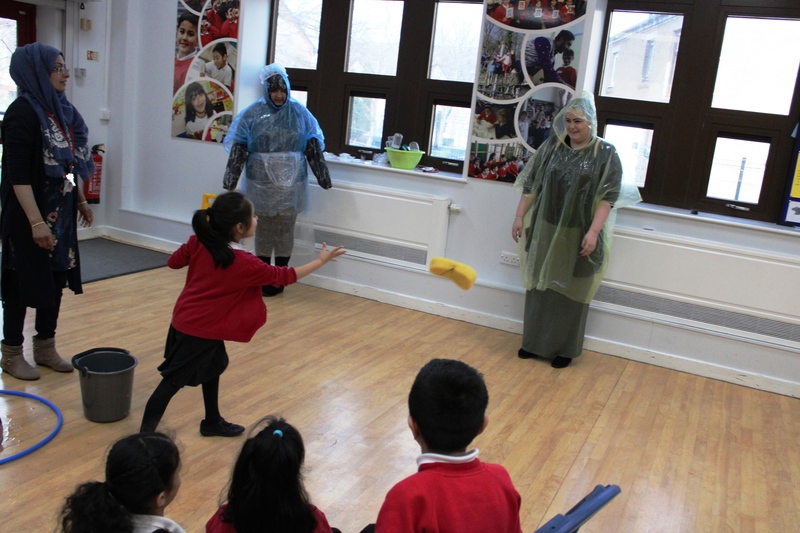 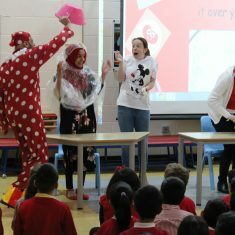 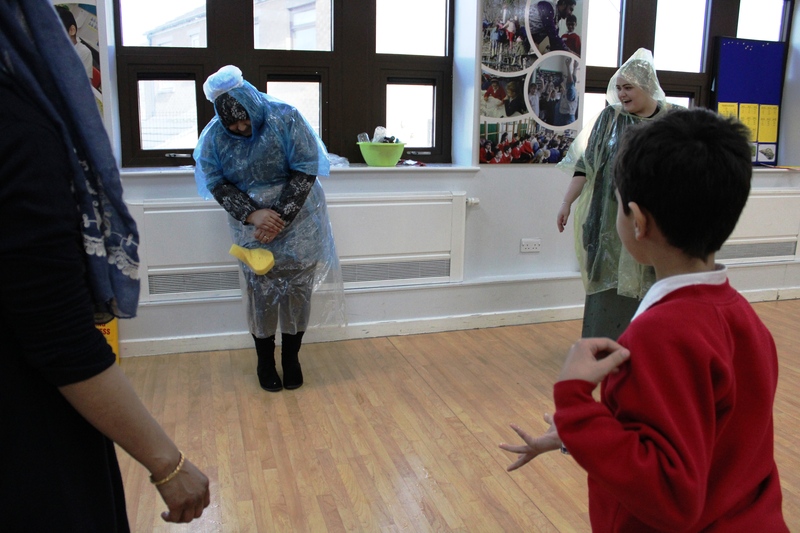 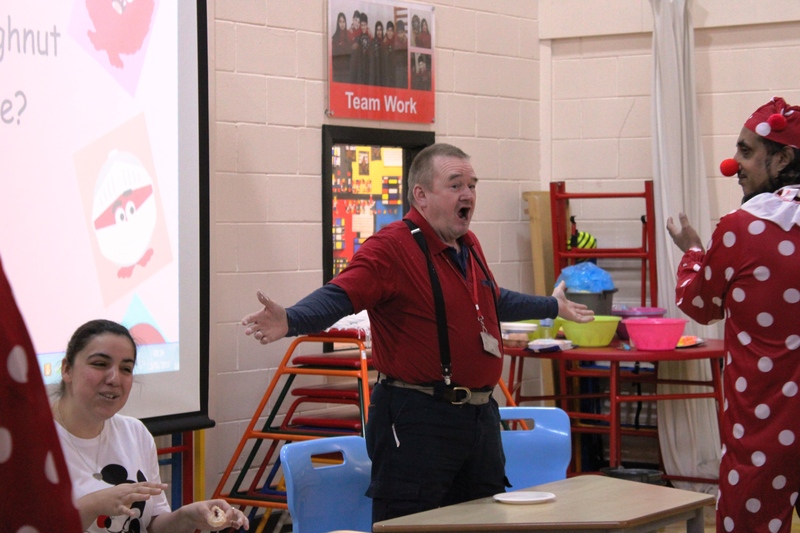 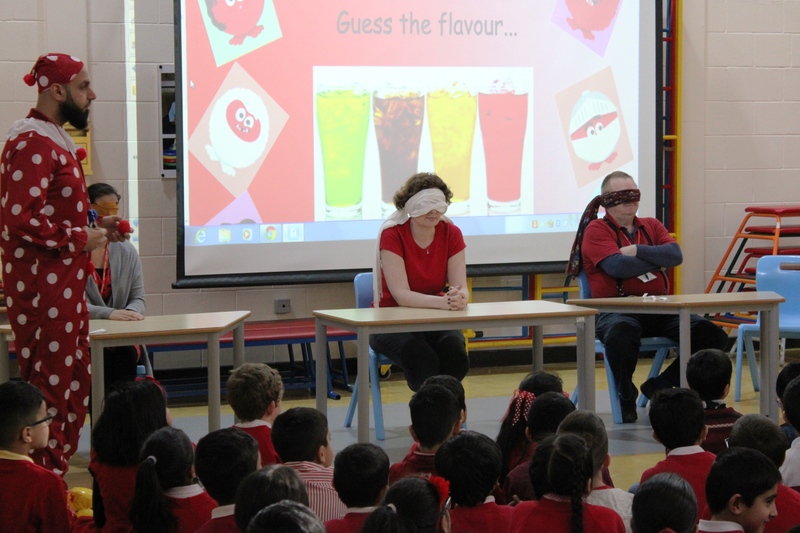 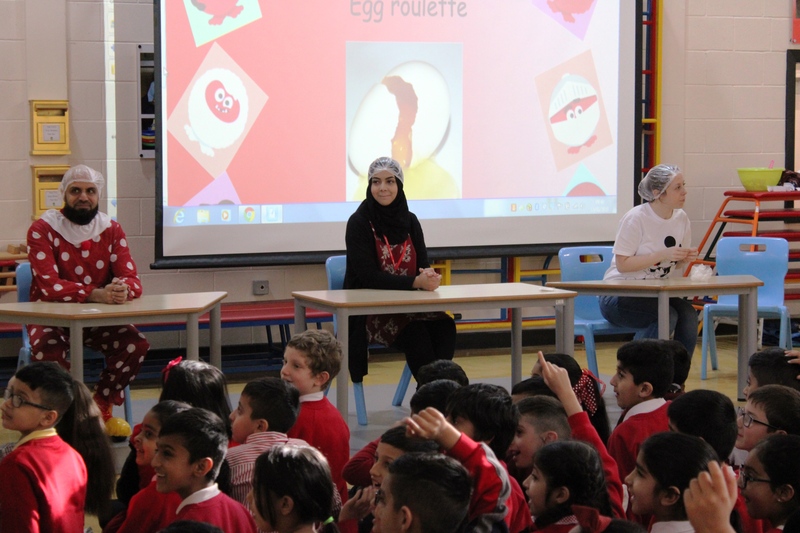 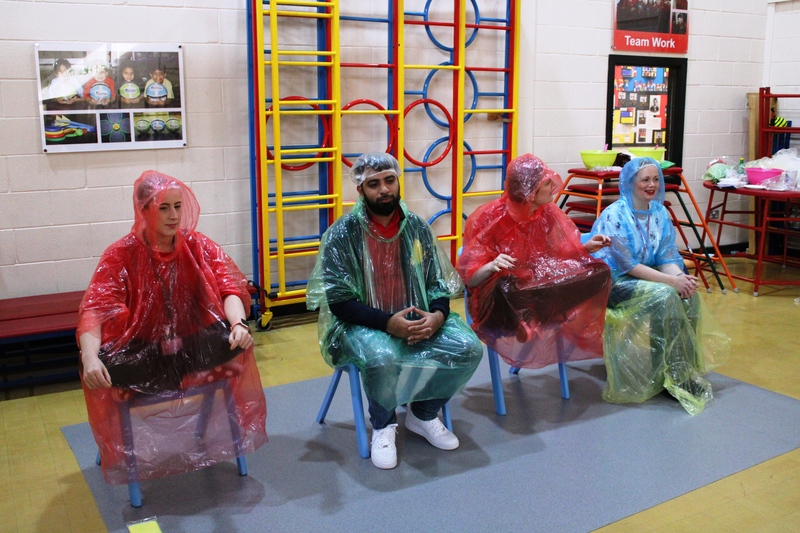 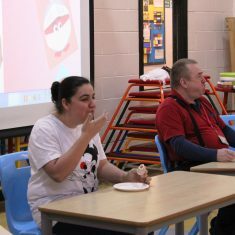 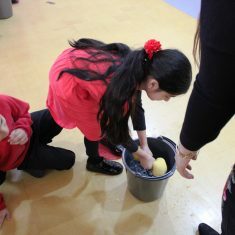 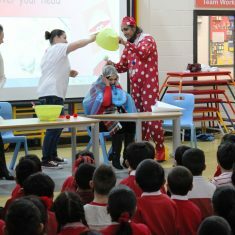 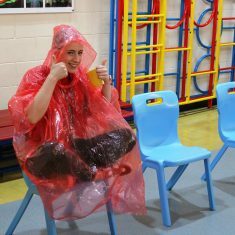 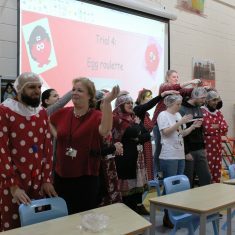 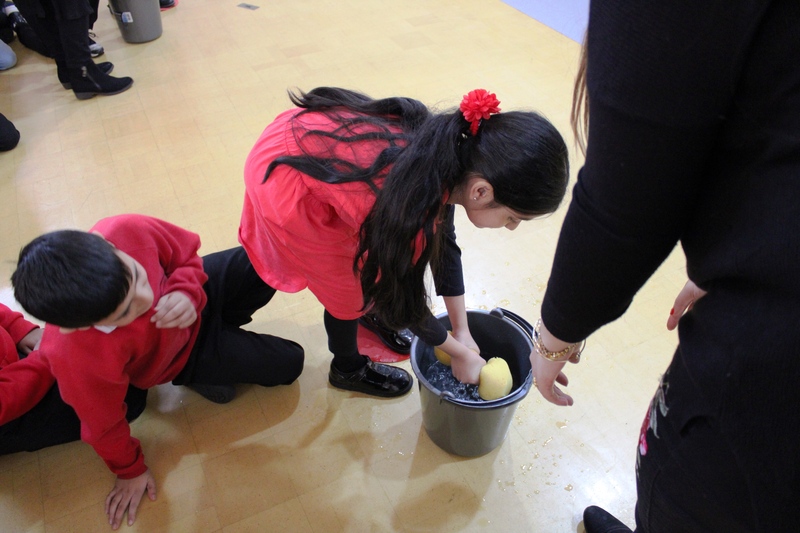 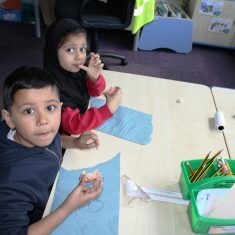 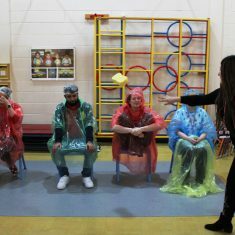 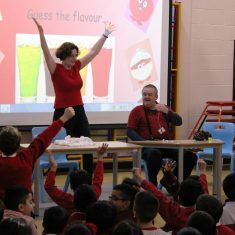 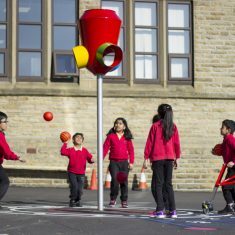 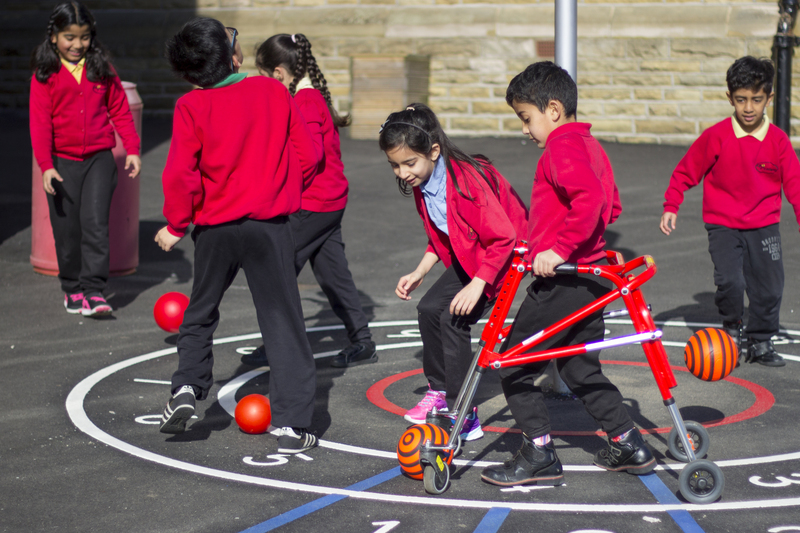 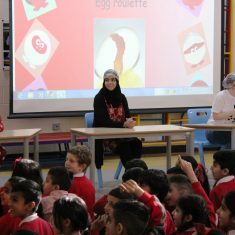 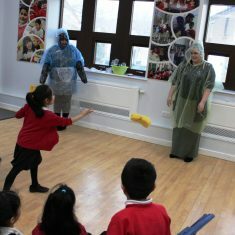 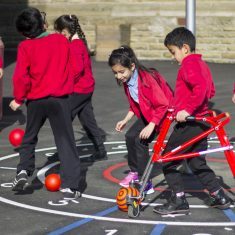 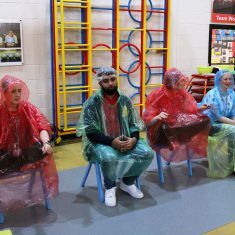 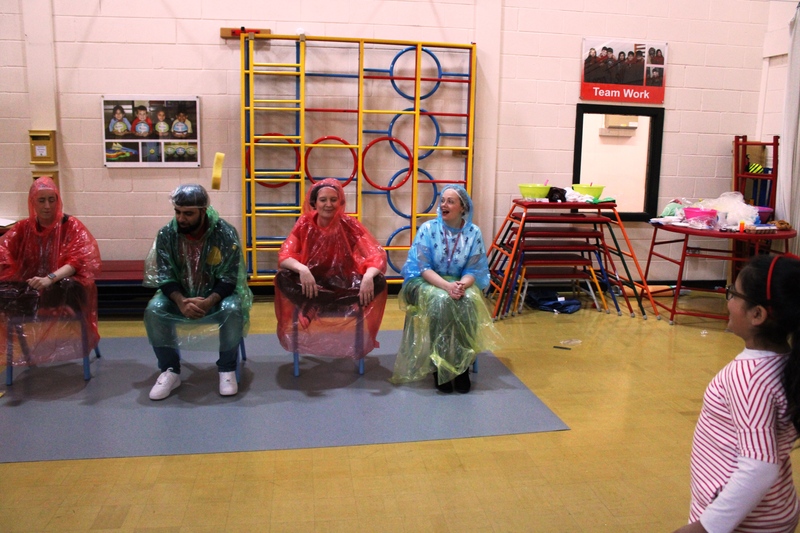 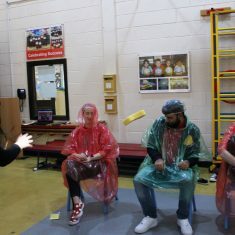 We arranged lots of fun and silly activities to raise money for Comic Relief. 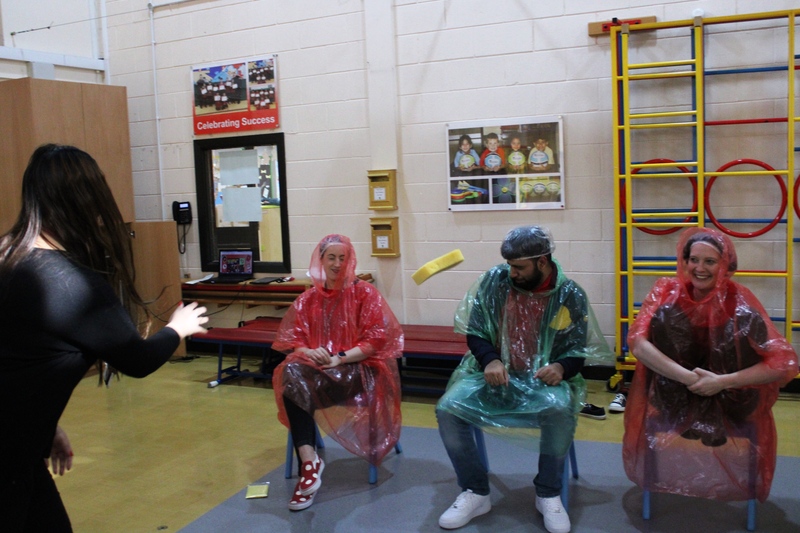 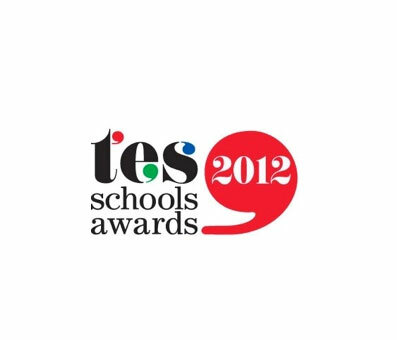 These included ‘Splat’ (throwing a wet sponge at a teacher), silly assistant, joke sharing and bush tucker trials. 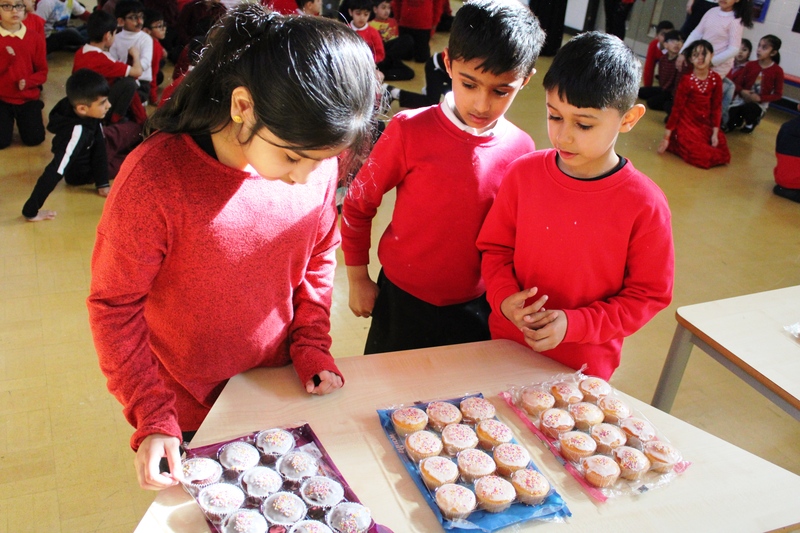 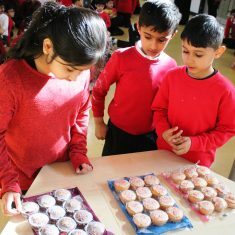 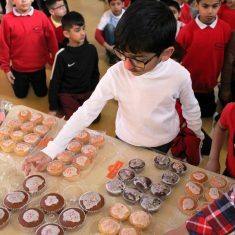 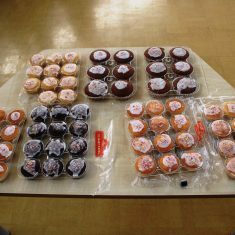 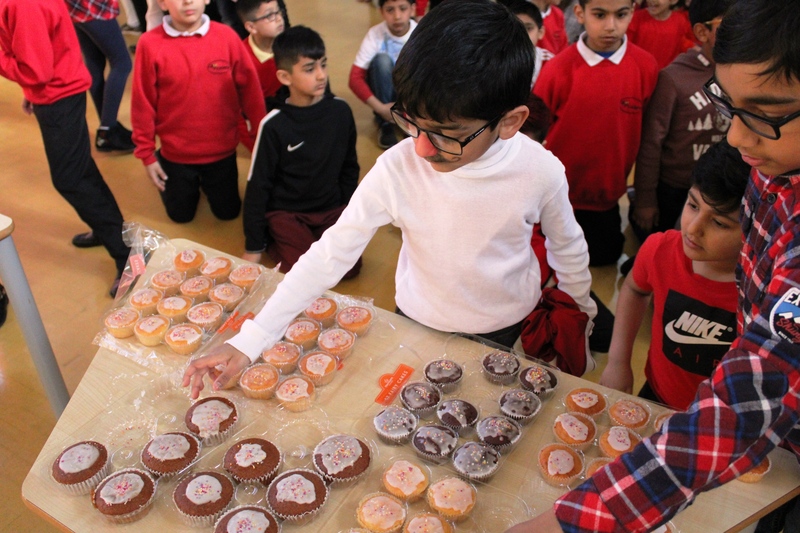 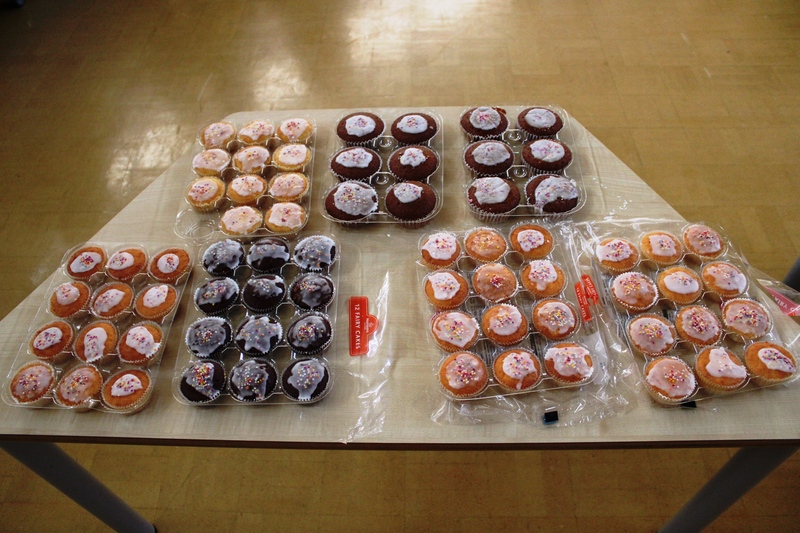 The children also decorated buns to be sold on the day. 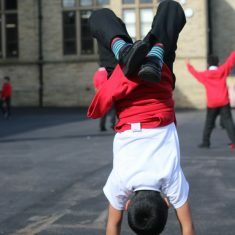 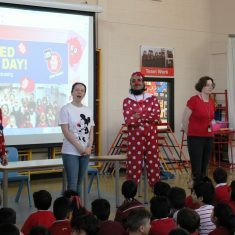 Some children wore something red and donated money. 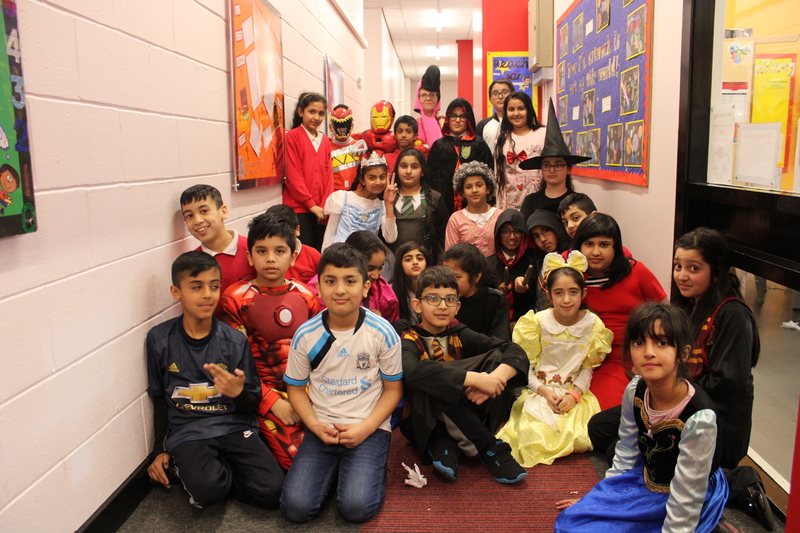 Everyone had lots of fun. 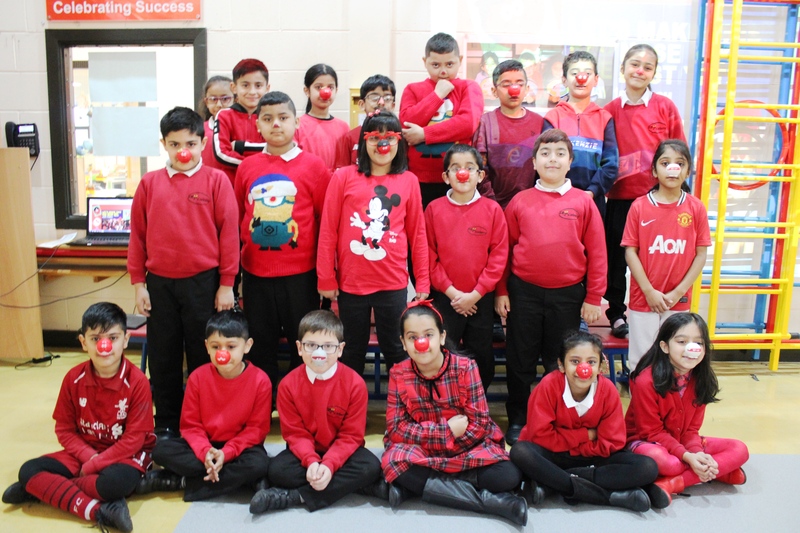 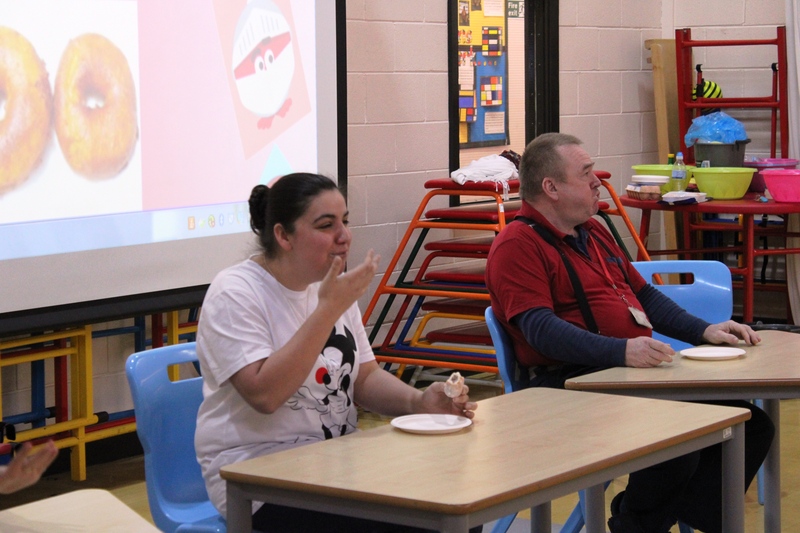 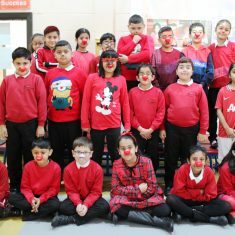 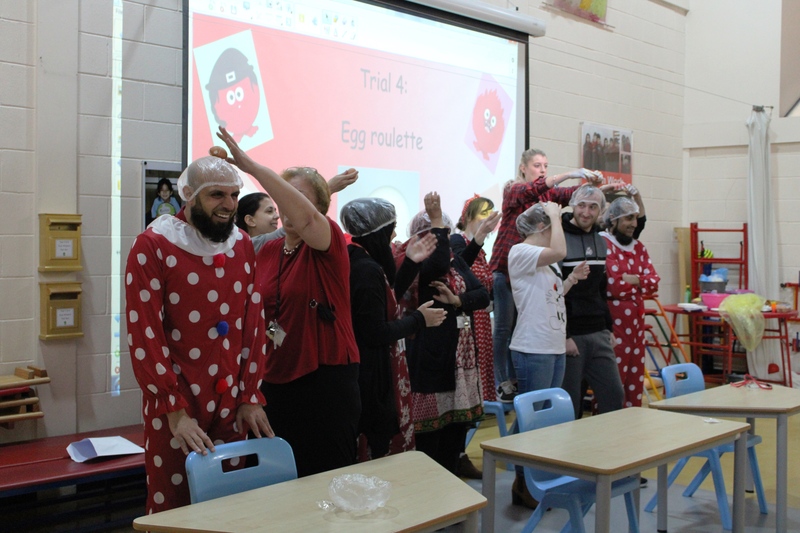 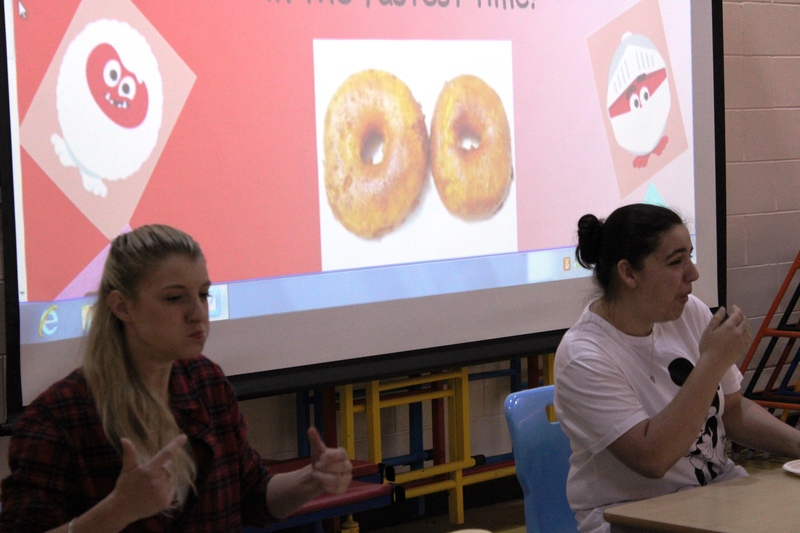 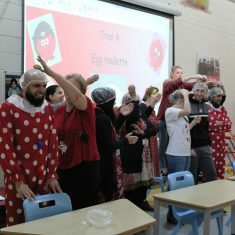 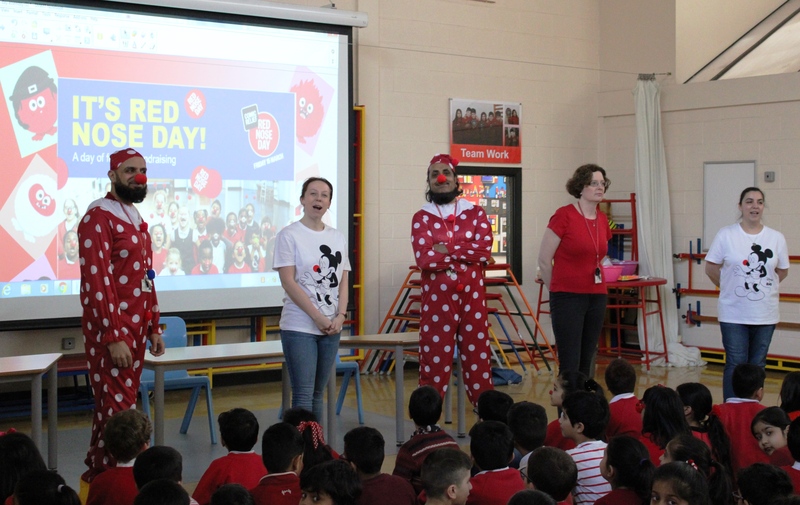 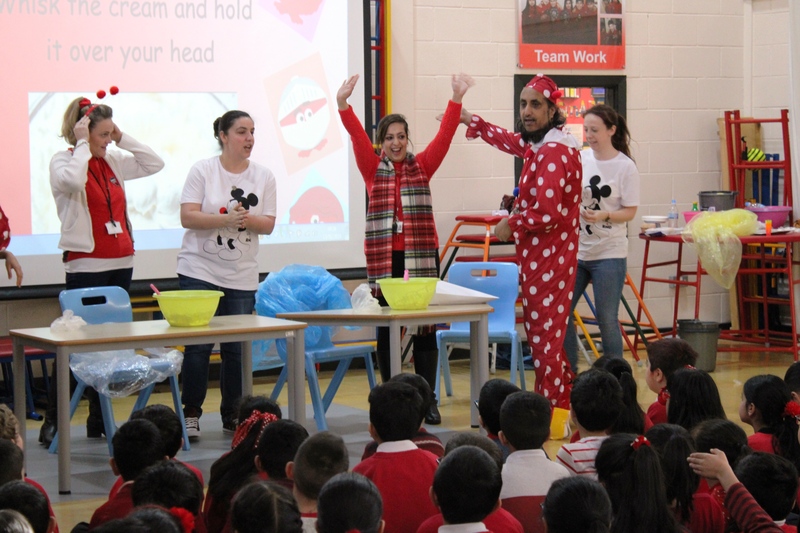 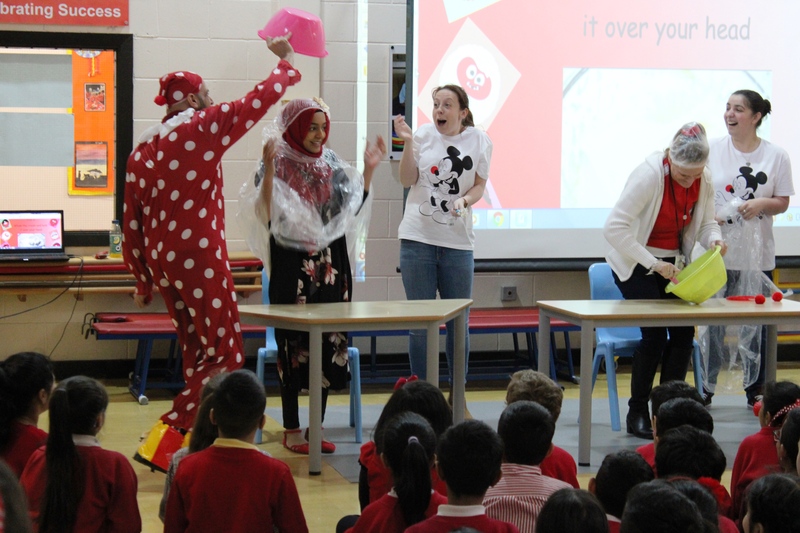 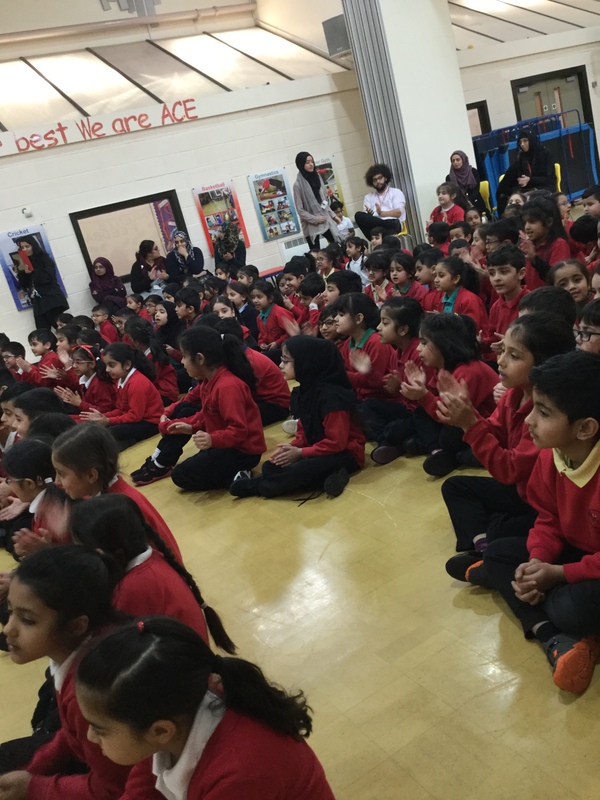 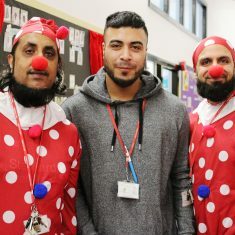 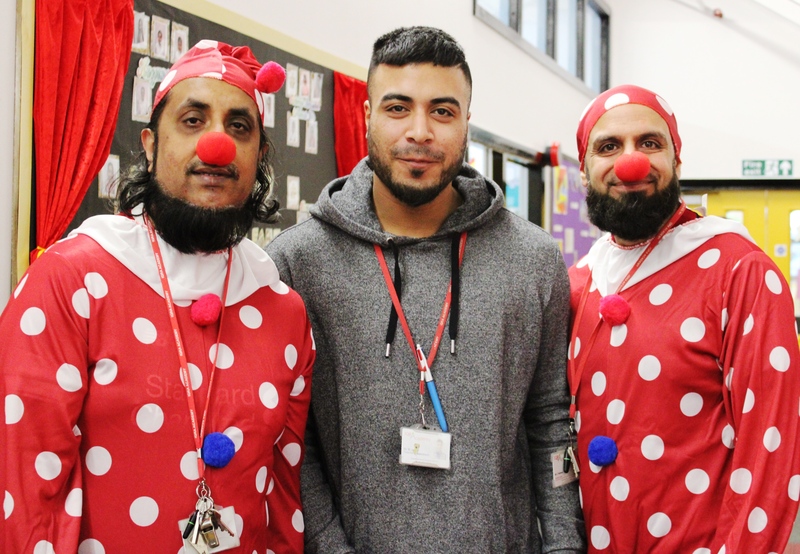 Special Thank you goes to all the teachers that worked really hard to organise the activities for Red Nose day. 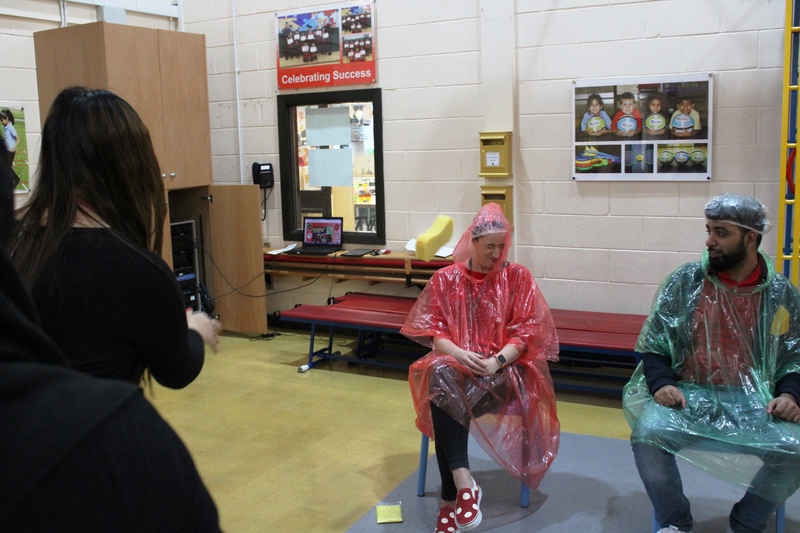 We raised a total of £1310.24. 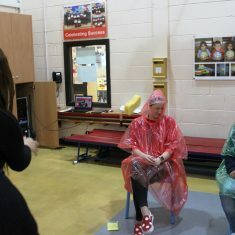 Thank you to everyone that donated money to this valuable cause. 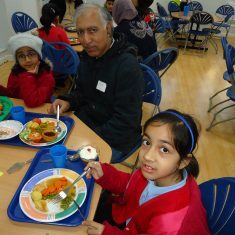 The money will go towards helping lots of vulnerable children and families to have a better life. 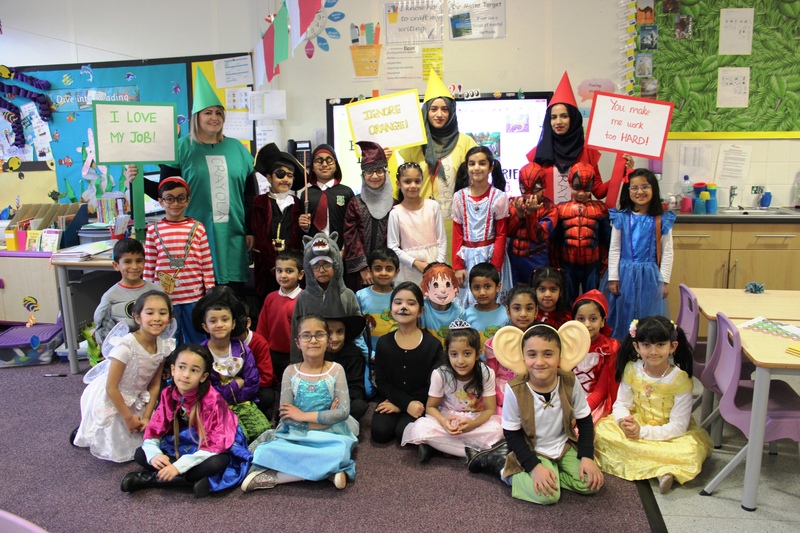 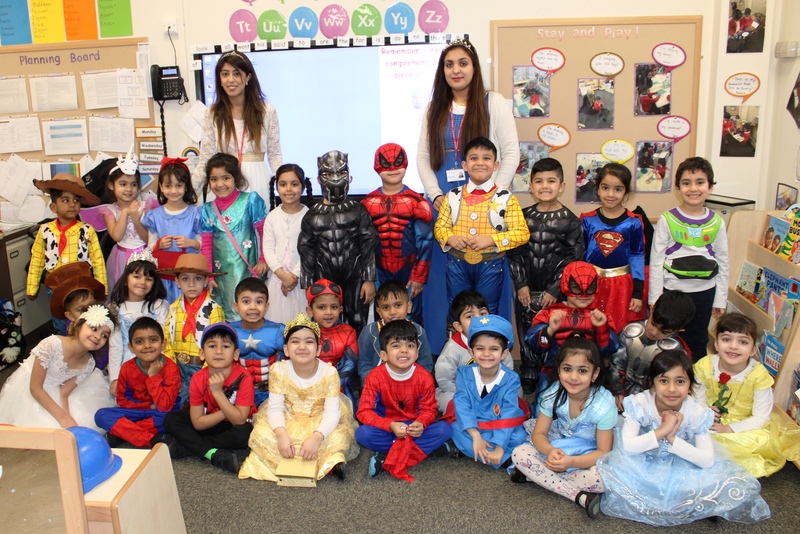 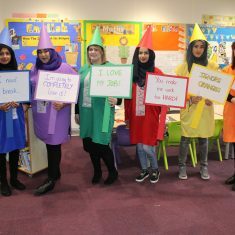 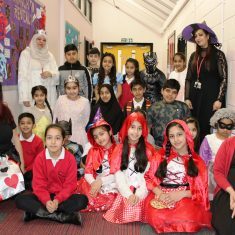 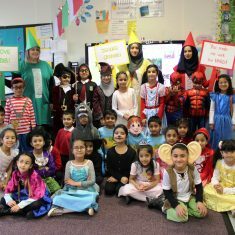 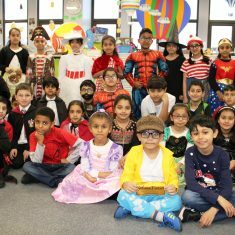 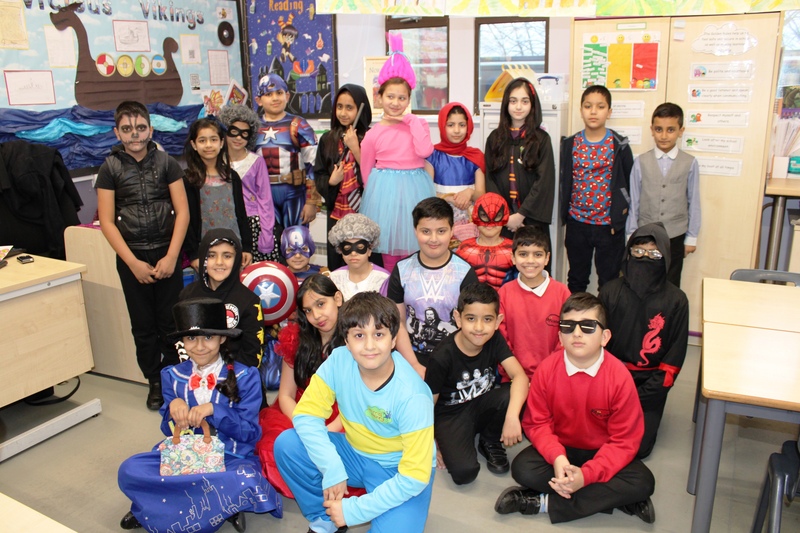 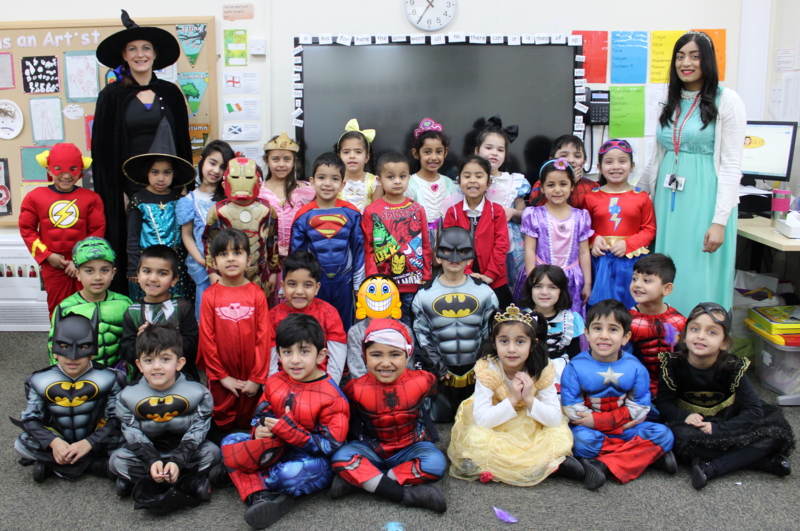 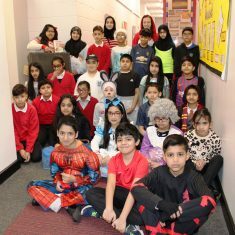 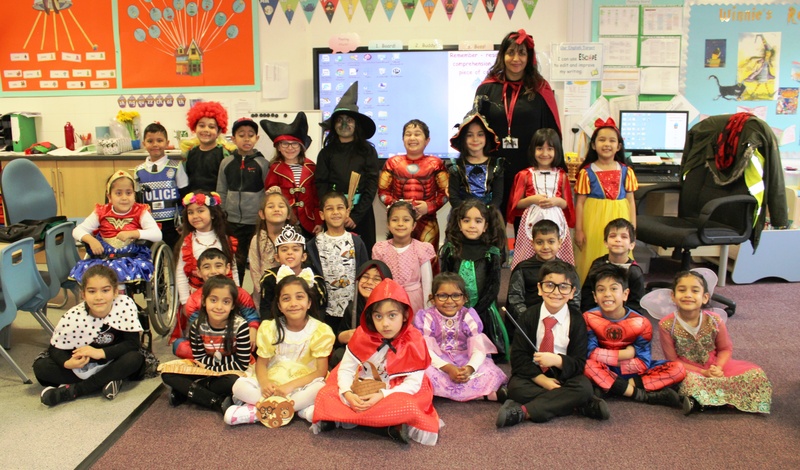 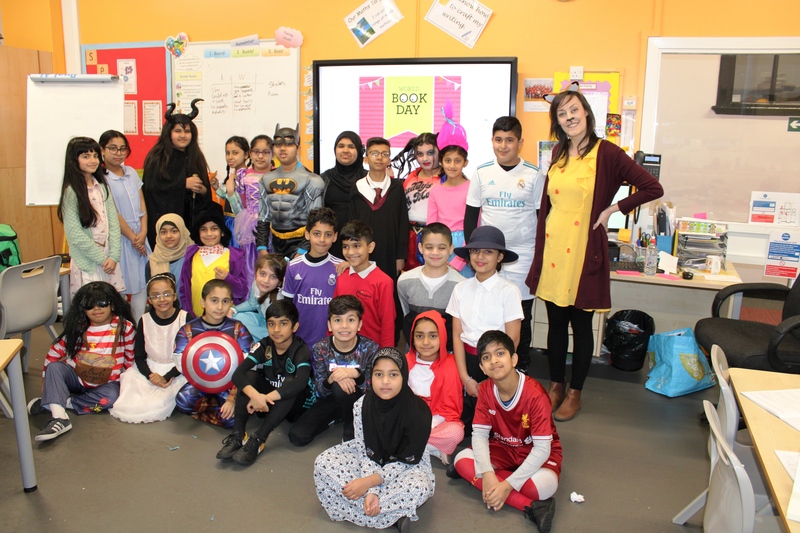 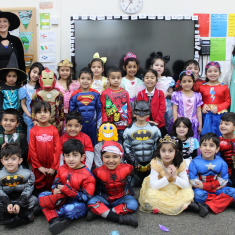 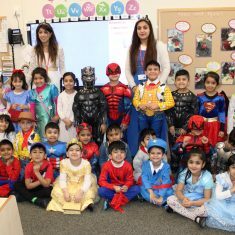 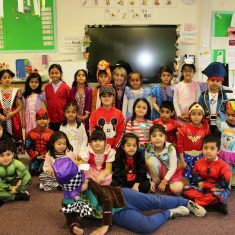 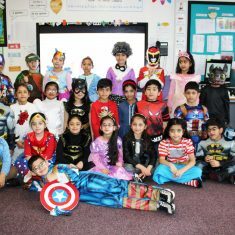 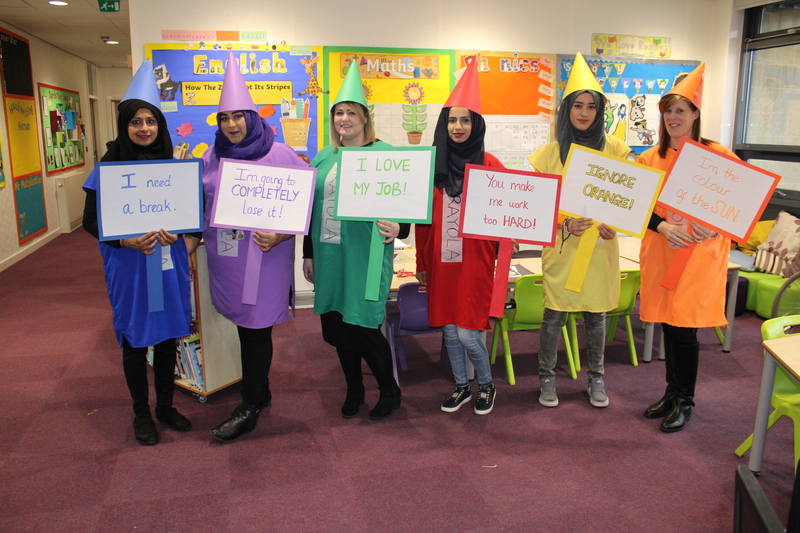 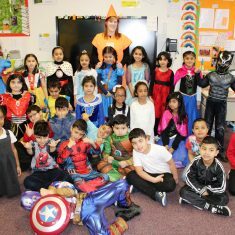 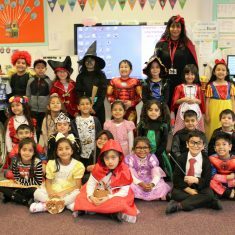 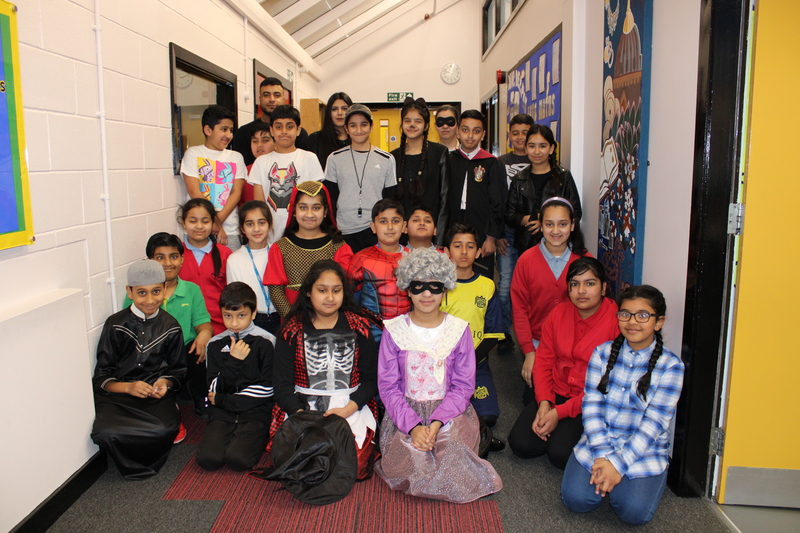 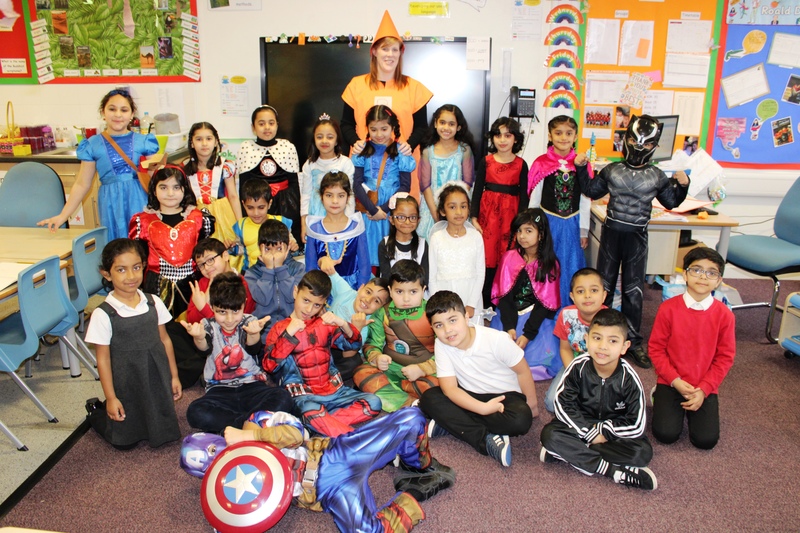 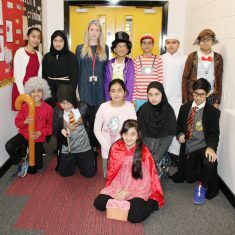 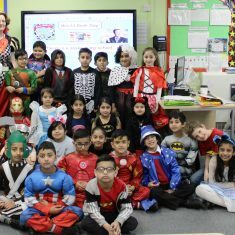 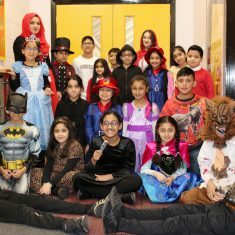 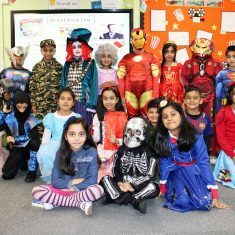 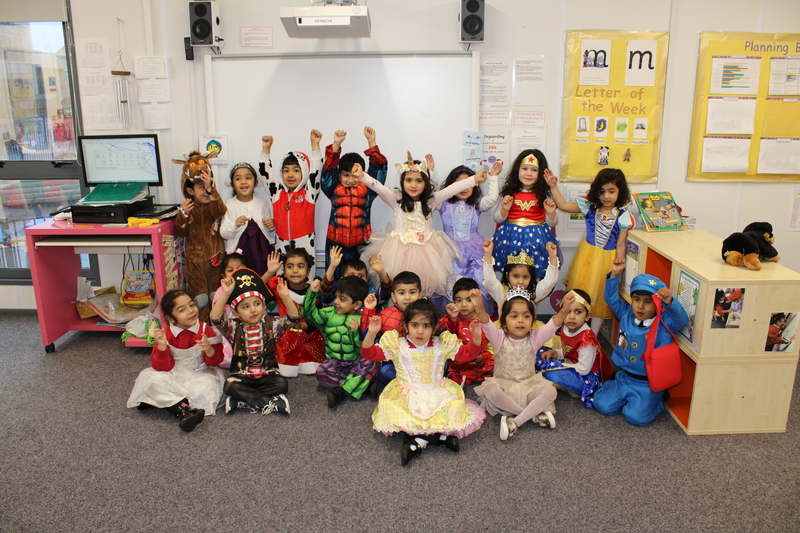 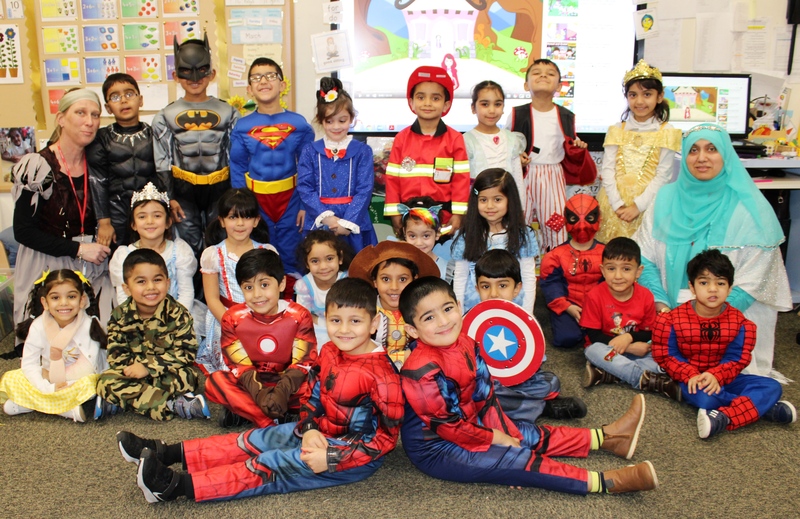 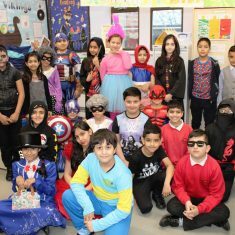 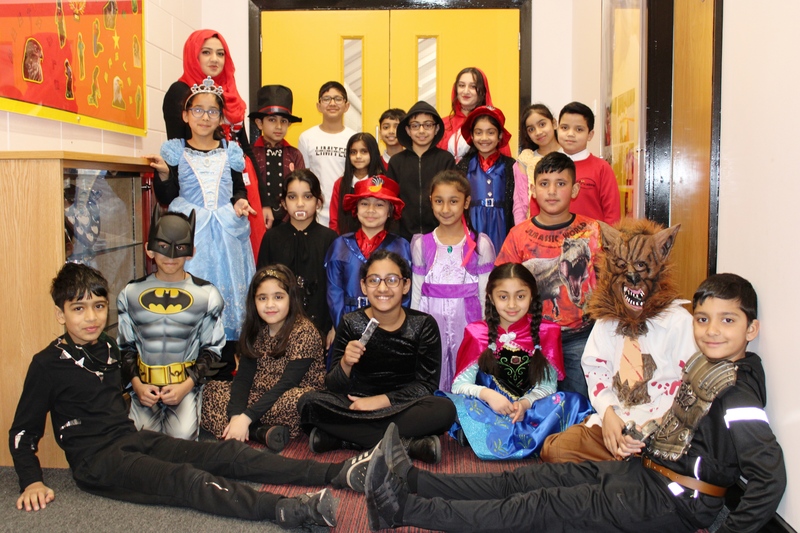 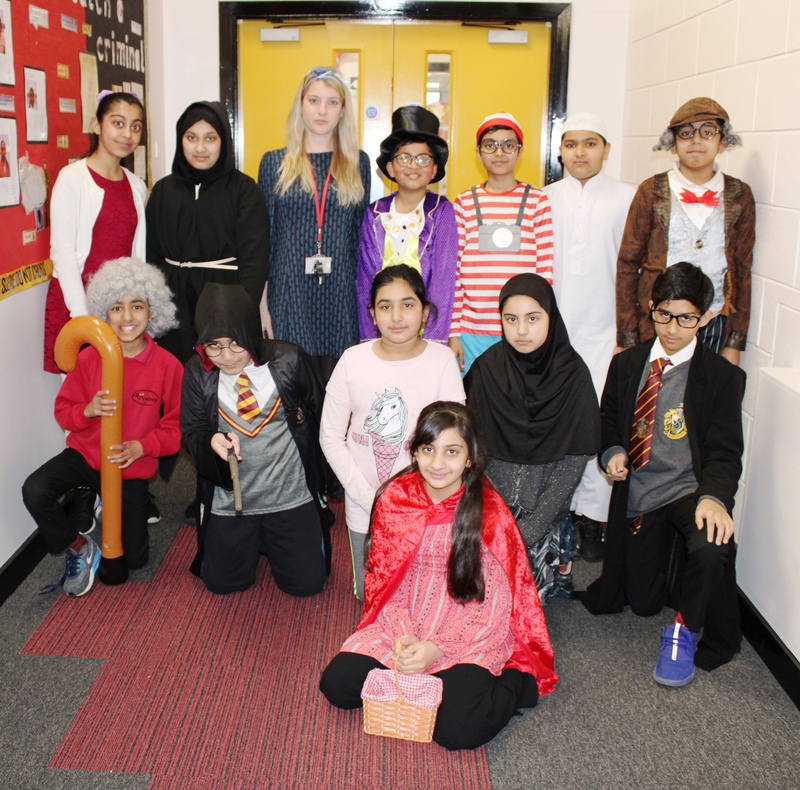 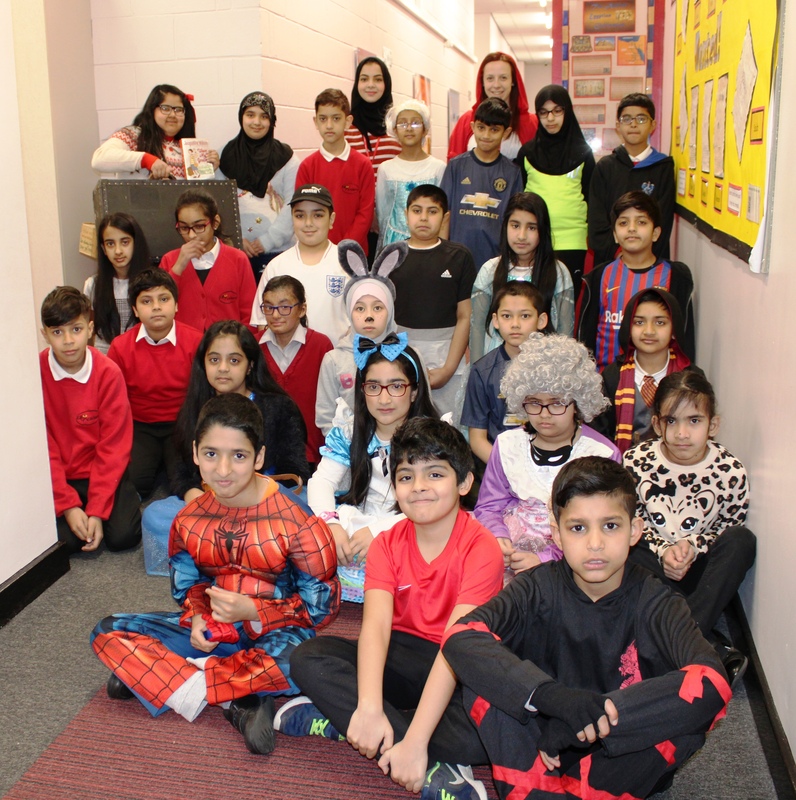 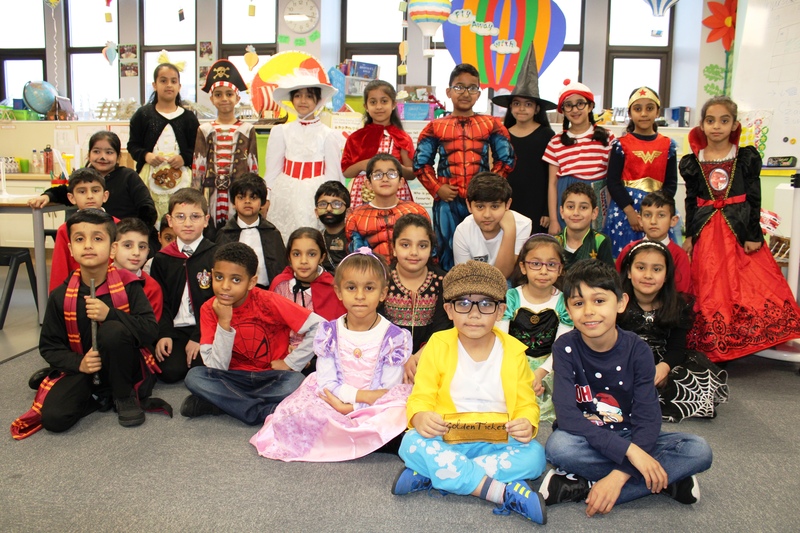 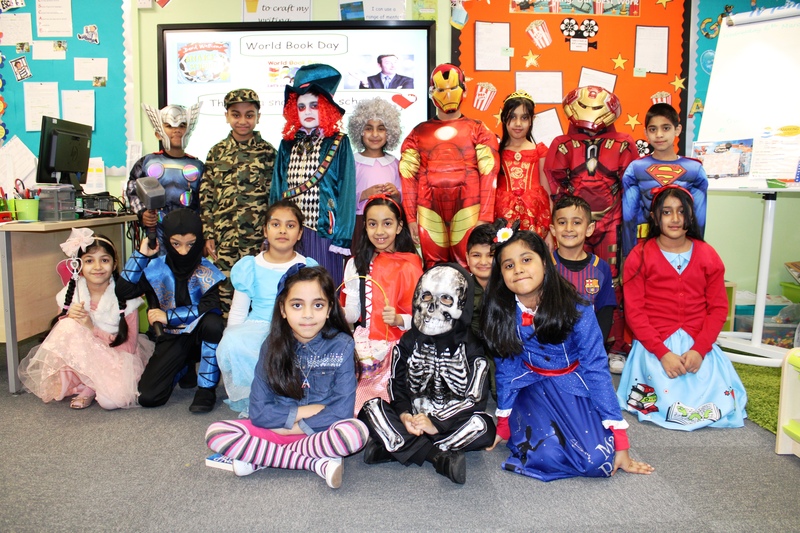 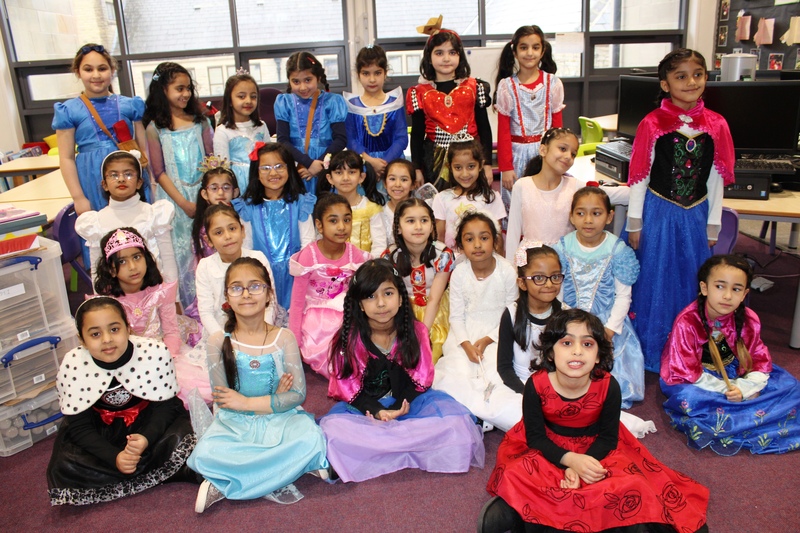 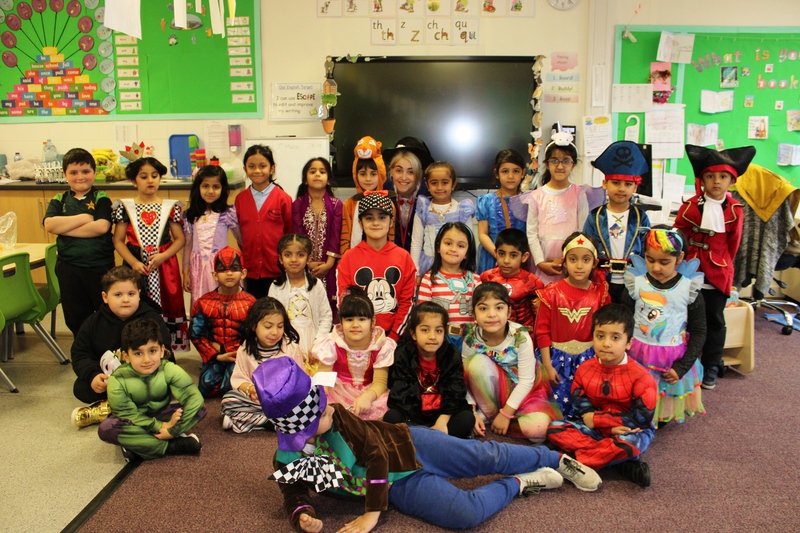 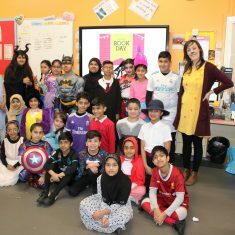 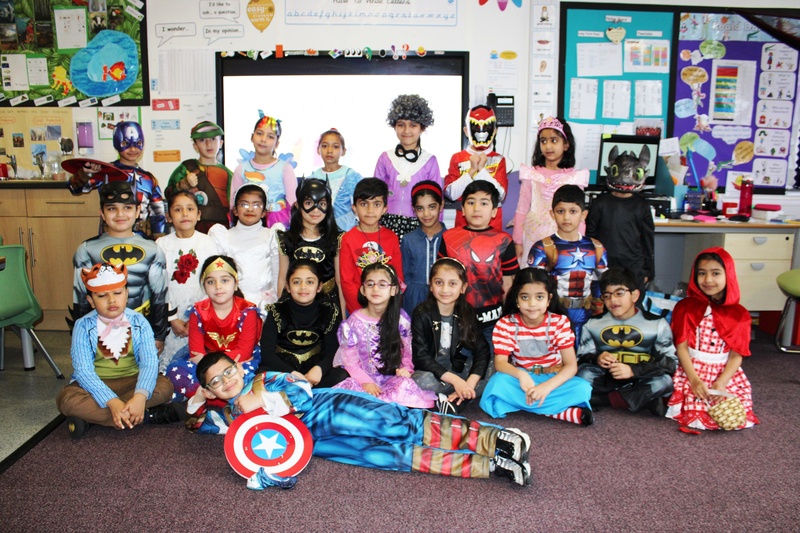 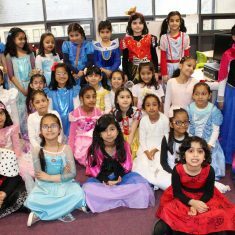 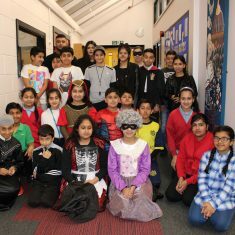 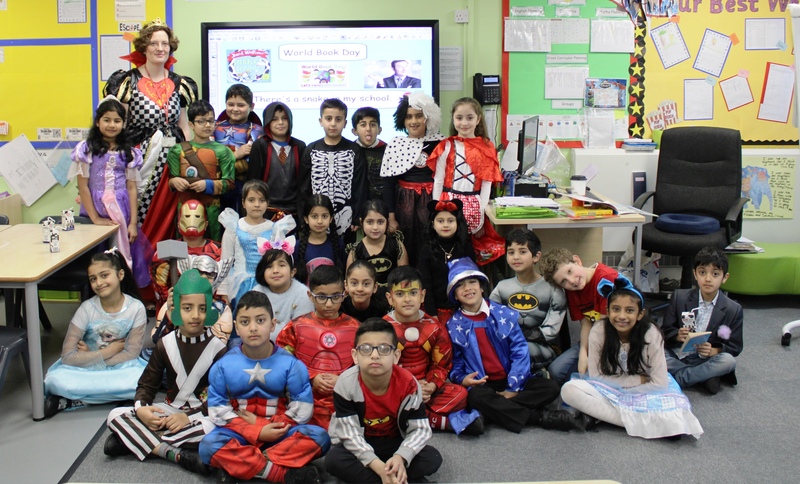 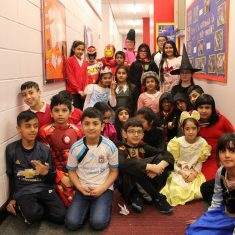 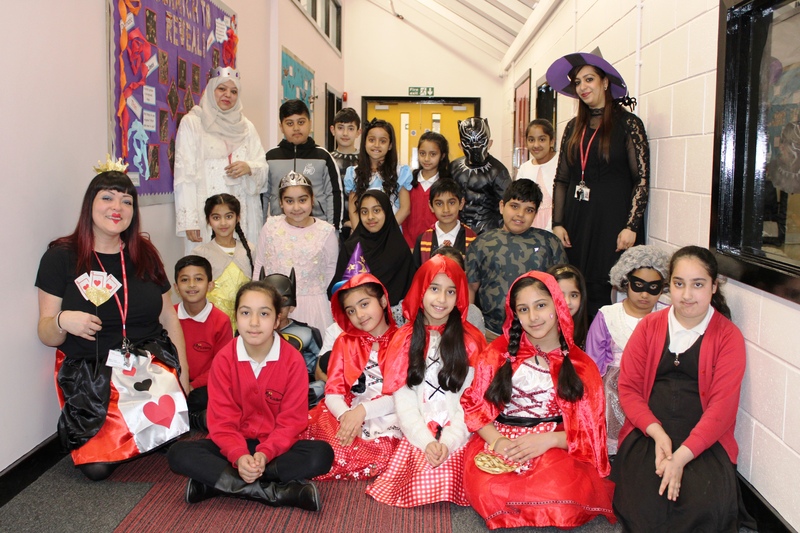 To celebrate World Book Day pupils came to school dressed as a character from their favourite book. 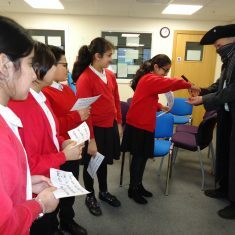 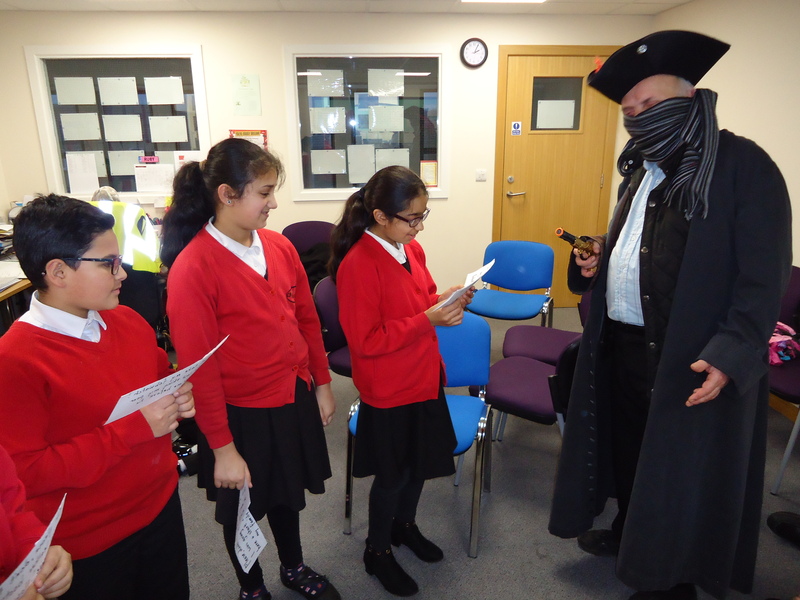 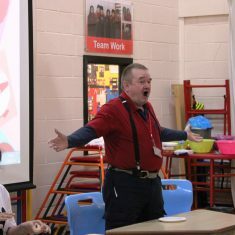 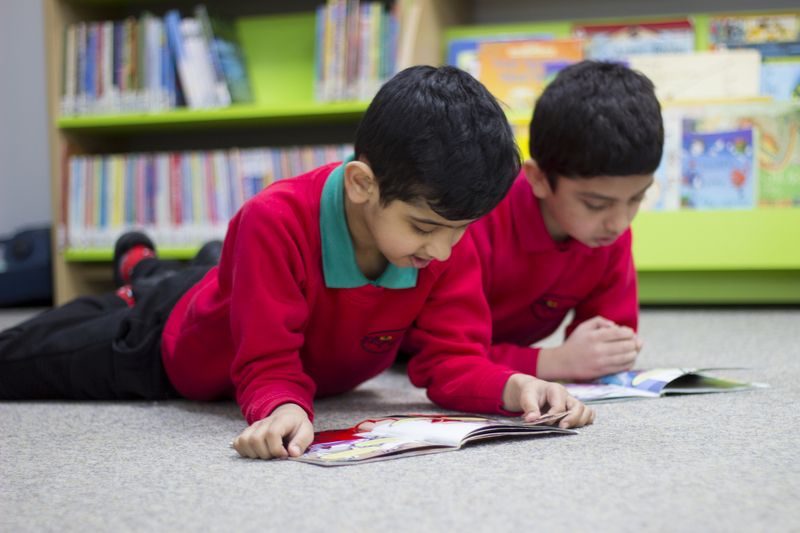 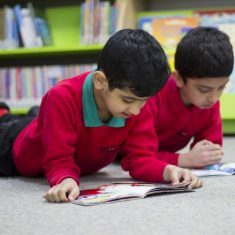 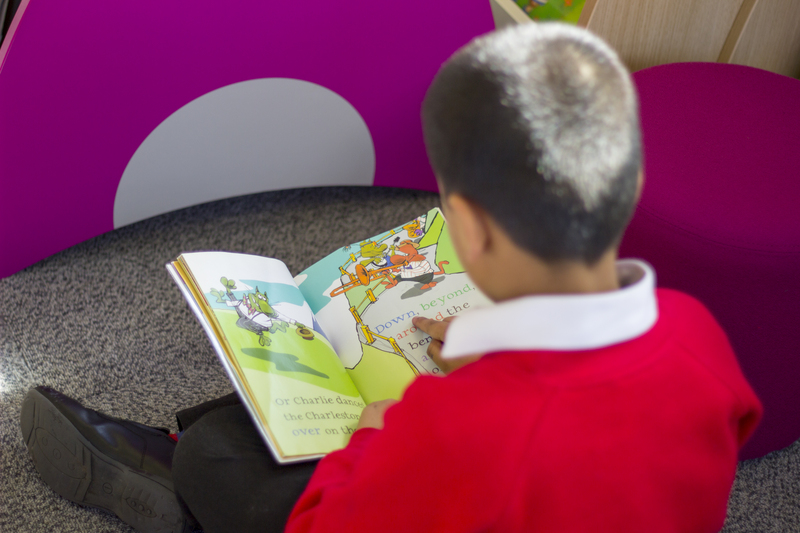 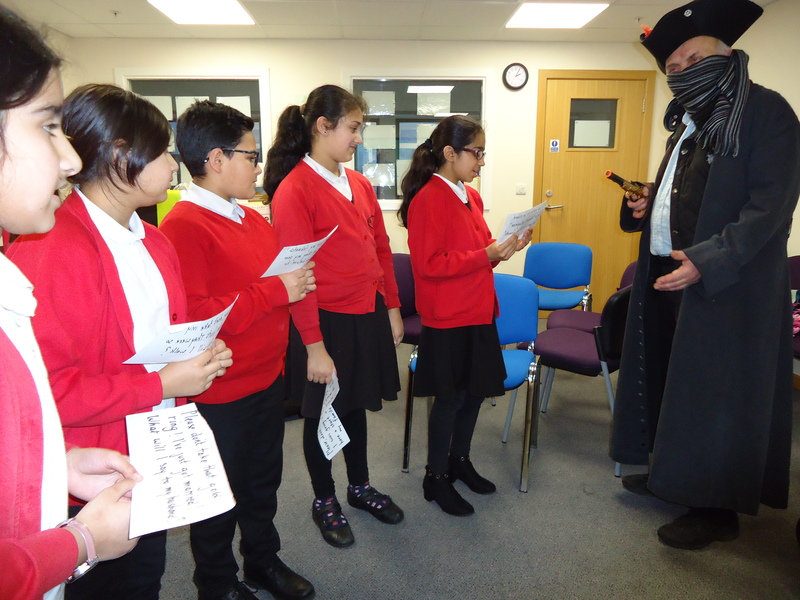 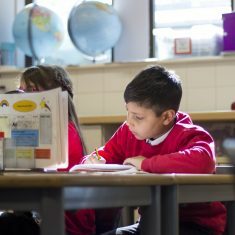 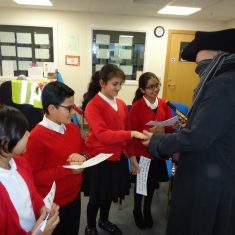 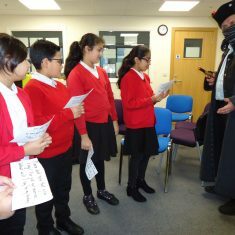 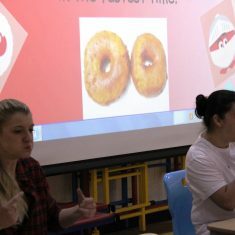 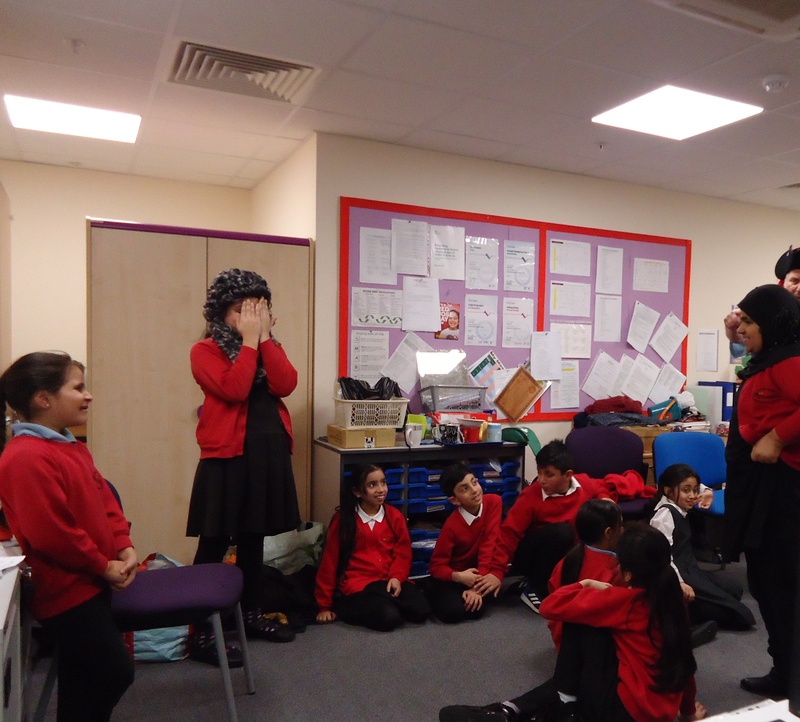 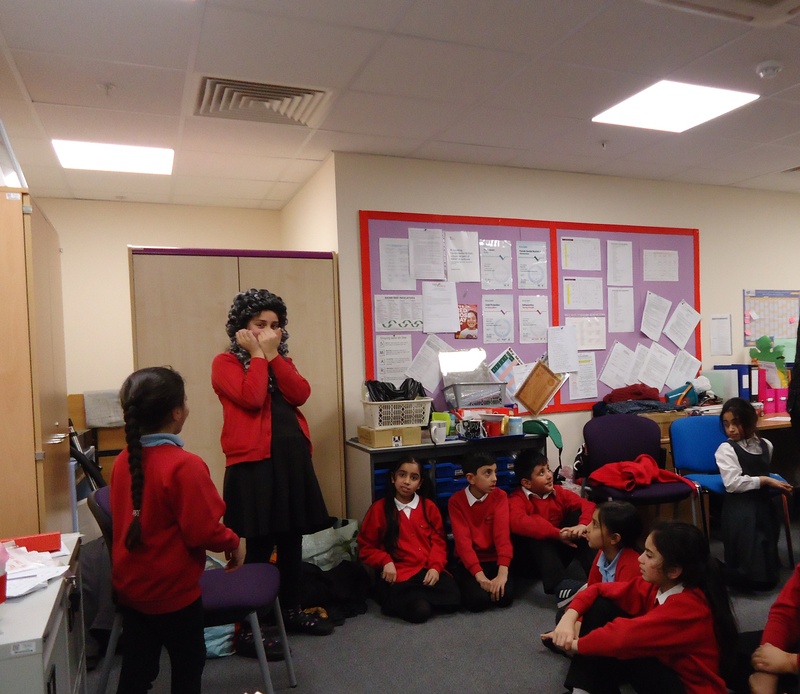 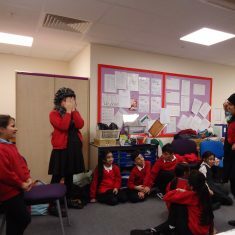 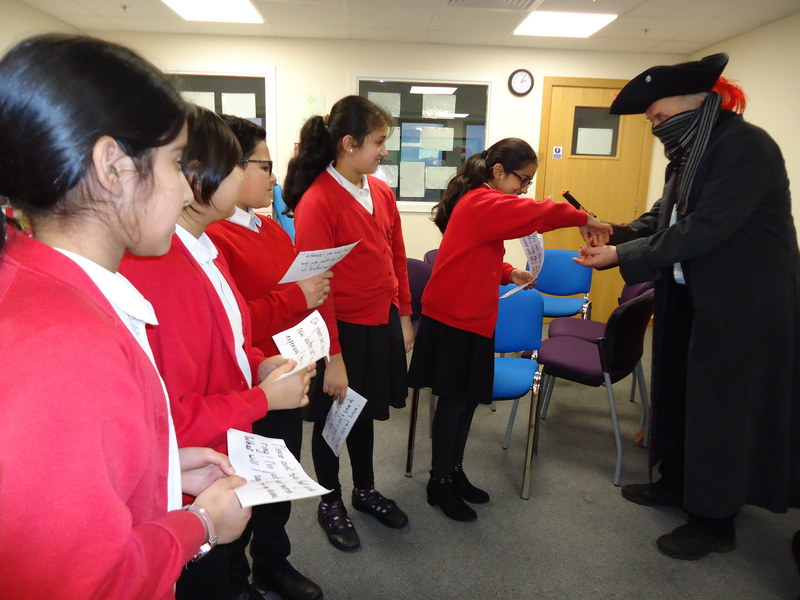 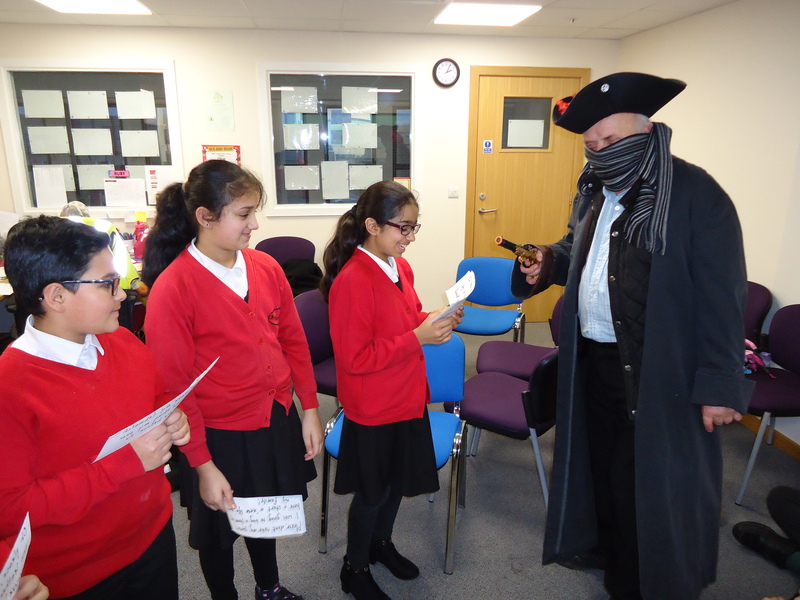 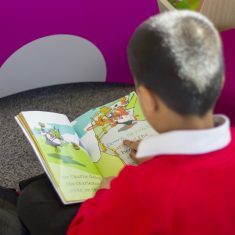 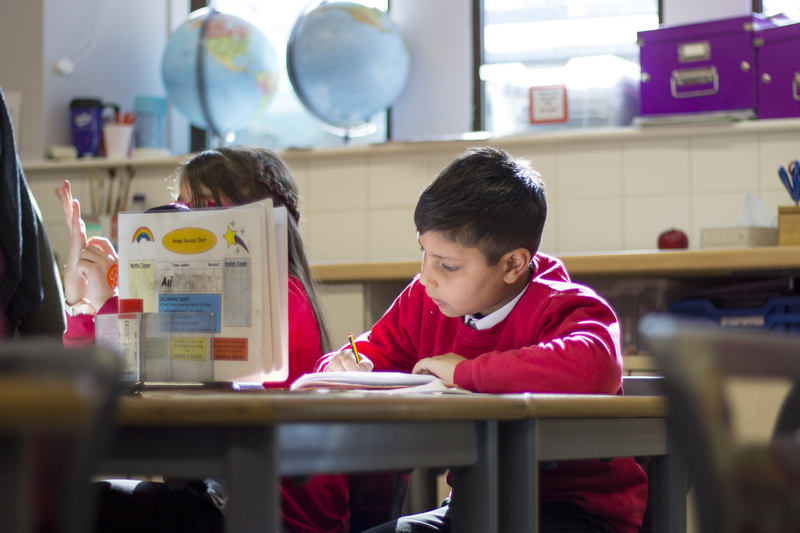 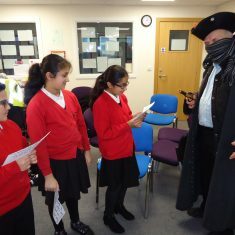 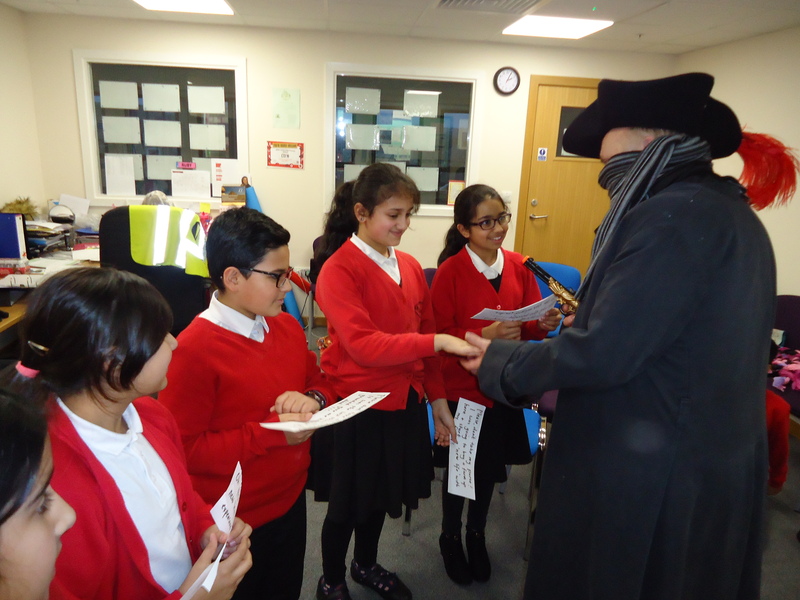 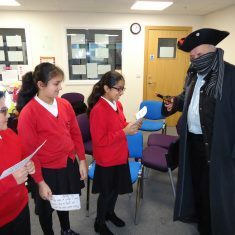 We also arranged for Alex Fellowes to come into school and run drama sessions with pupils to promote our love of reading. 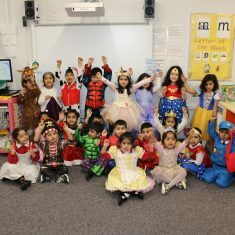 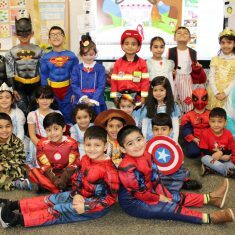 All the children looked amazing in their outfits. 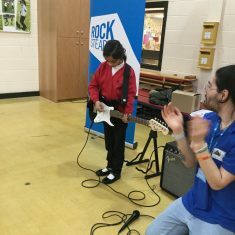 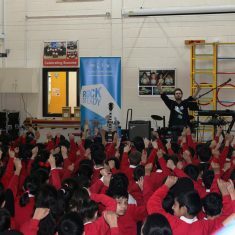 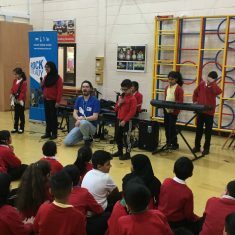 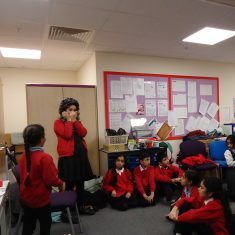 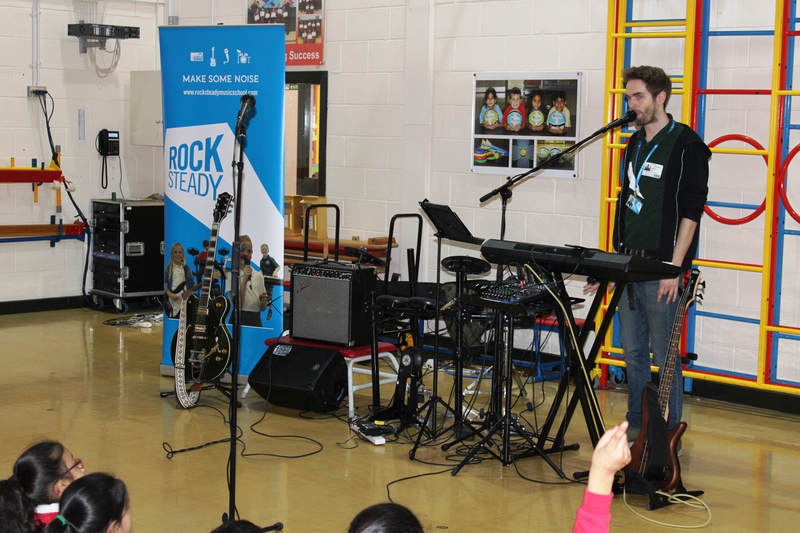 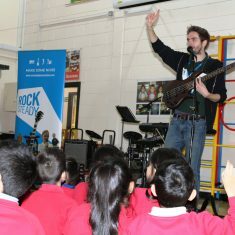 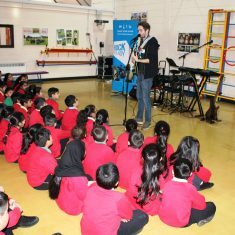 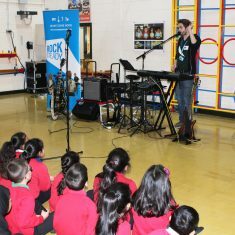 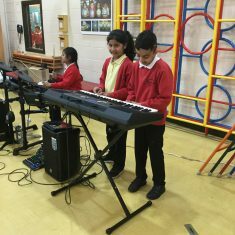 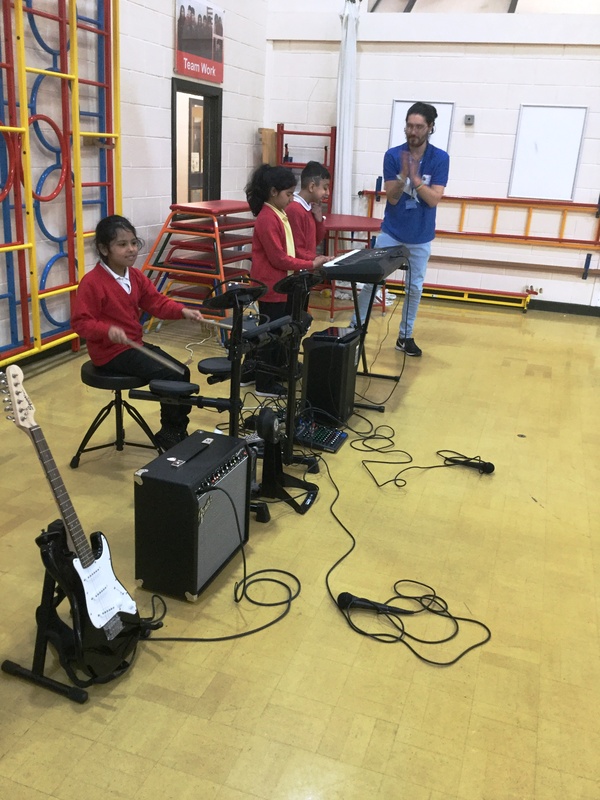 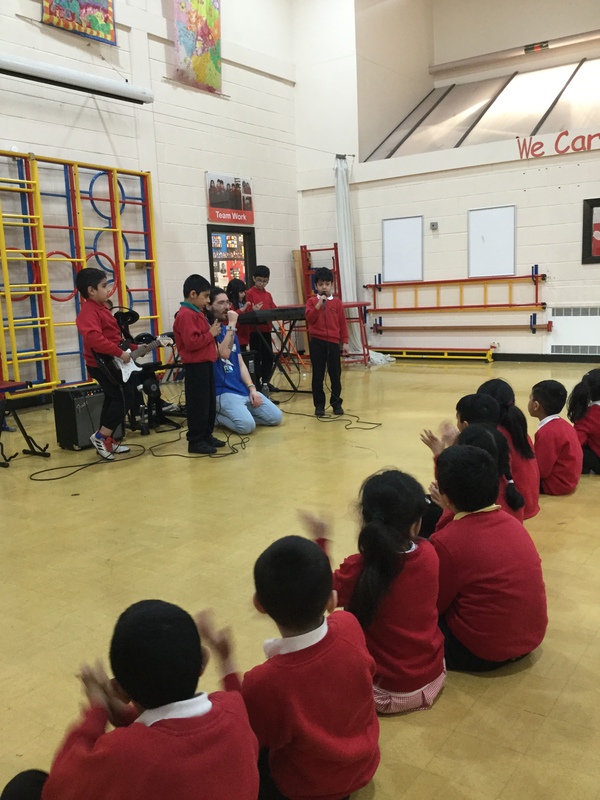 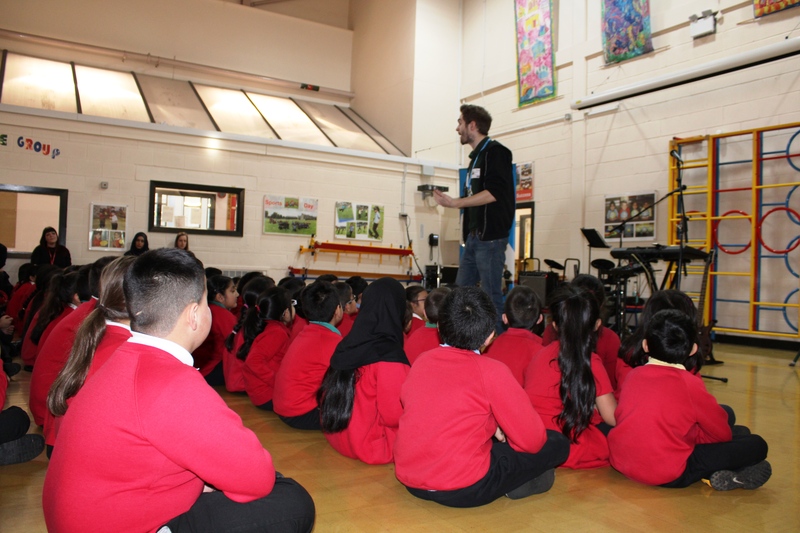 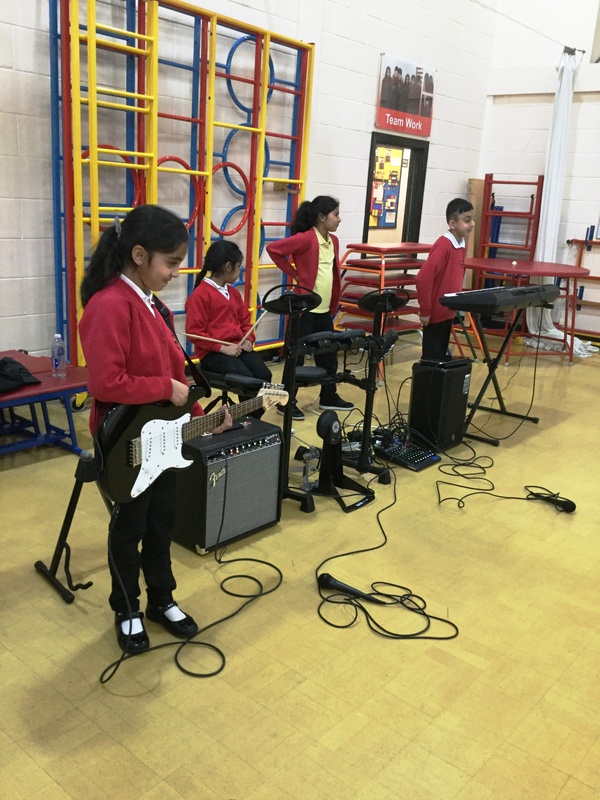 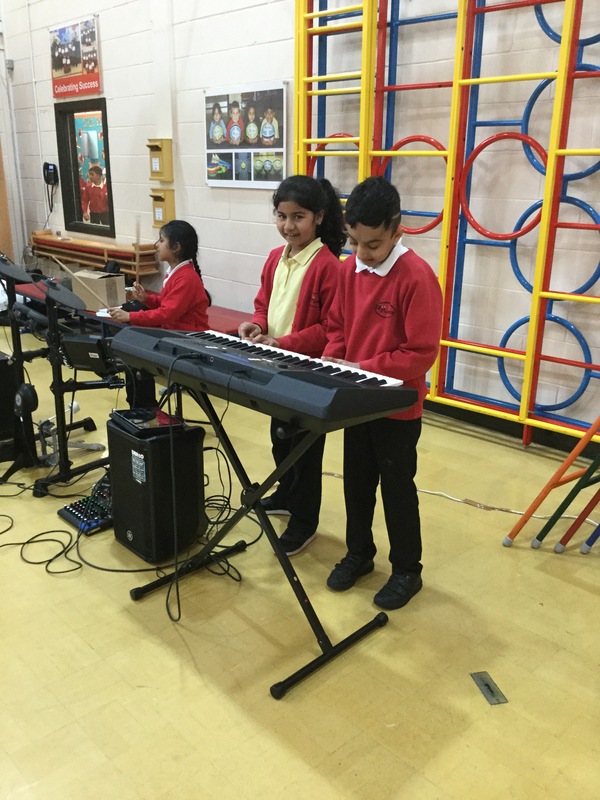 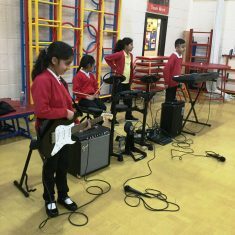 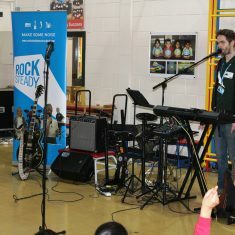 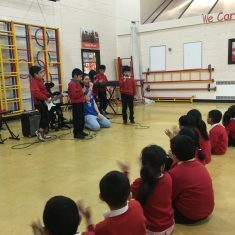 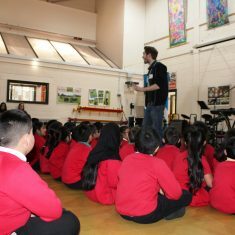 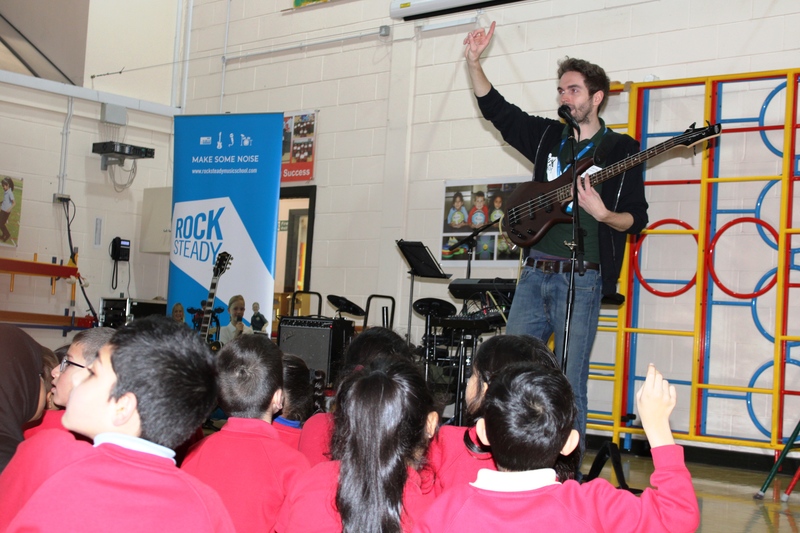 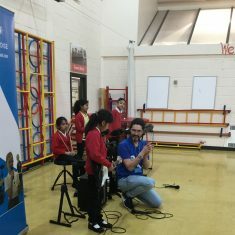 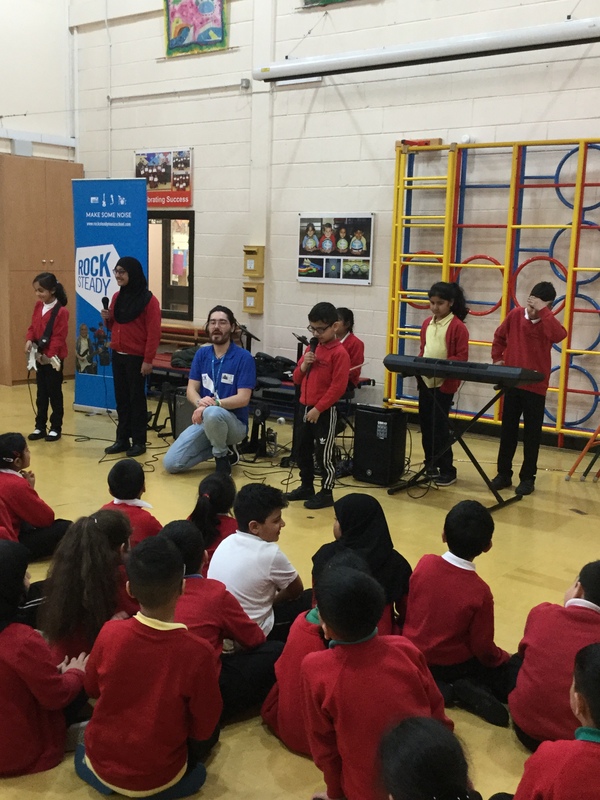 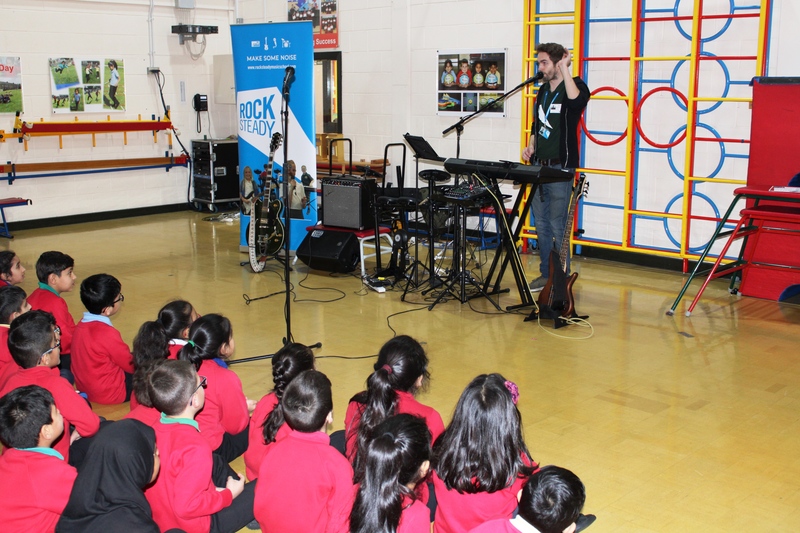 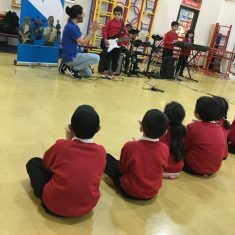 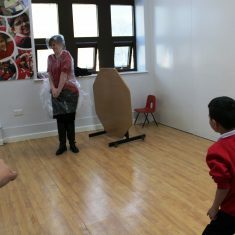 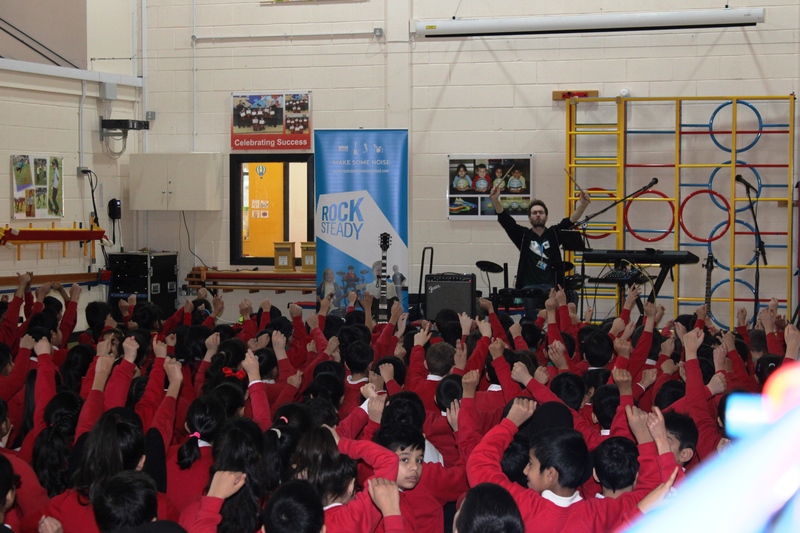 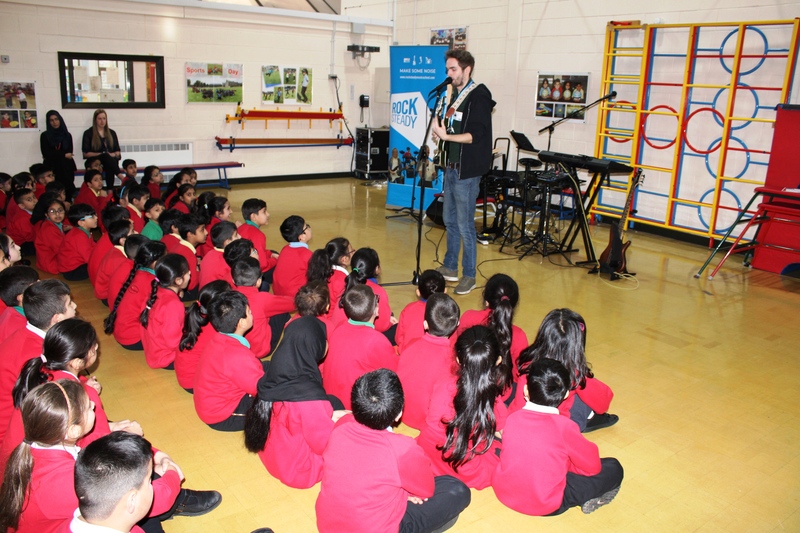 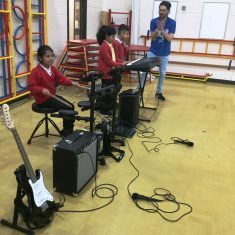 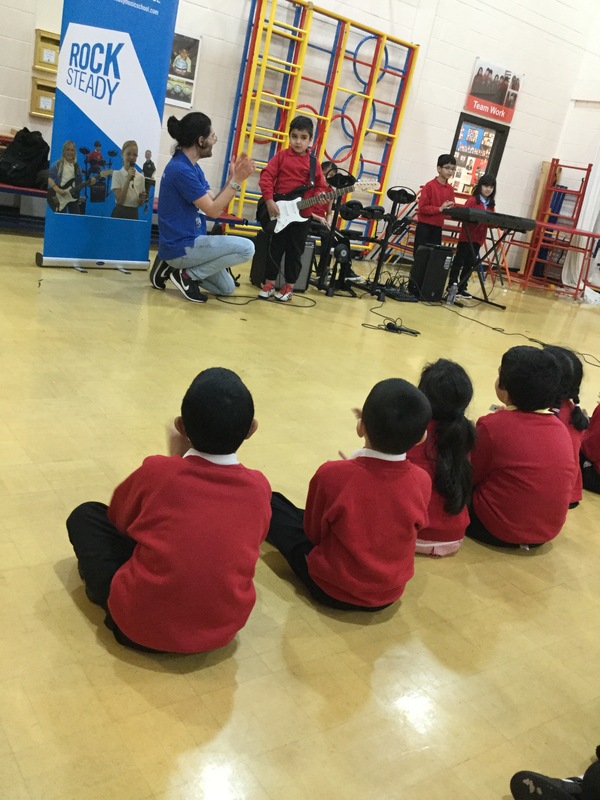 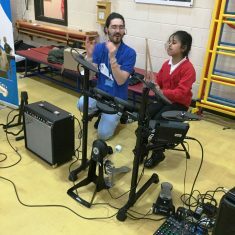 We had a professional musician come in to give children an inspirational introduction to singing and playing in a band. 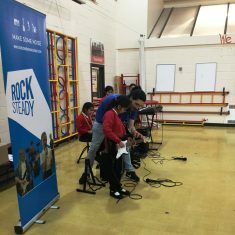 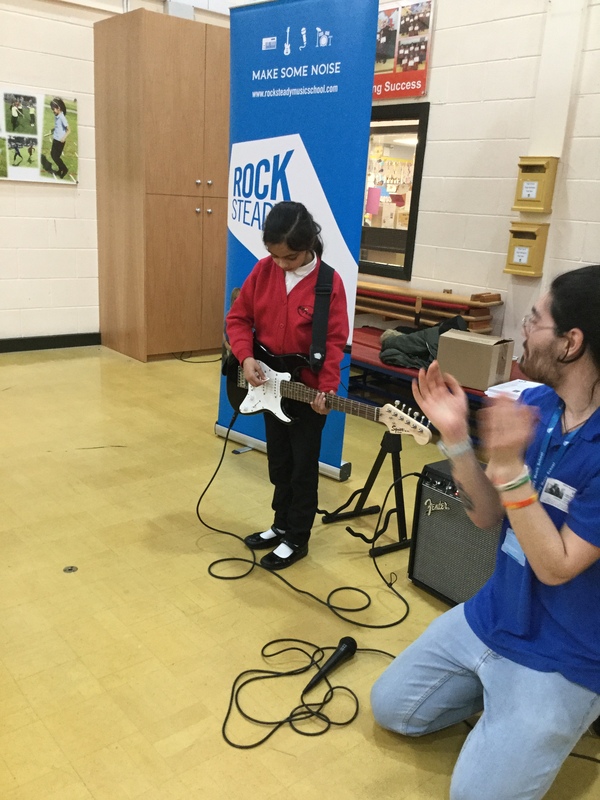 It was great fun for everyone and an exciting first taste of the Rocksteady experience. 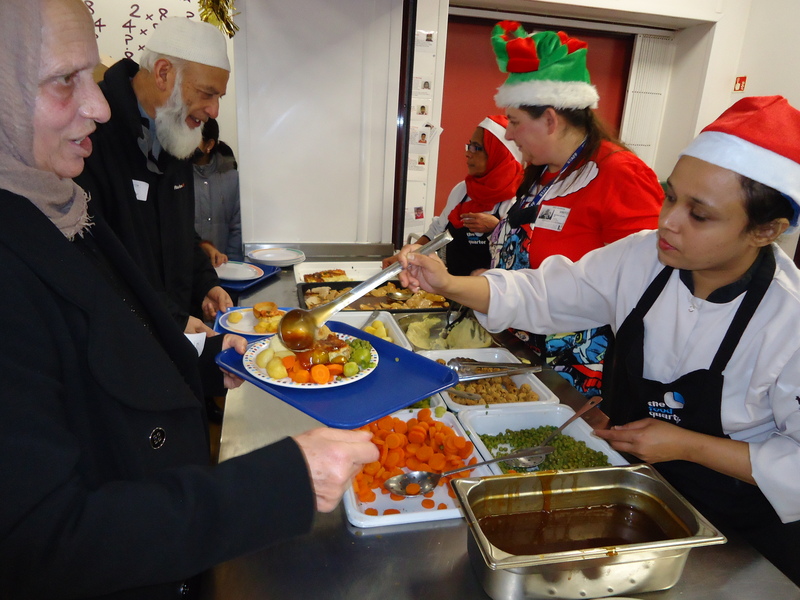 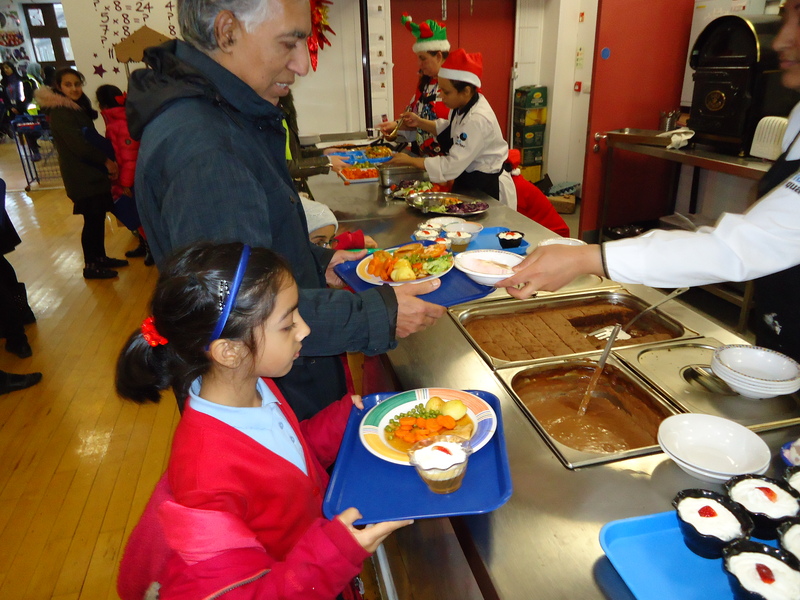 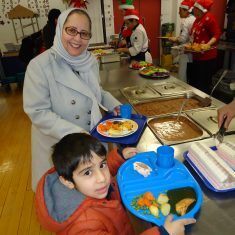 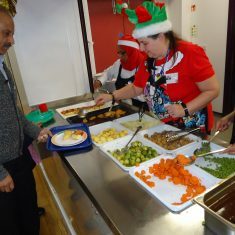 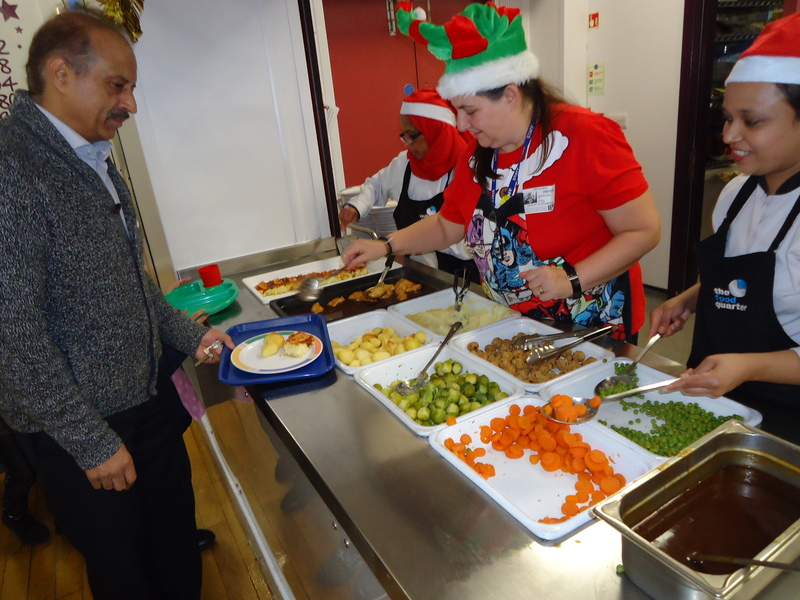 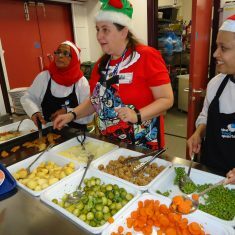 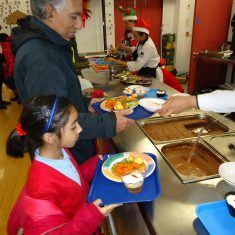 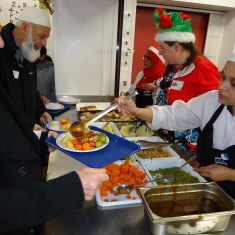 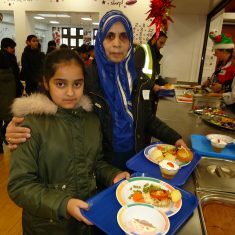 In total we had 17 grandparents attended the Christmas lunch. 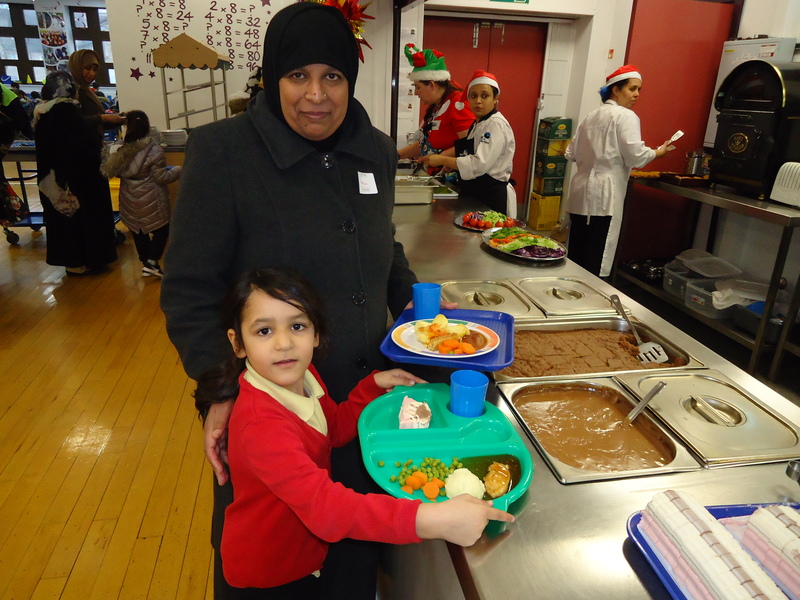 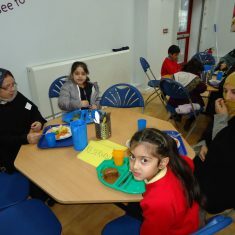 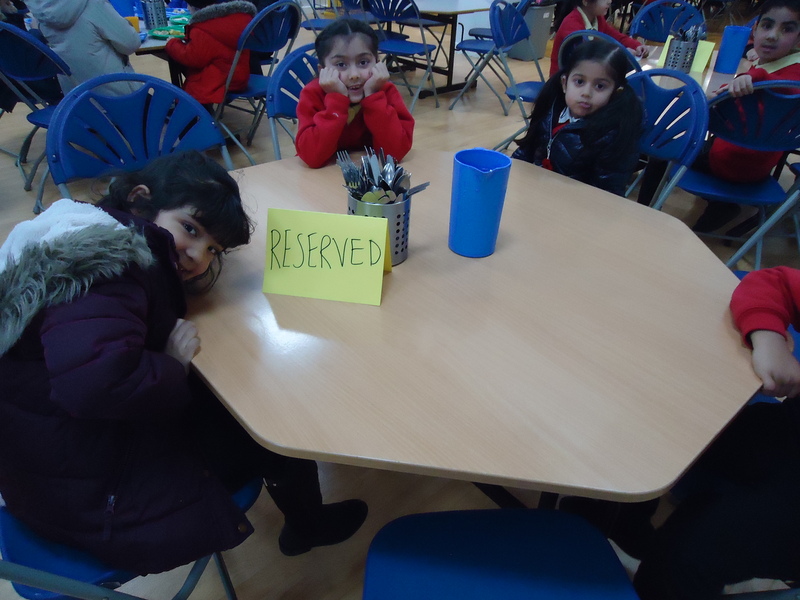 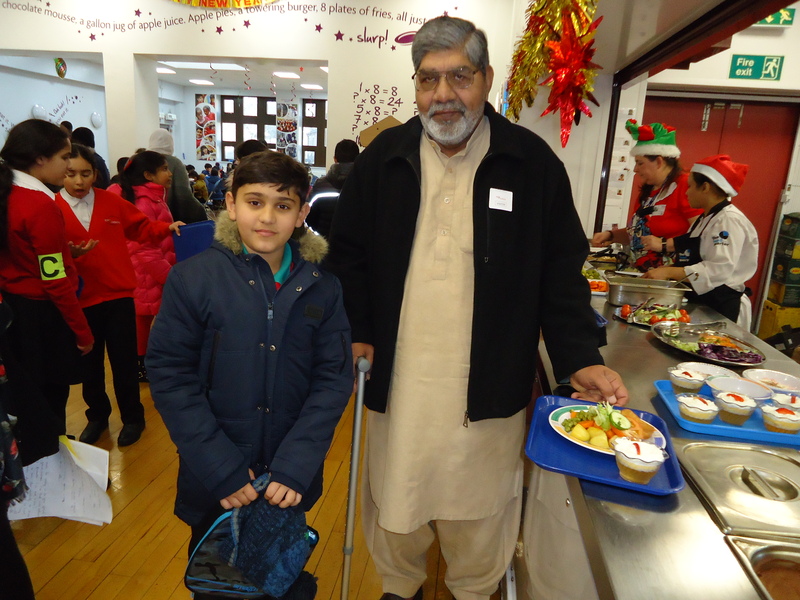 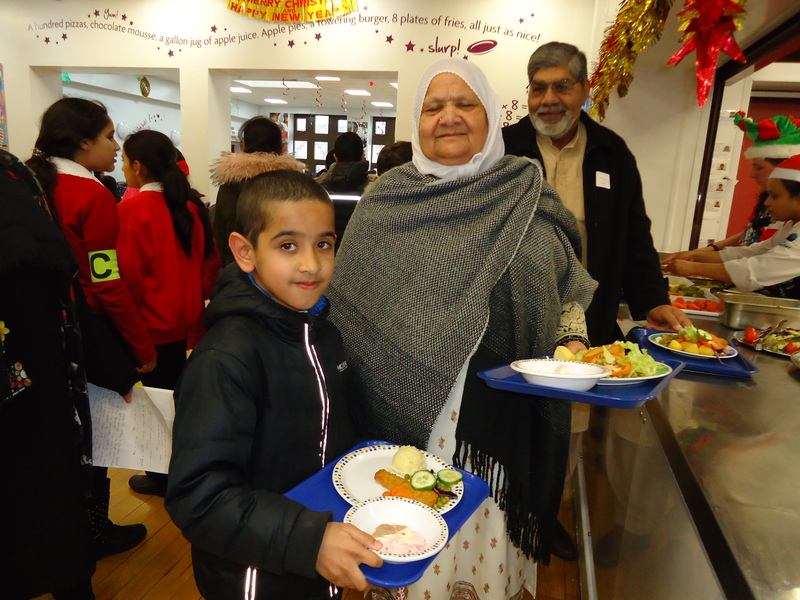 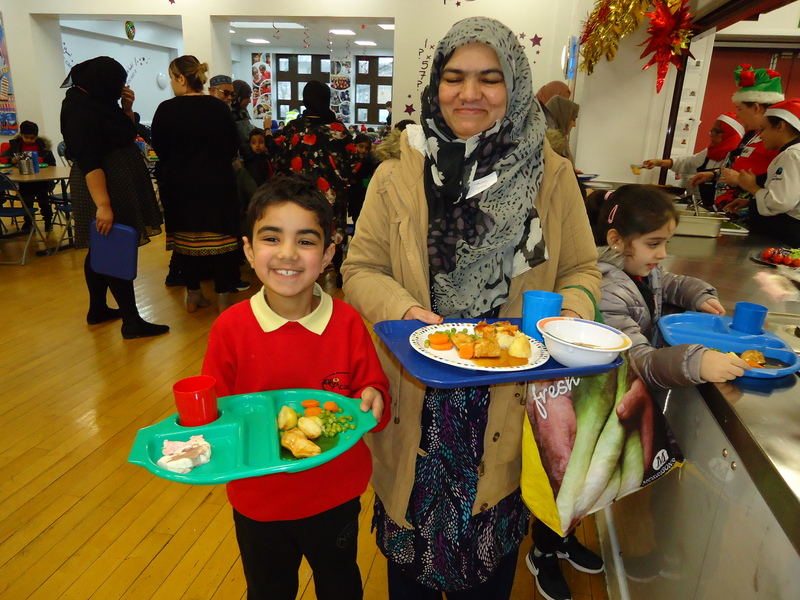 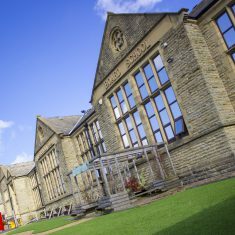 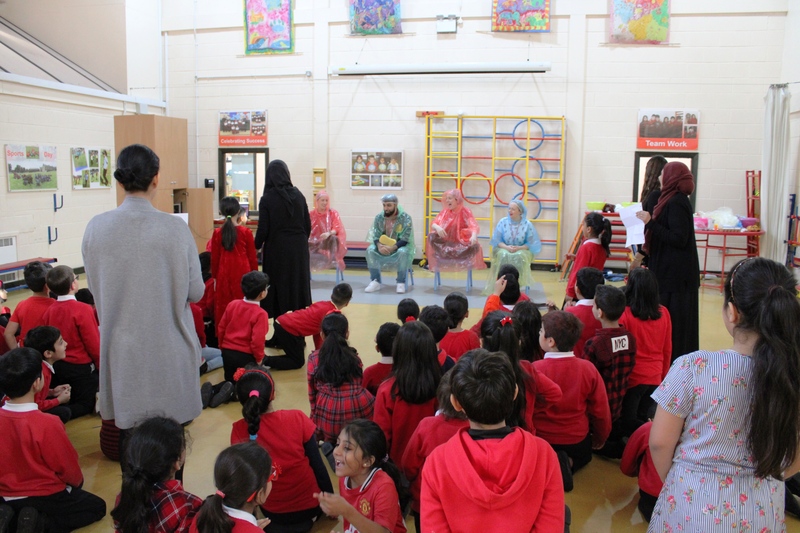 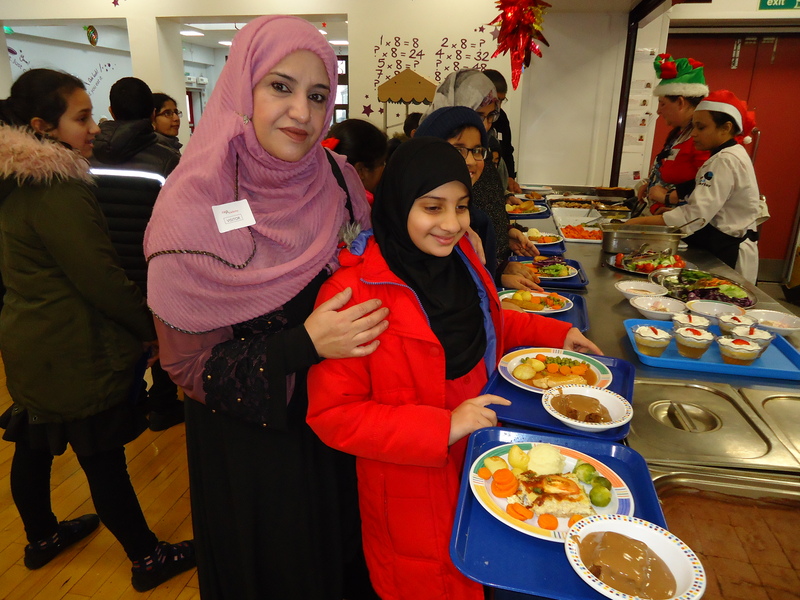 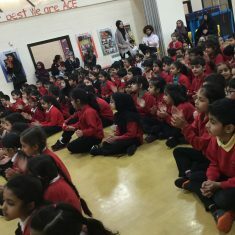 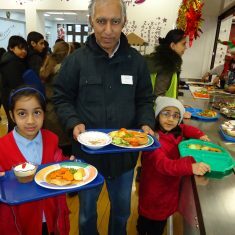 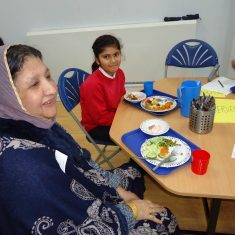 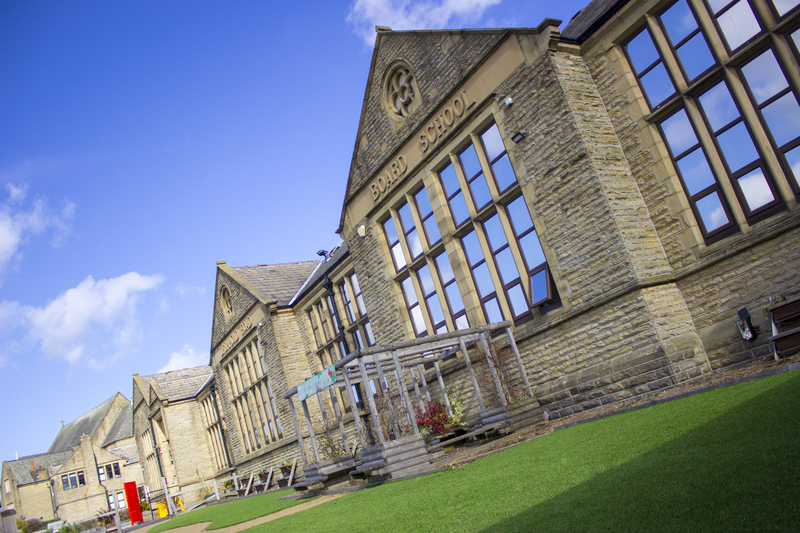 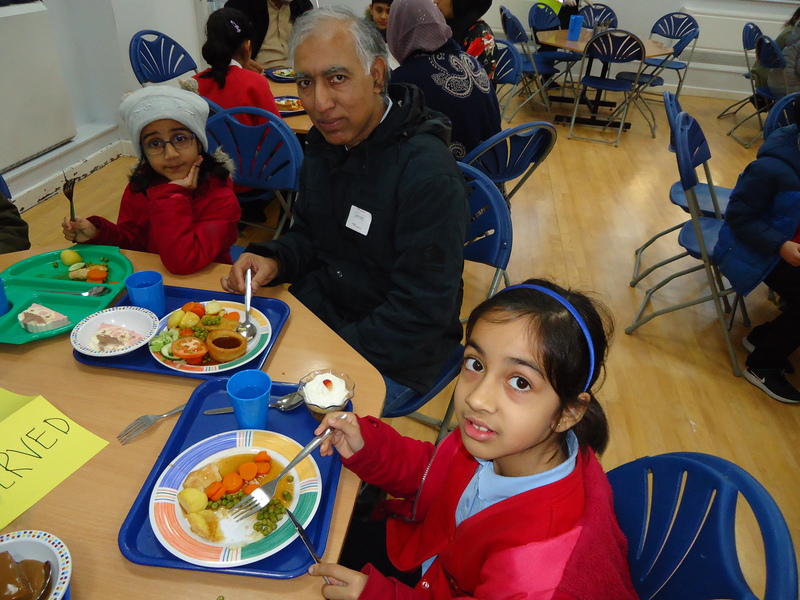 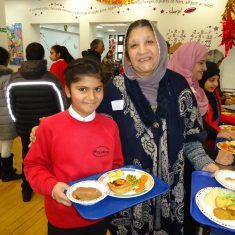 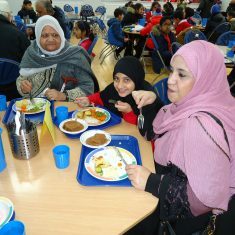 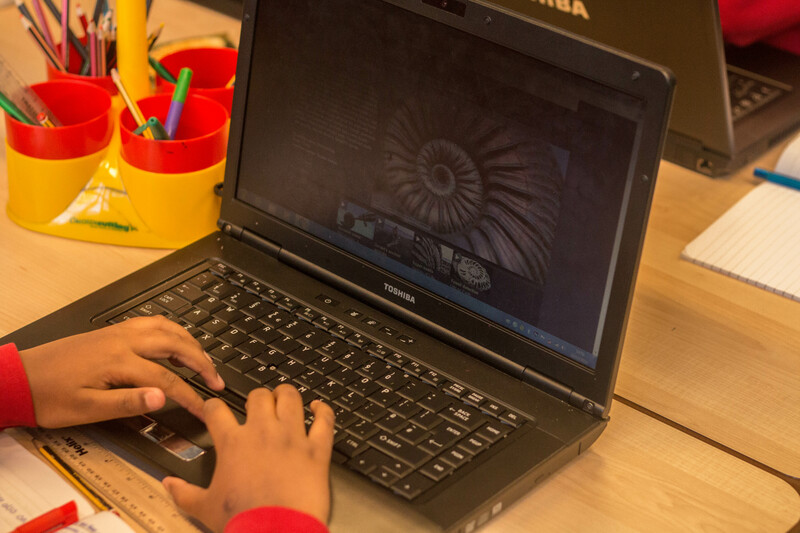 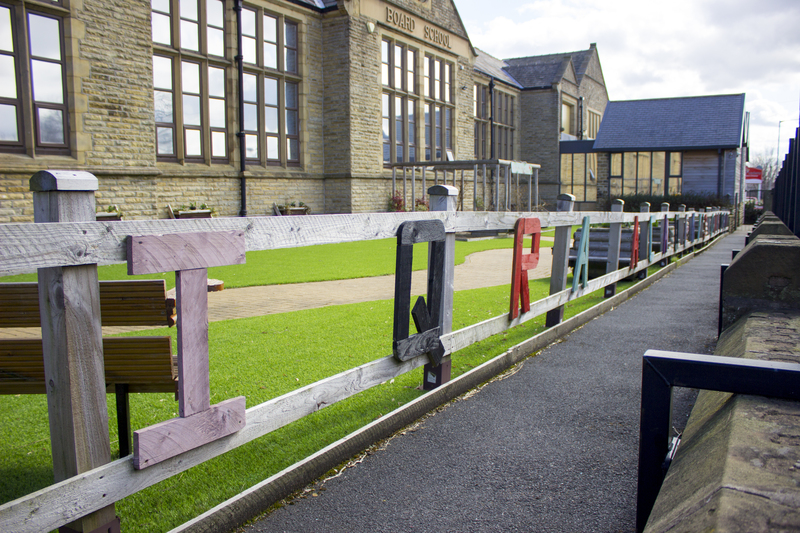 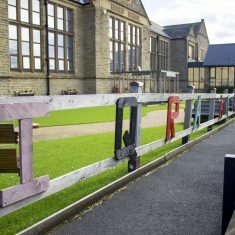 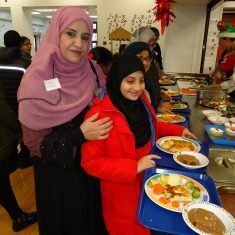 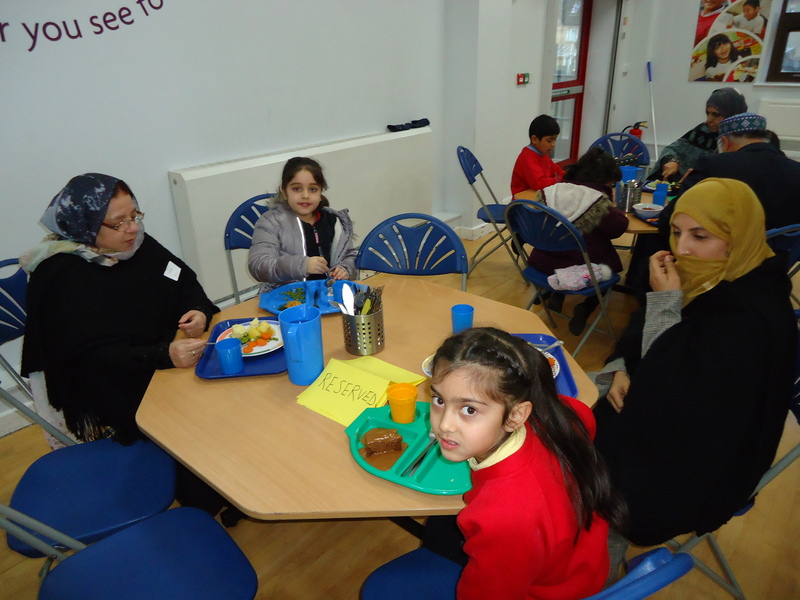 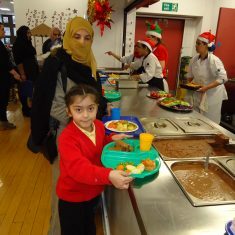 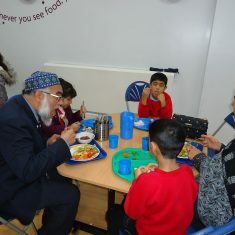 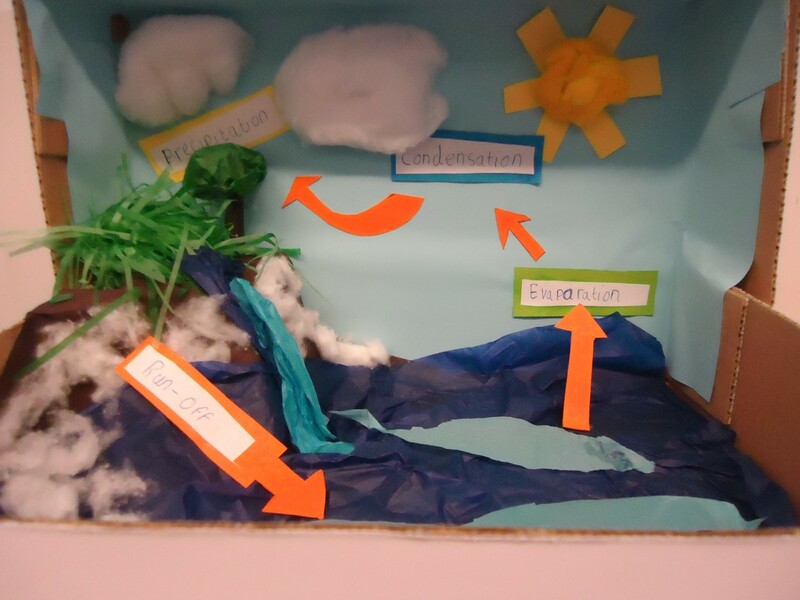 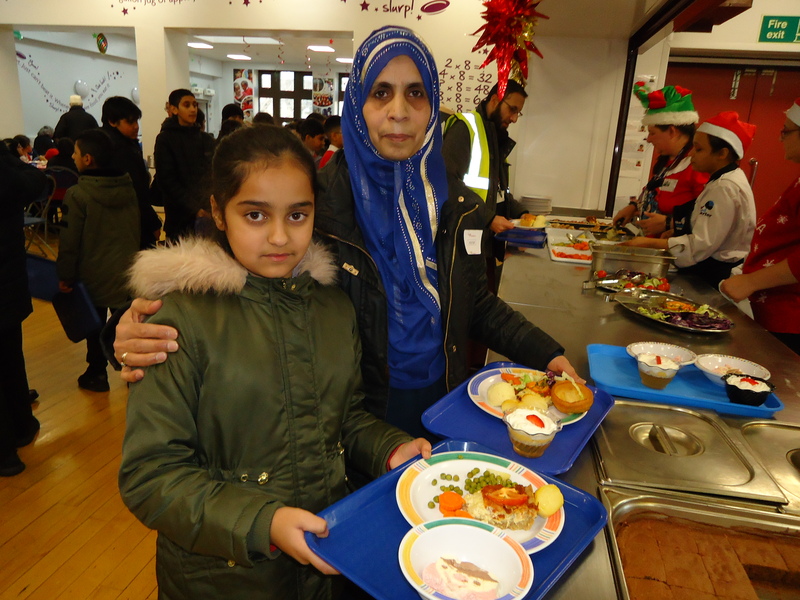 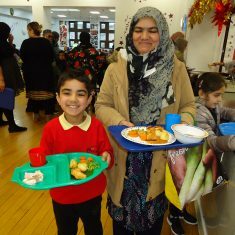 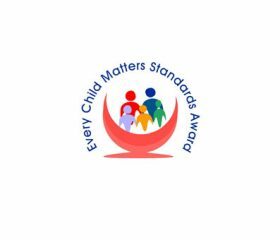 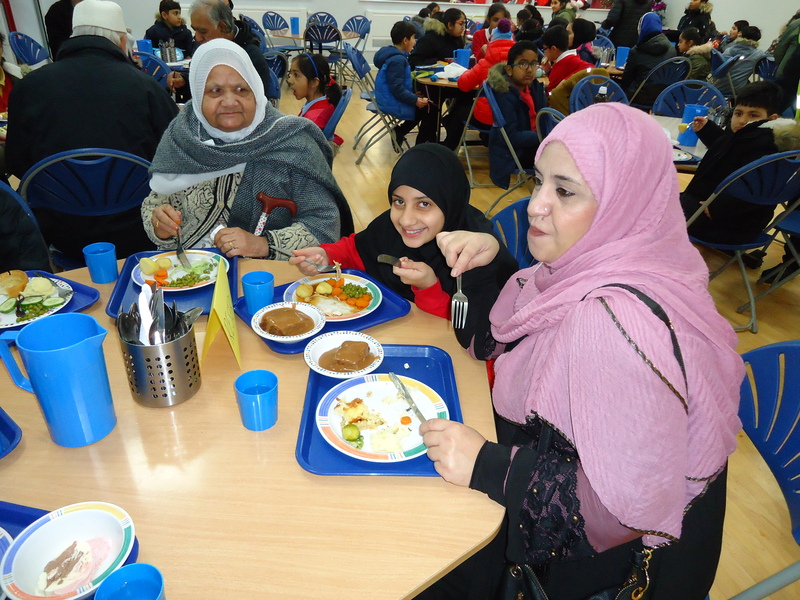 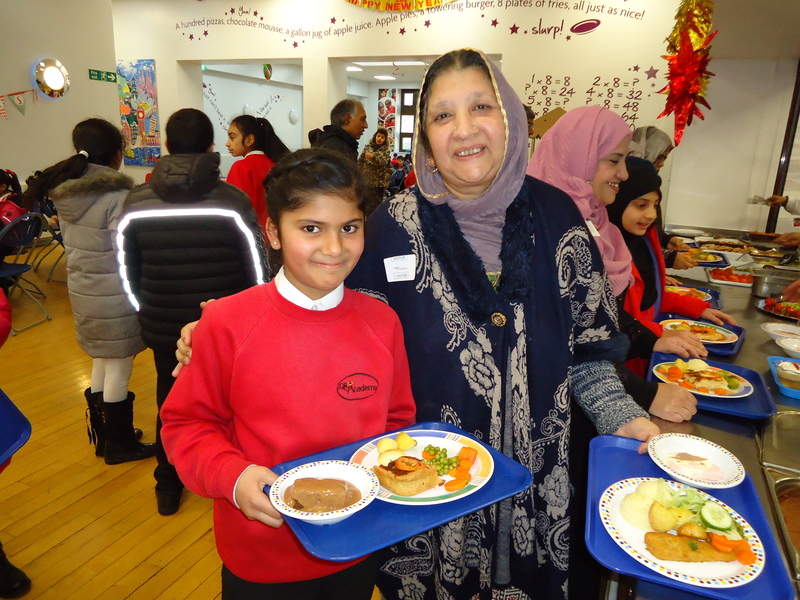 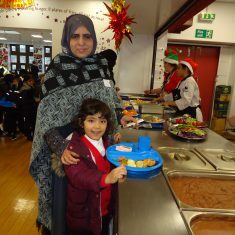 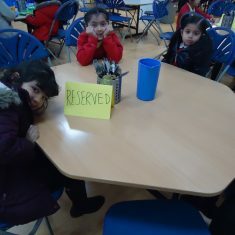 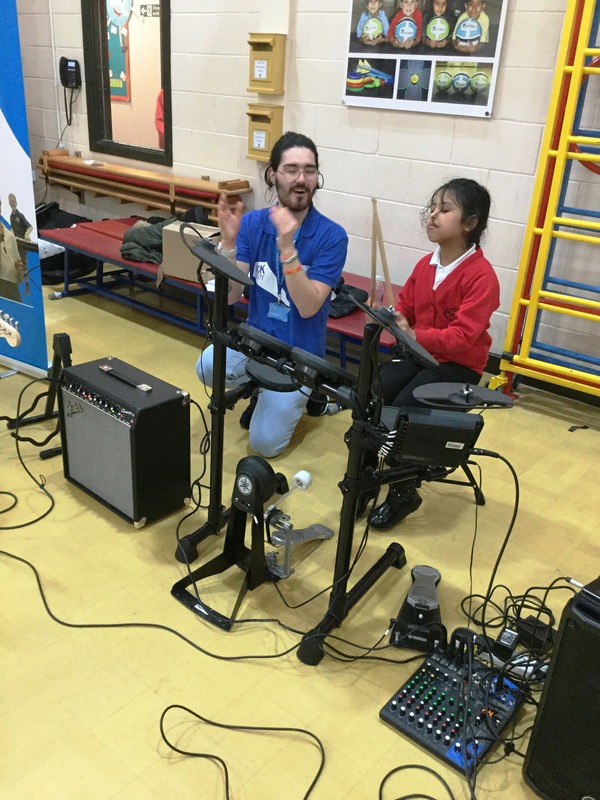 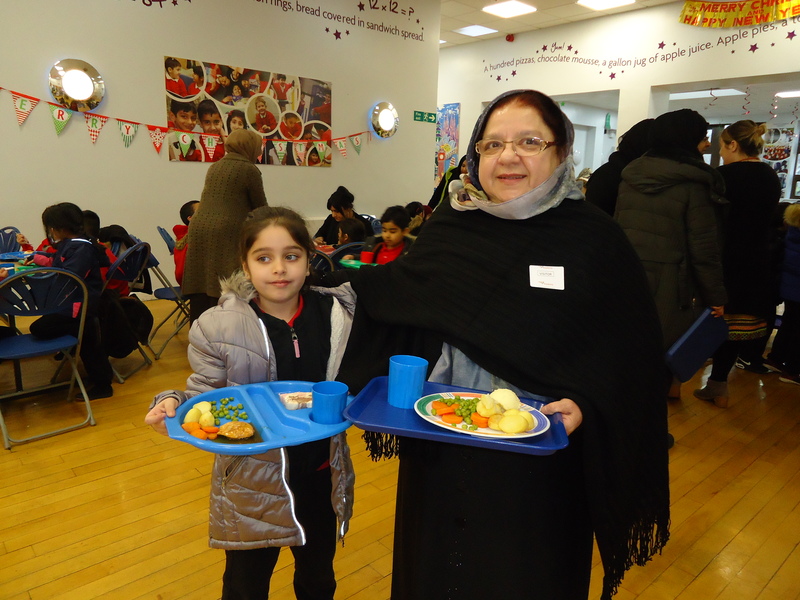 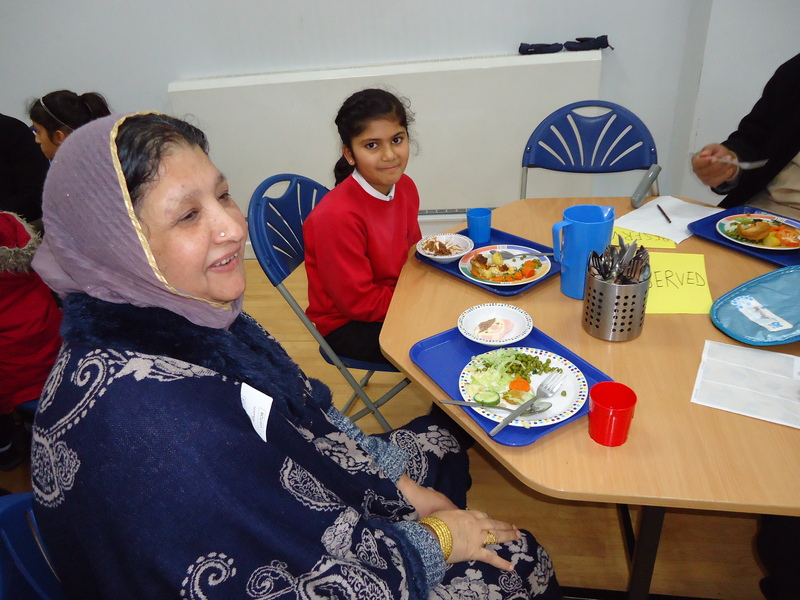 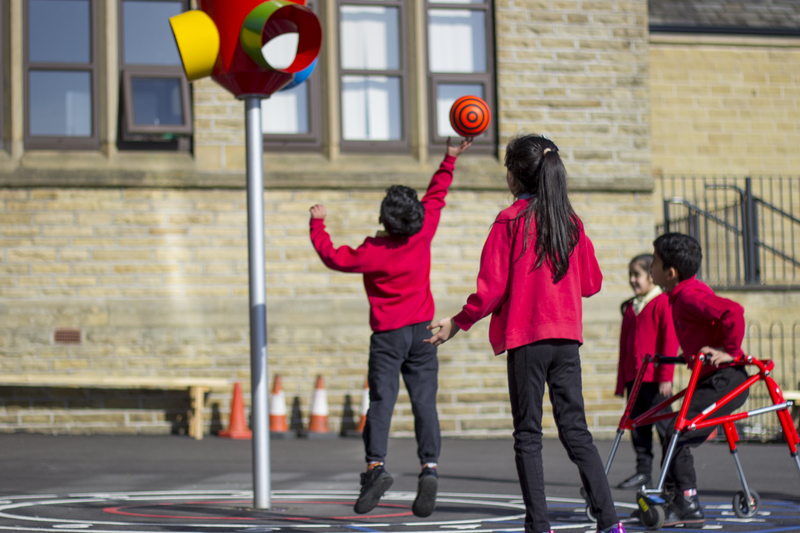 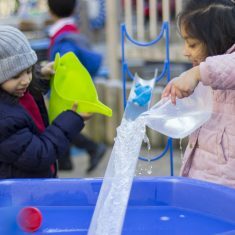 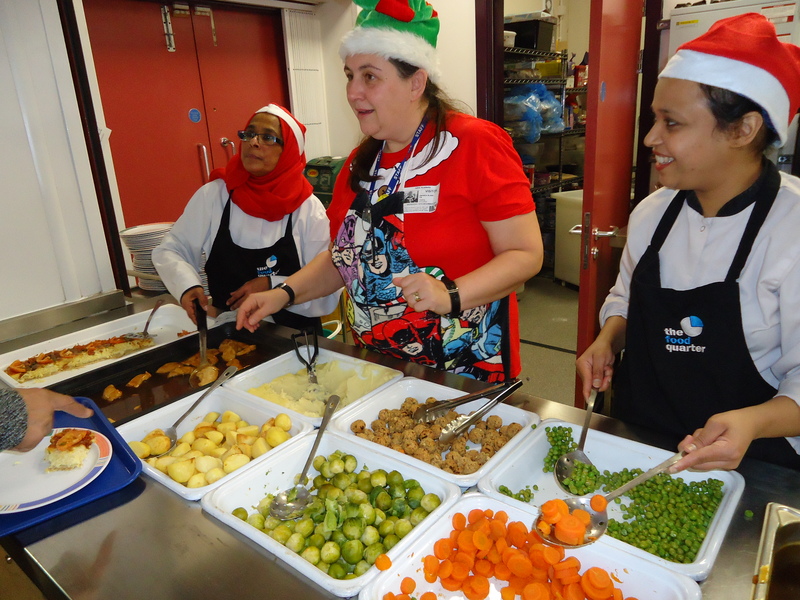 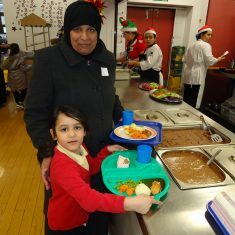 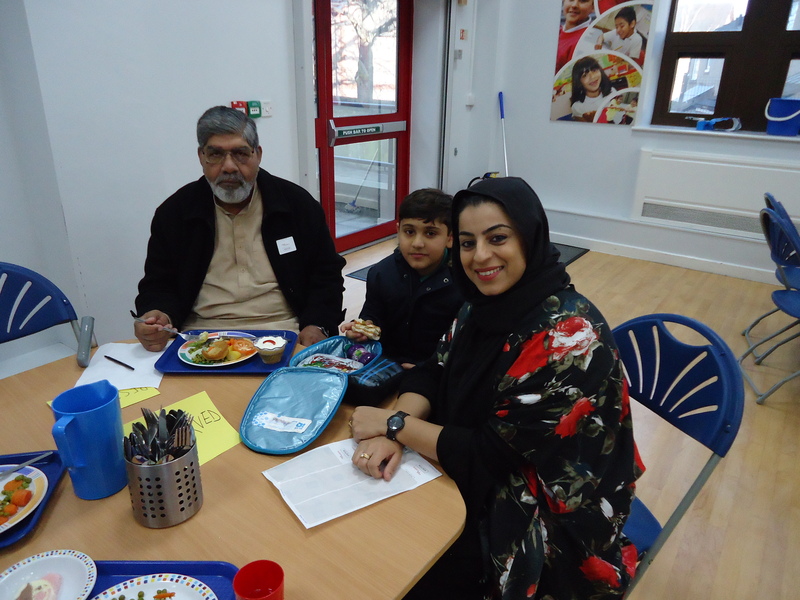 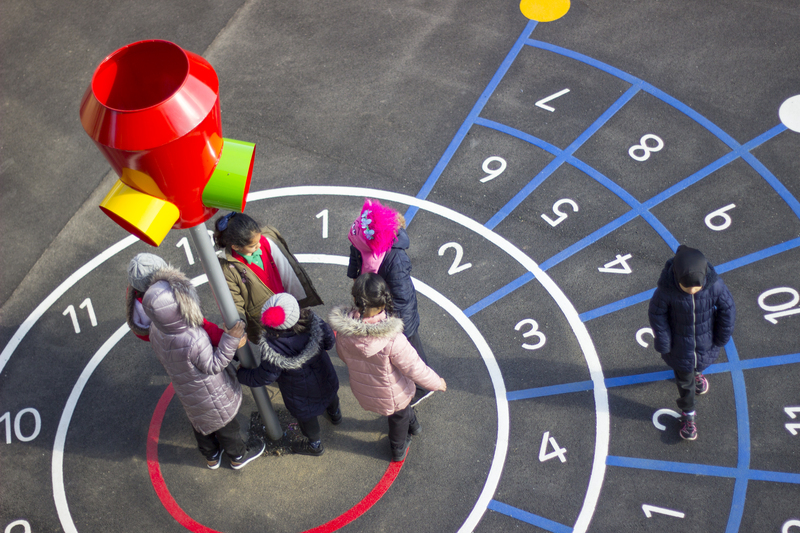 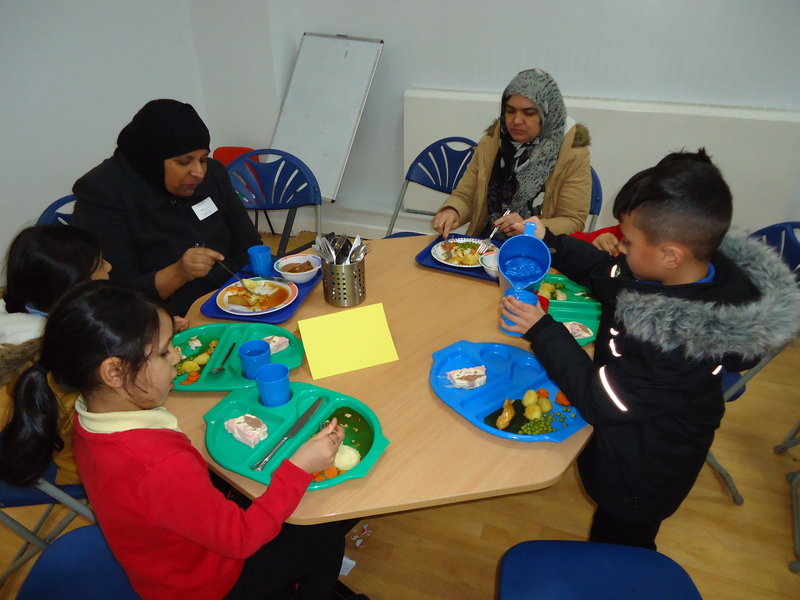 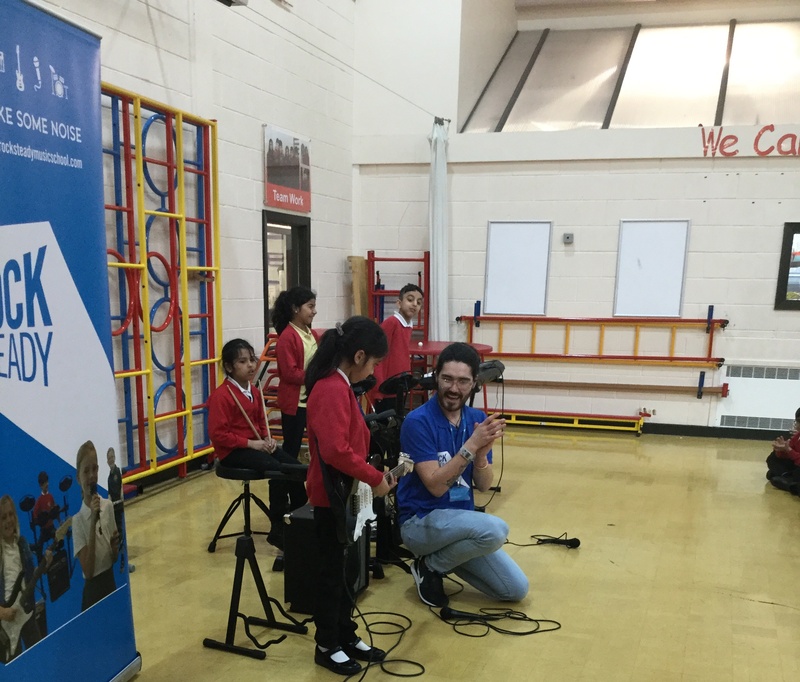 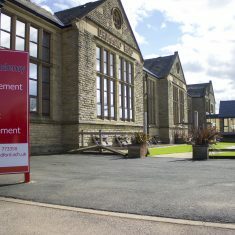 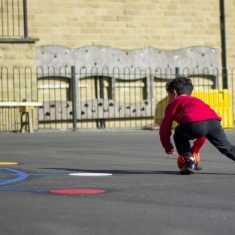 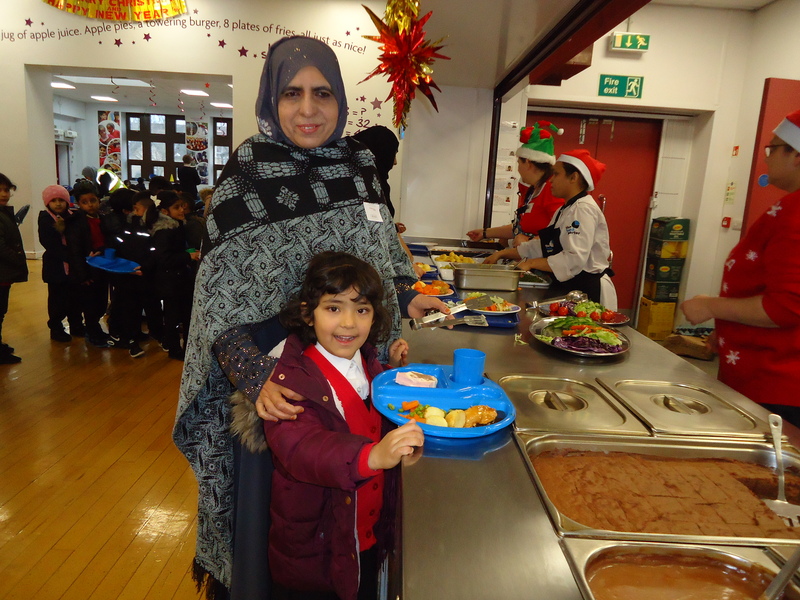 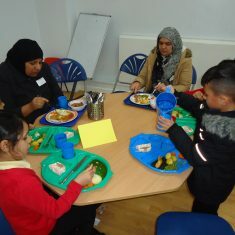 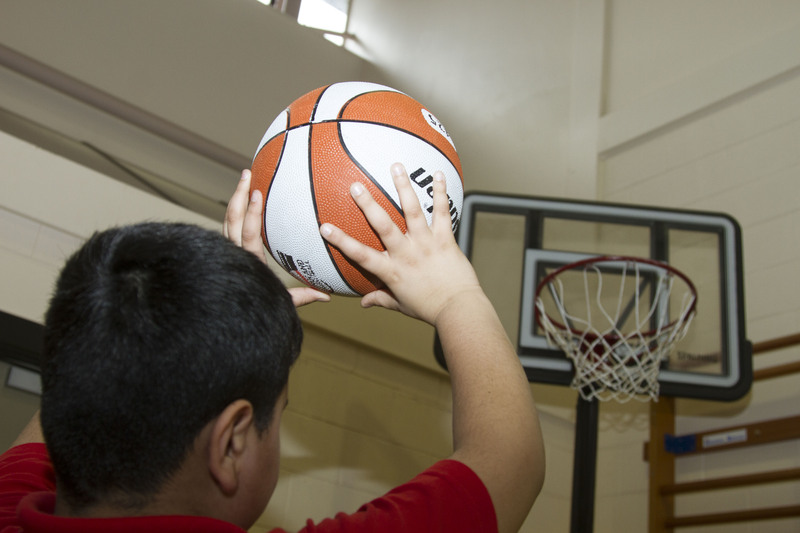 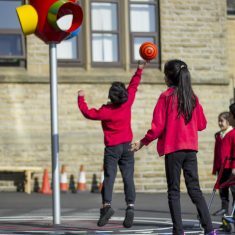 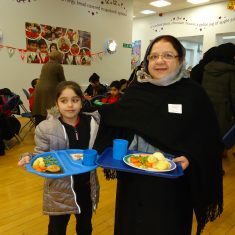 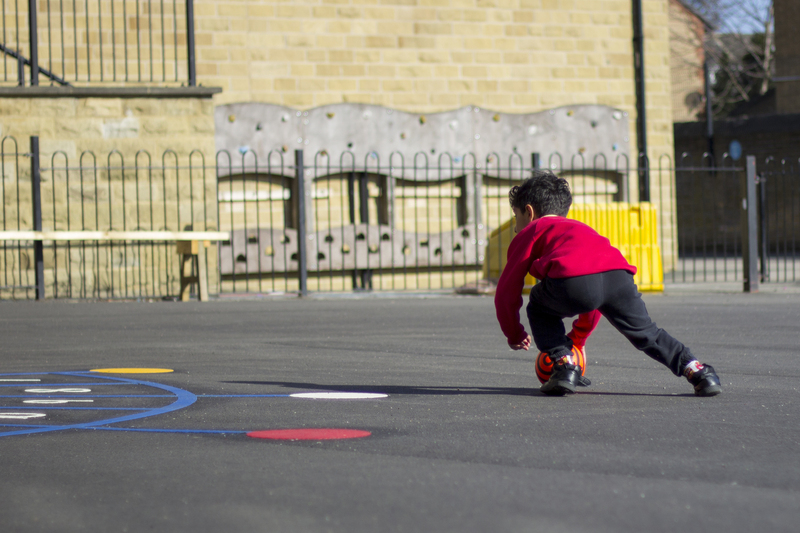 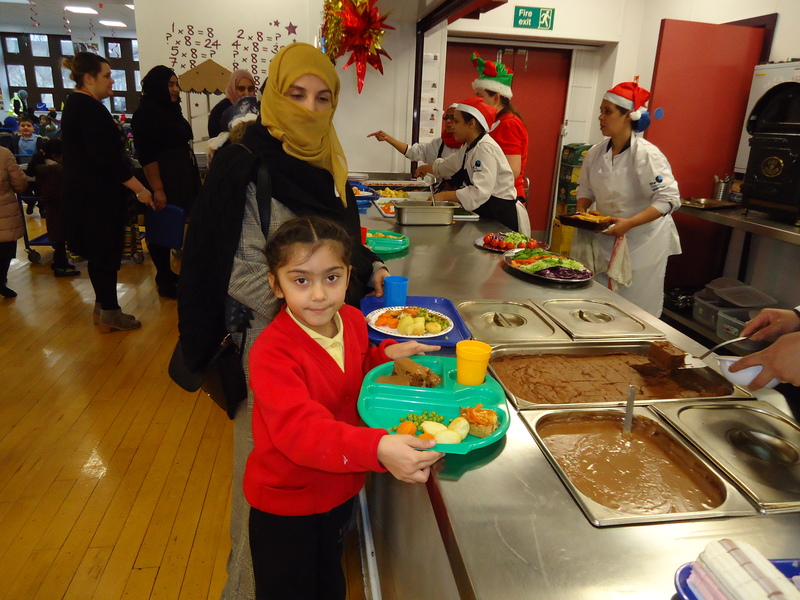 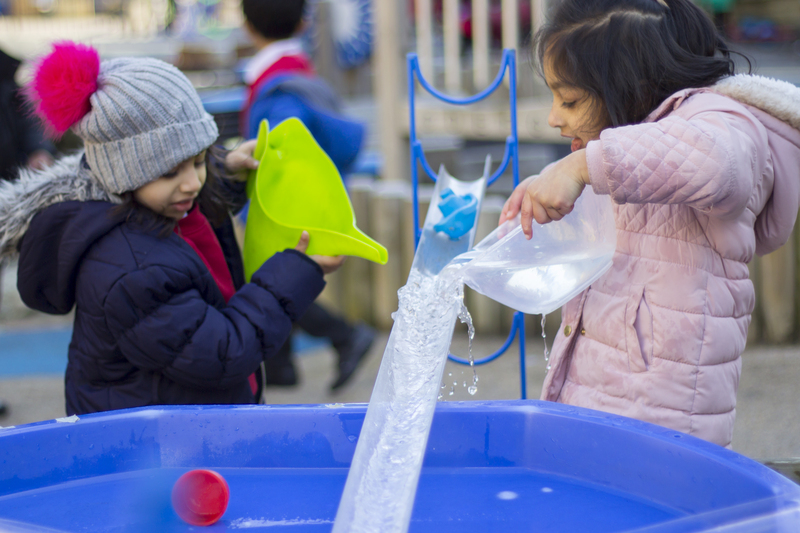 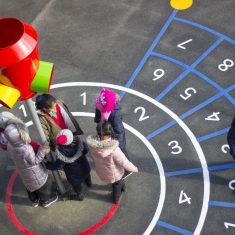 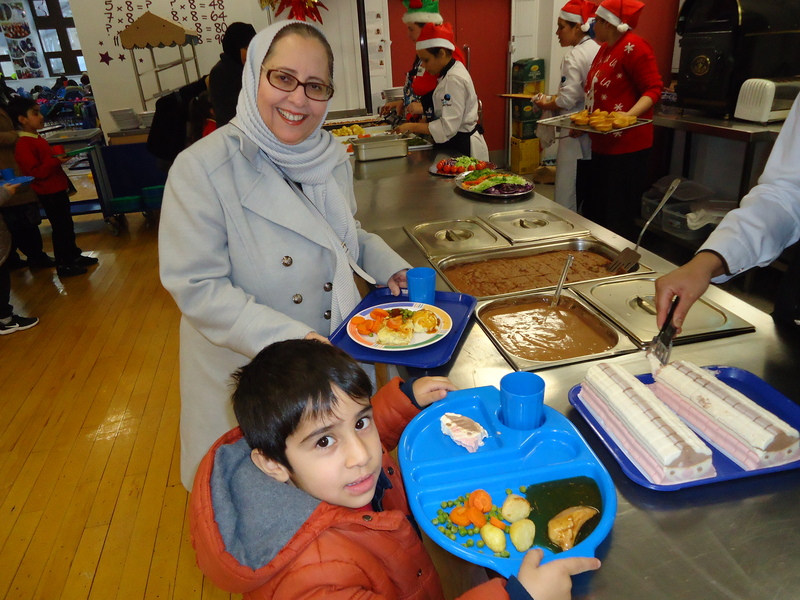 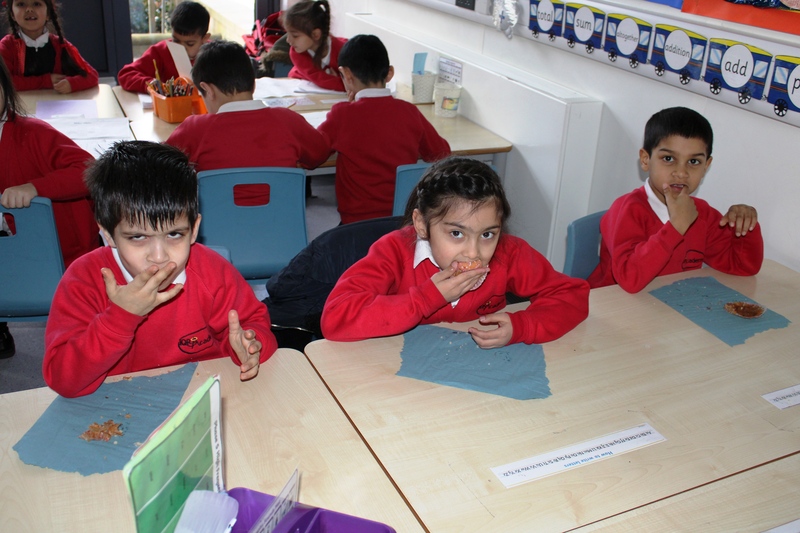 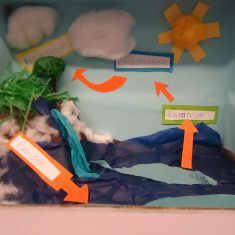 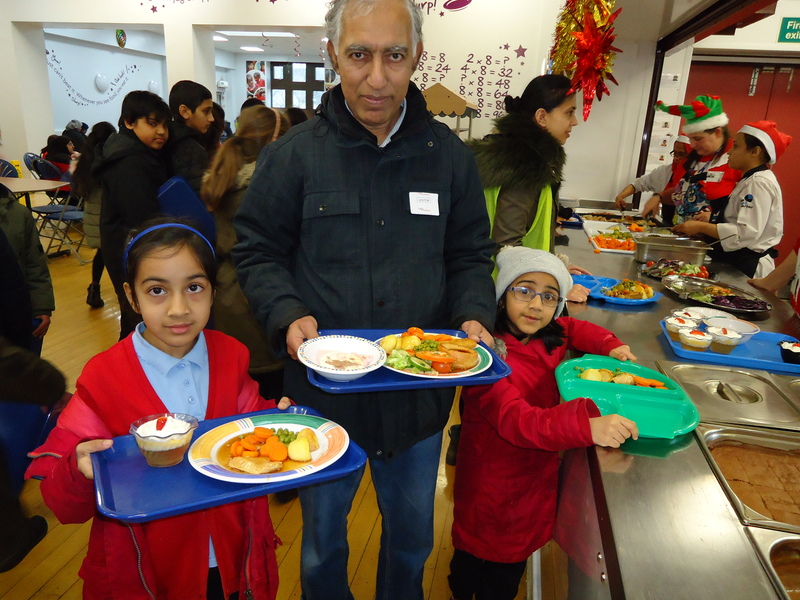 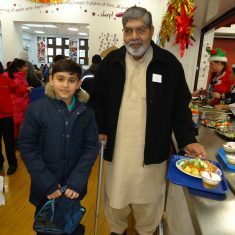 Grandparents commented on how well it was organised and said they really enjoyed the quality time they got to spend with their grandchild in school. 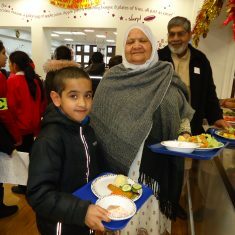 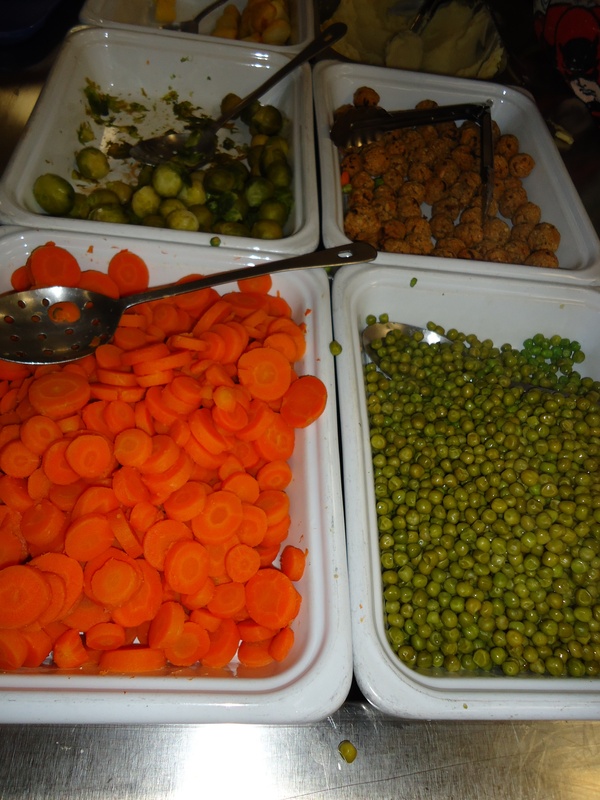 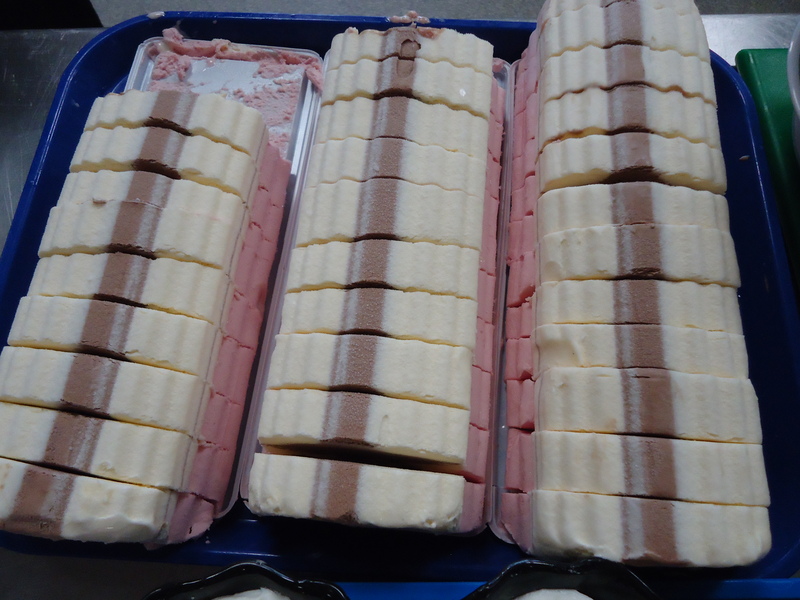 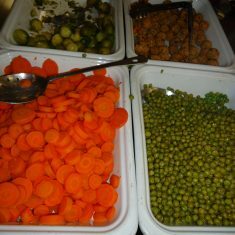 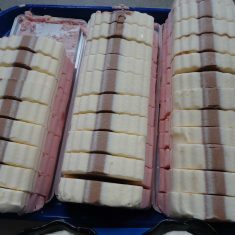 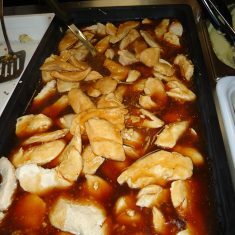 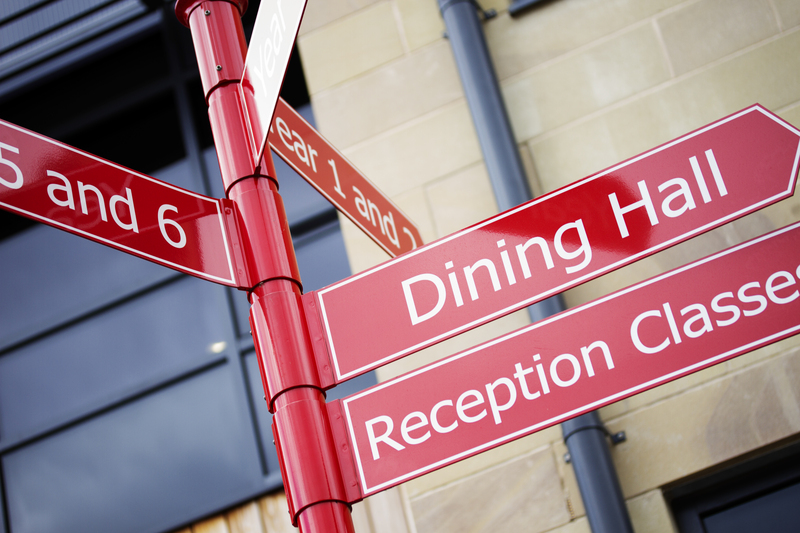 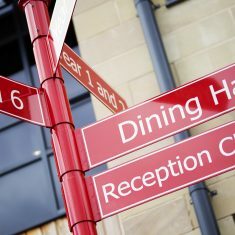 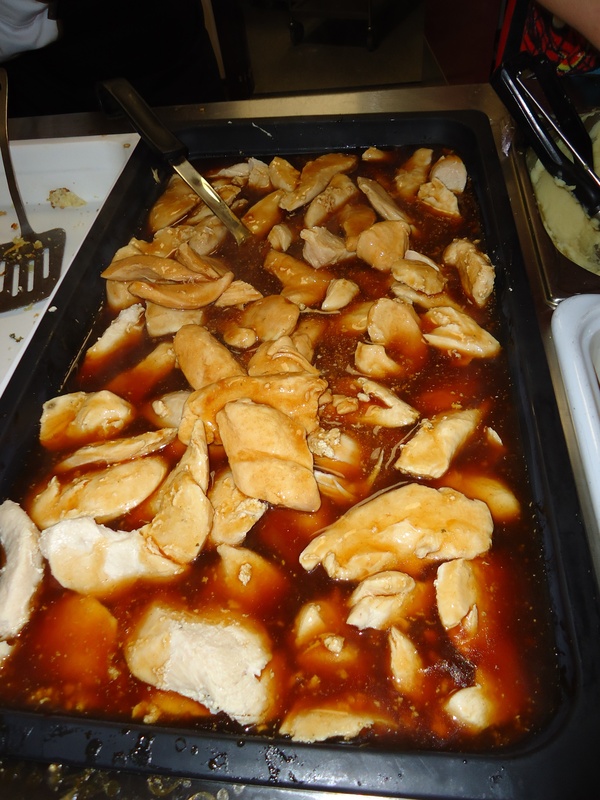 Grandparents commented on how good the food was and all the staff are very helpful and welcoming. 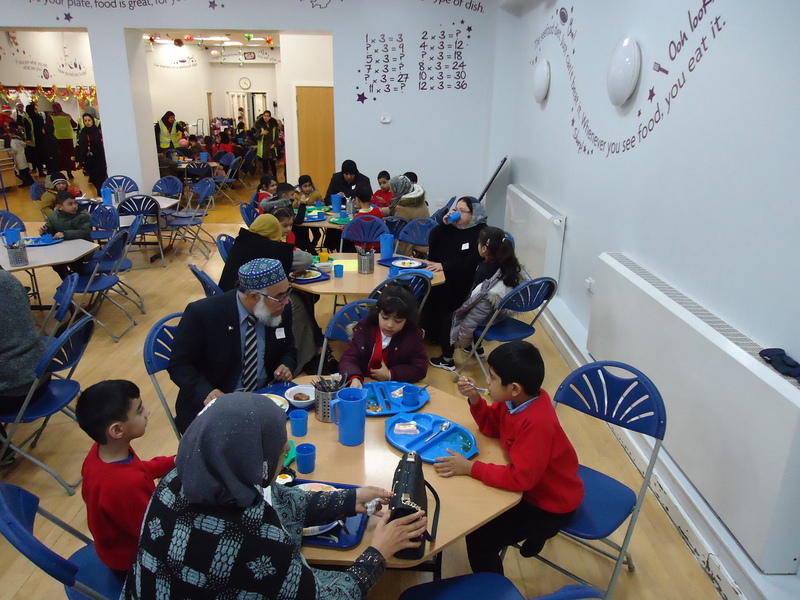 Thank you so much for inviting us to your special lunch with our grandchildren, the food was delicious and had two of our favourite’s fish and pizza! 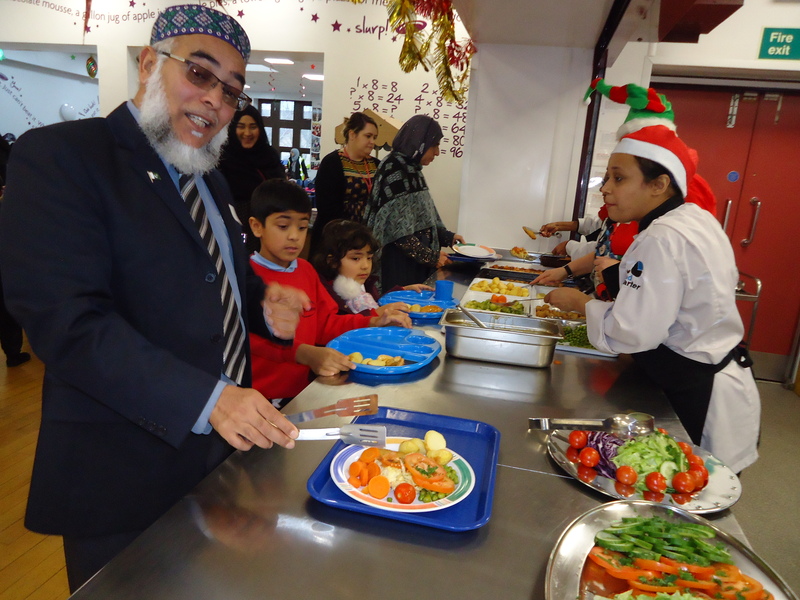 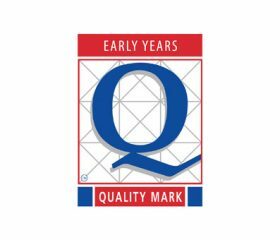 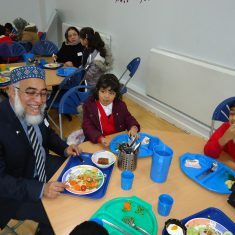 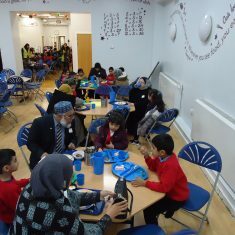 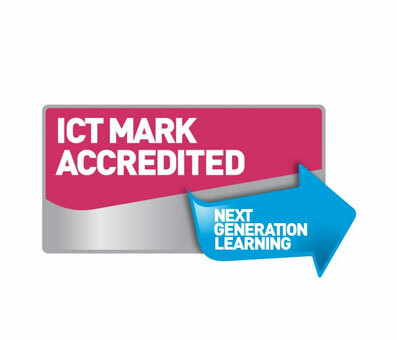 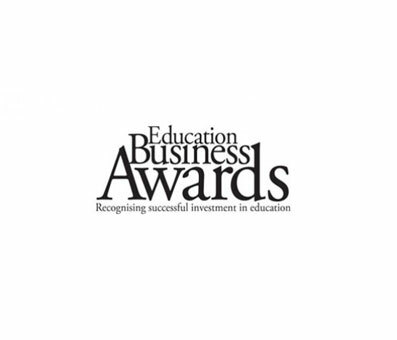 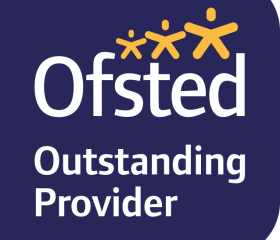 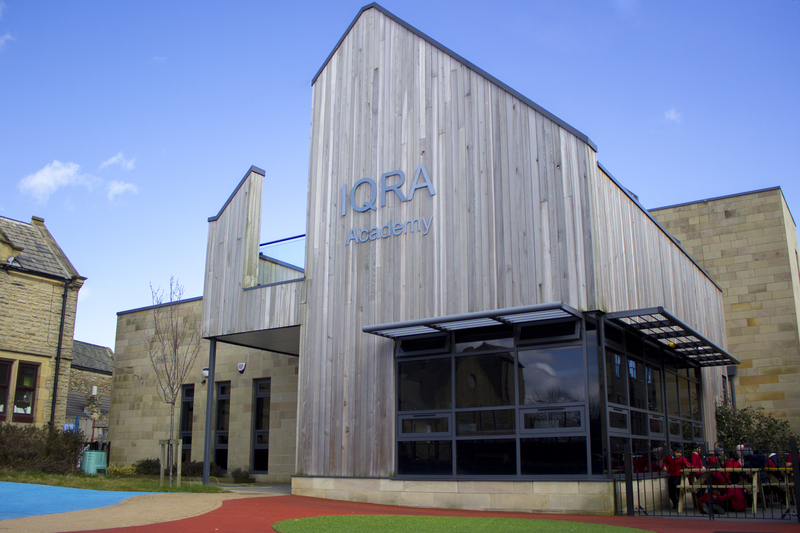 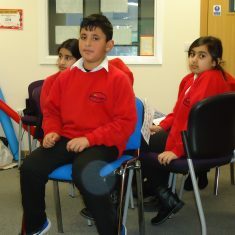 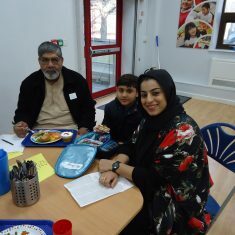 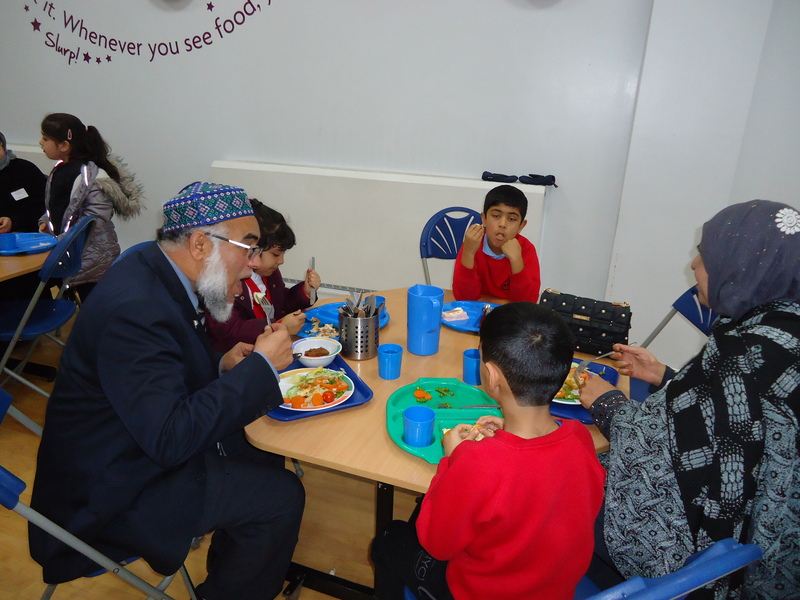 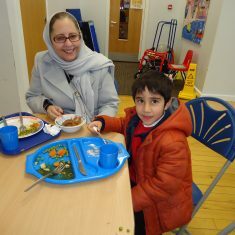 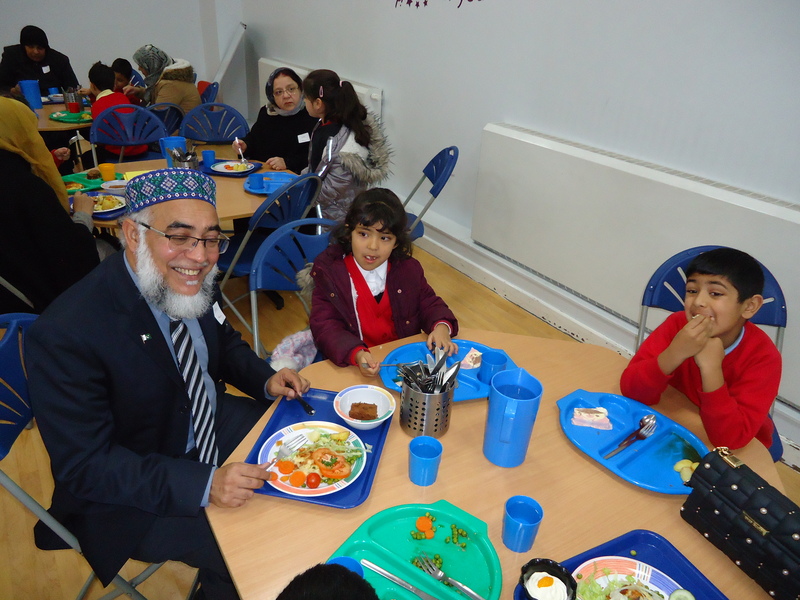 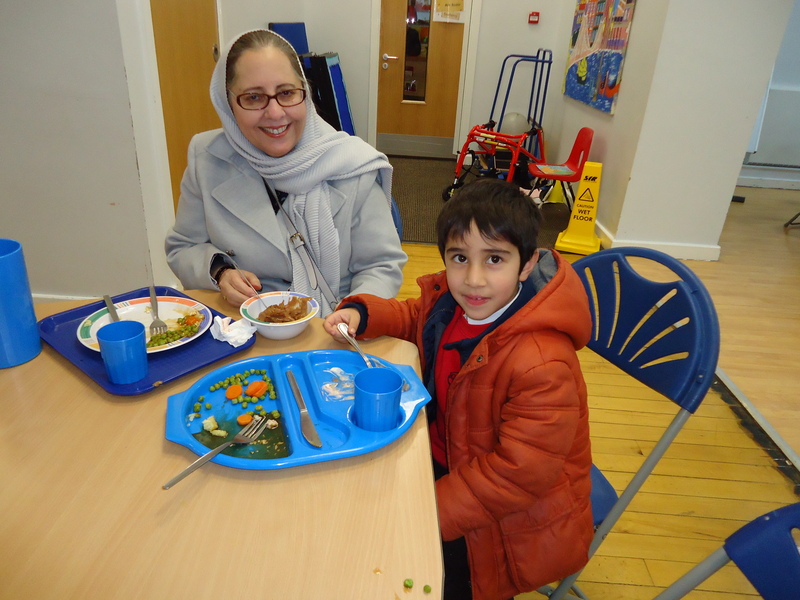 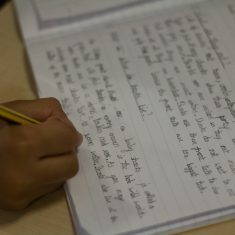 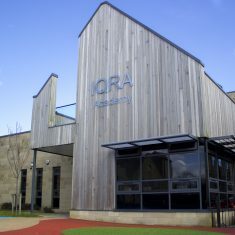 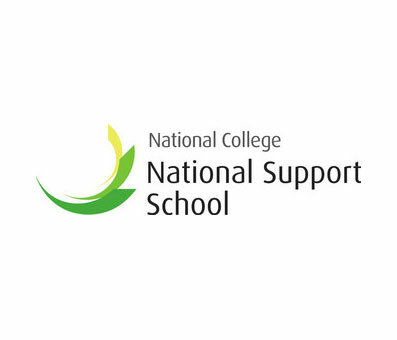 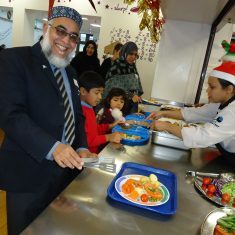 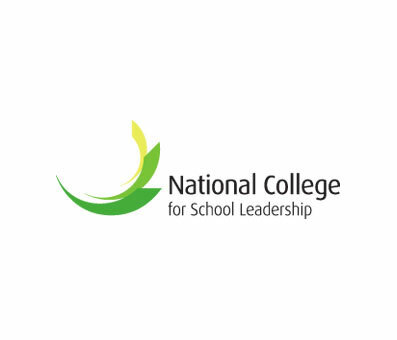 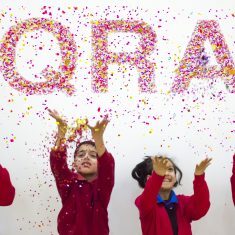 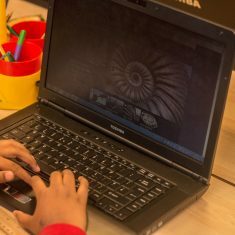 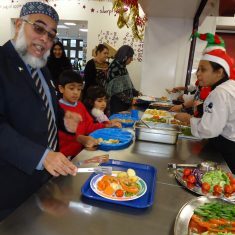 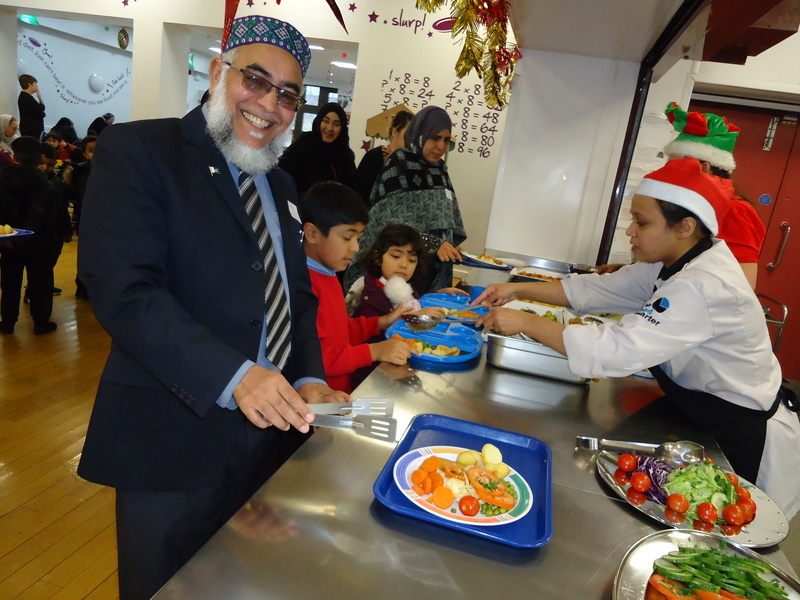 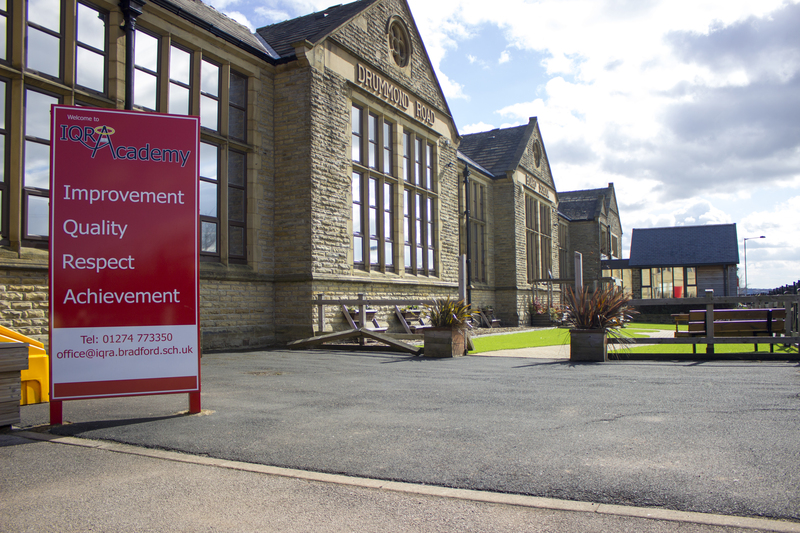 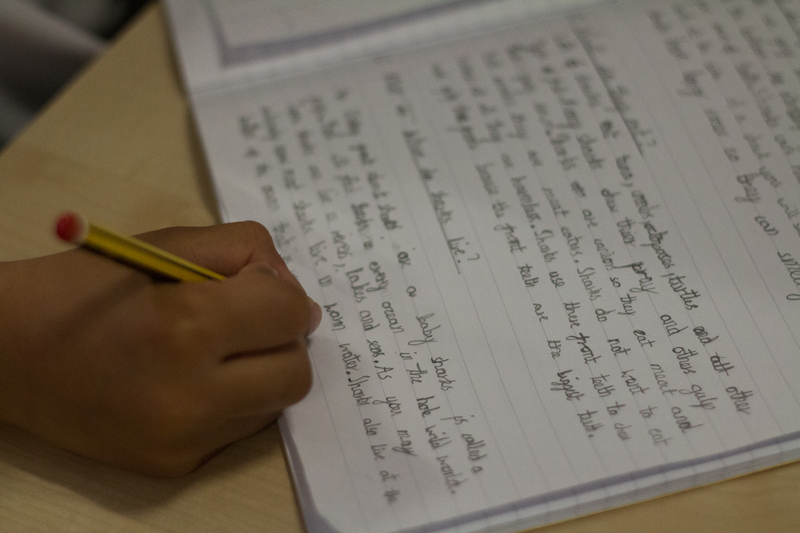 I would just like to take this opportunity to thank all the teachers and mentors who have worked so hard with my Grandchildren Rabia and Habeeb, they have made excellent progress and I hope they will continue to benefit from the wonderful staff at Iqra Academy , once again a big thank you .